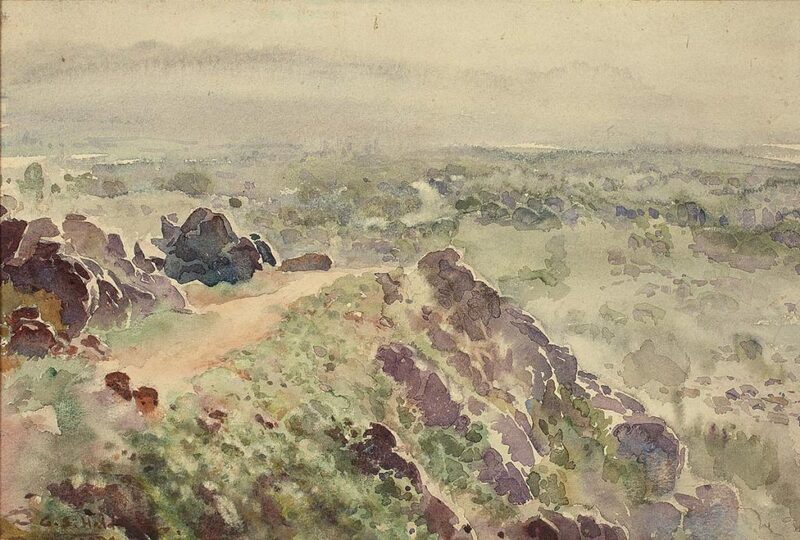 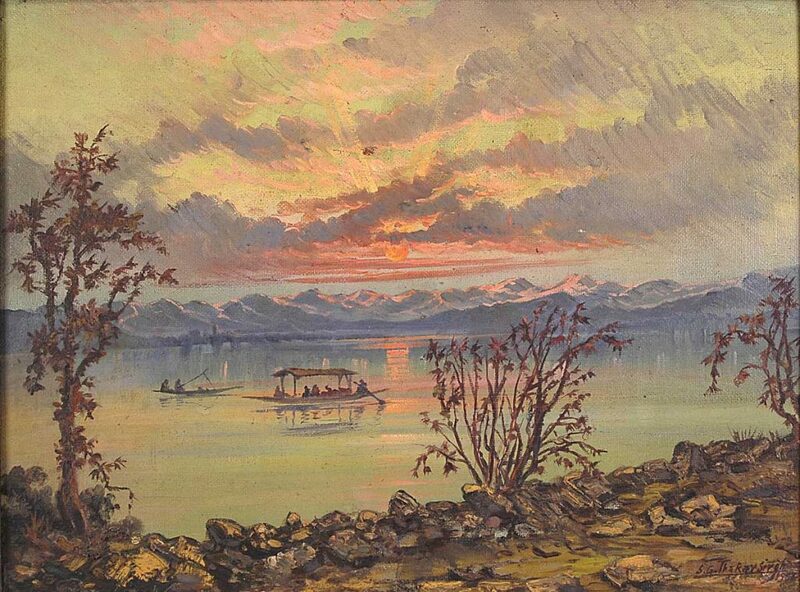 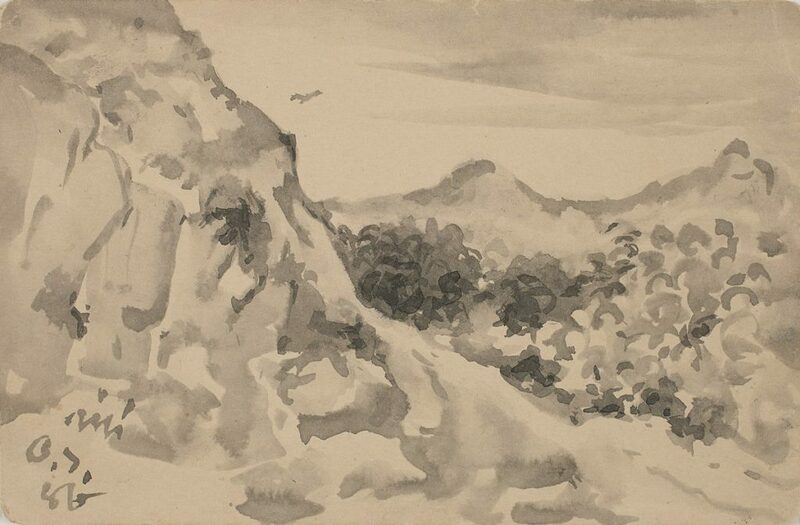 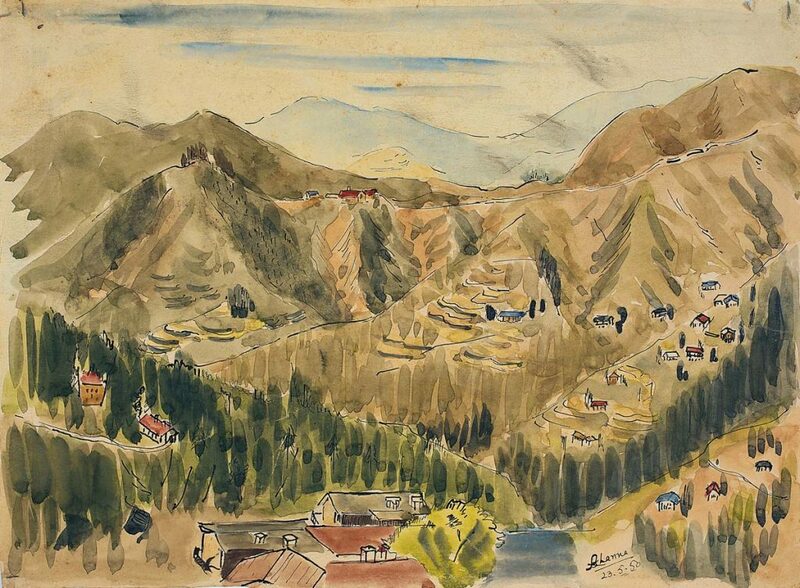 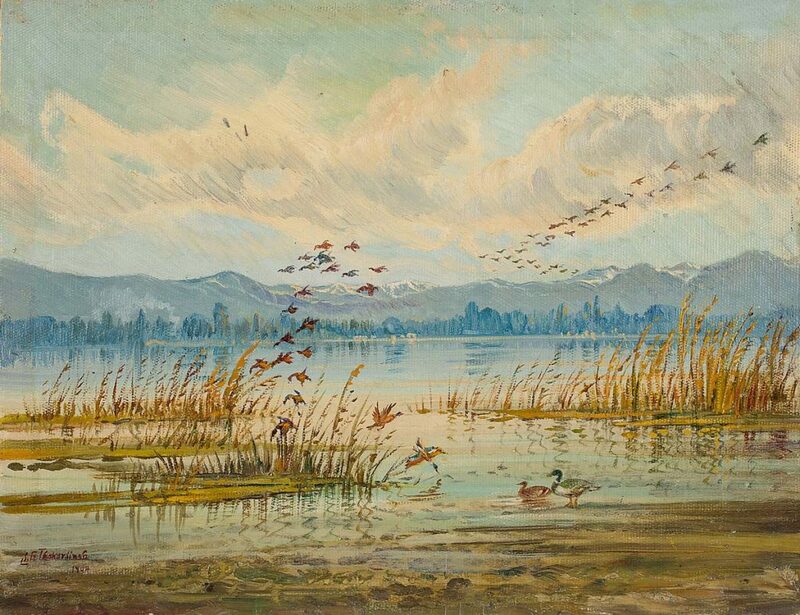 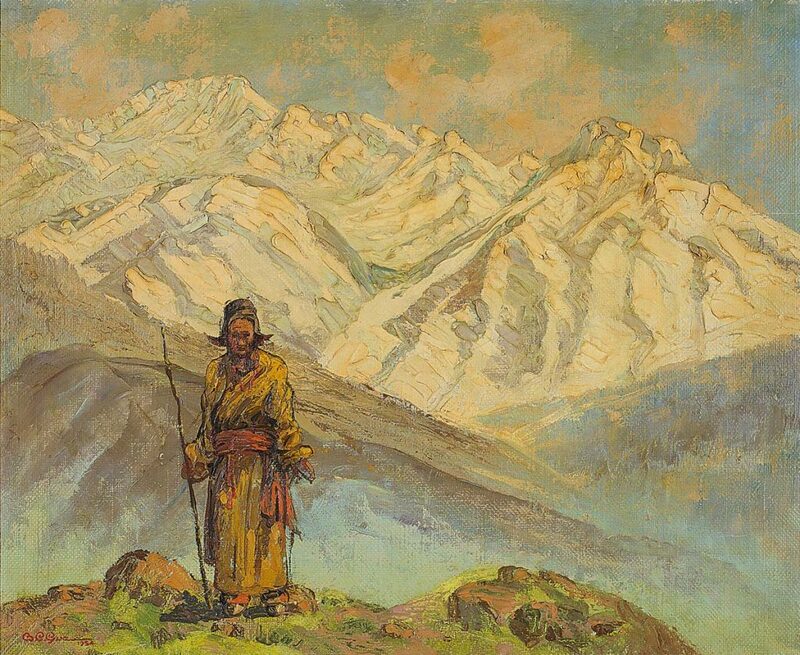 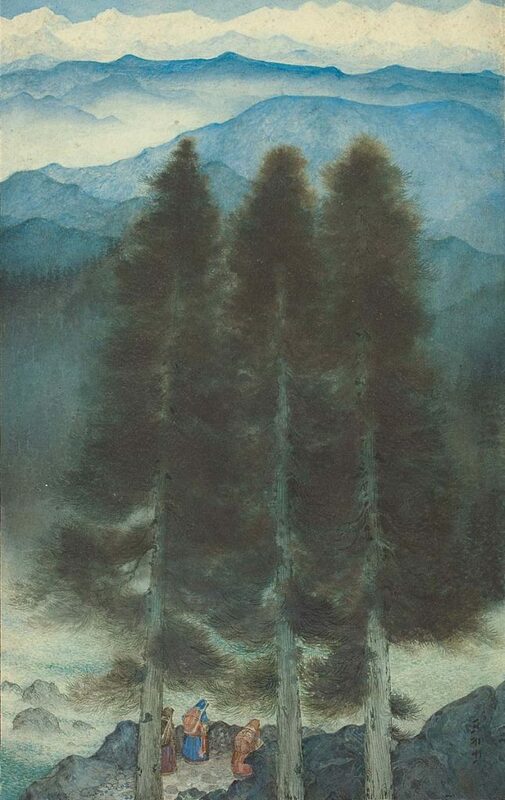 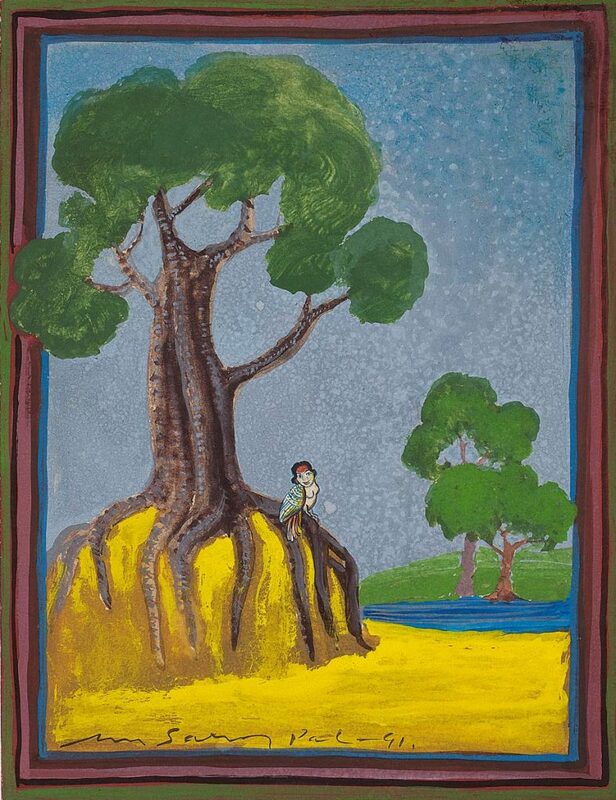 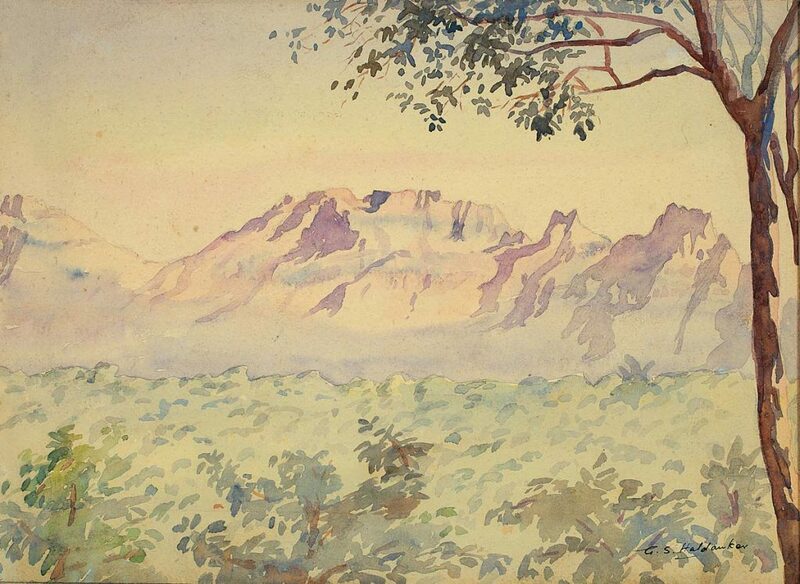 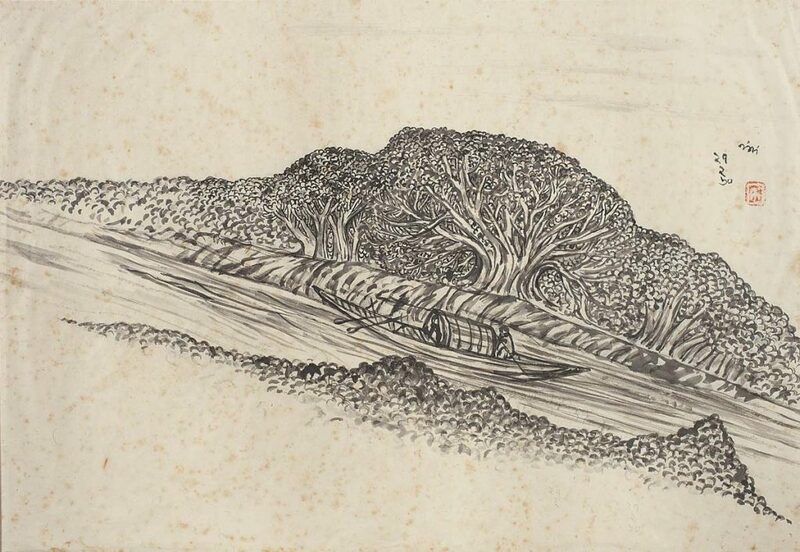 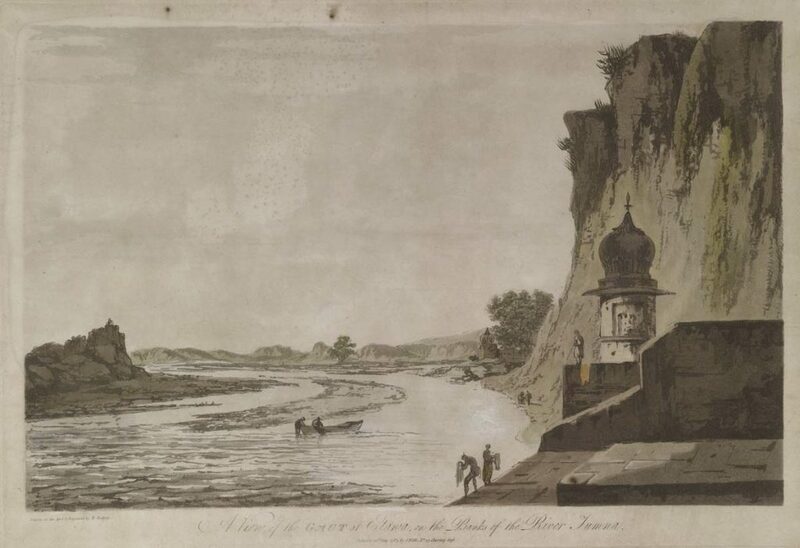 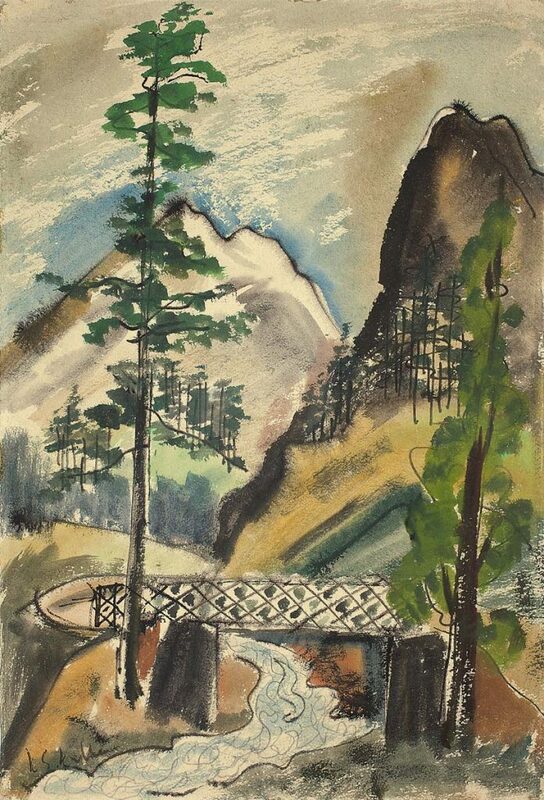 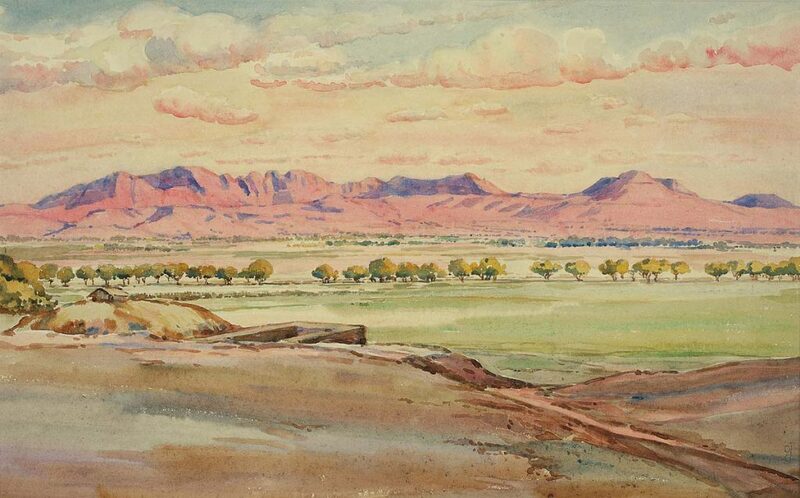 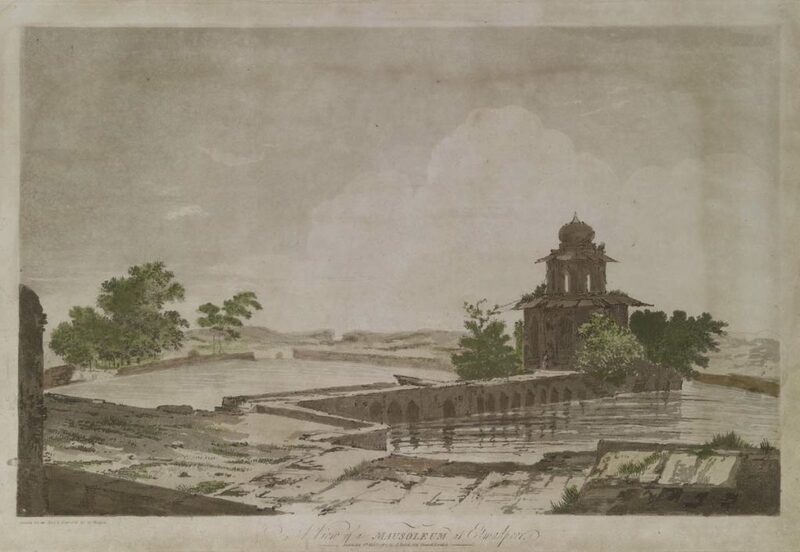 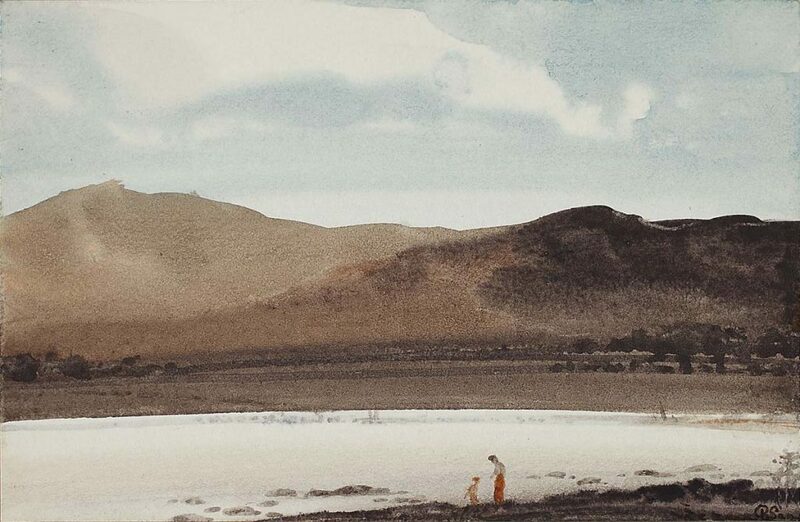 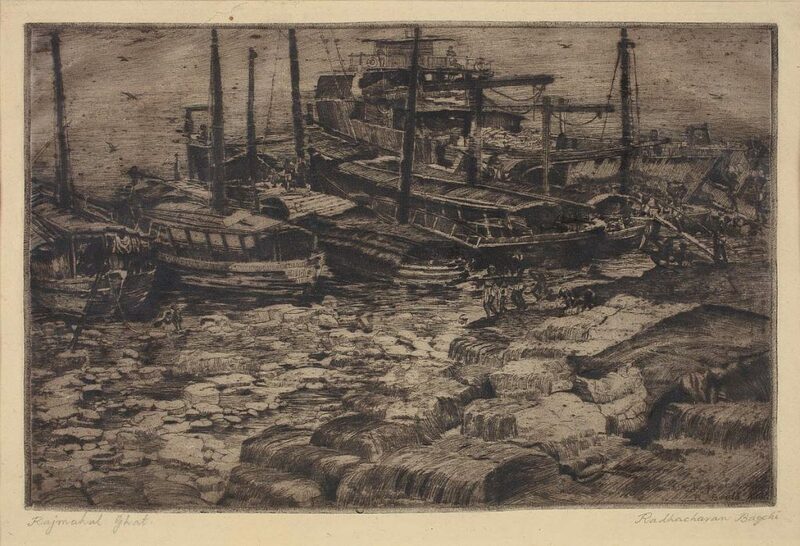 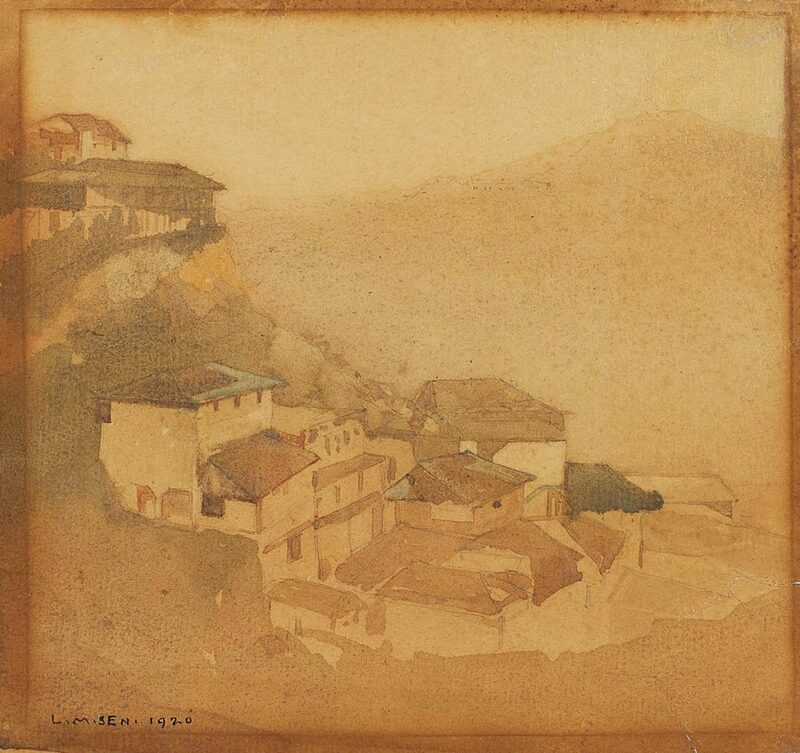 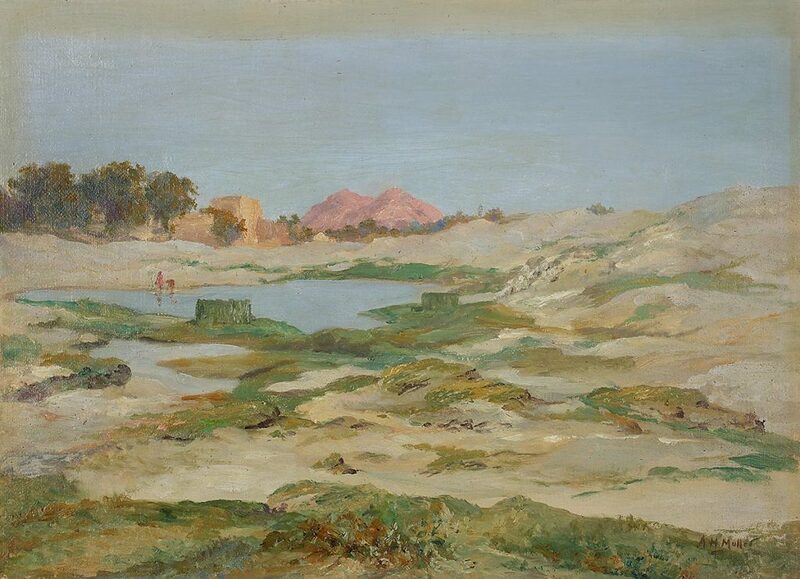 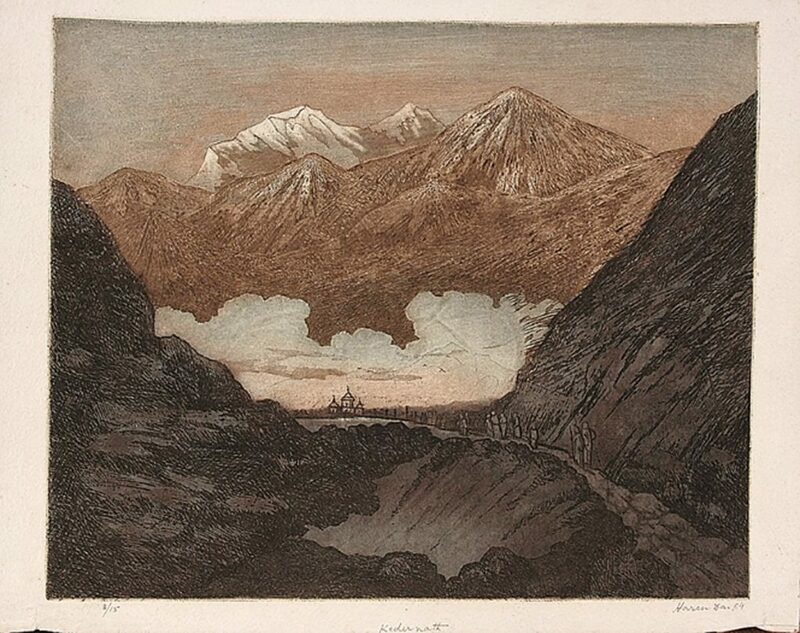 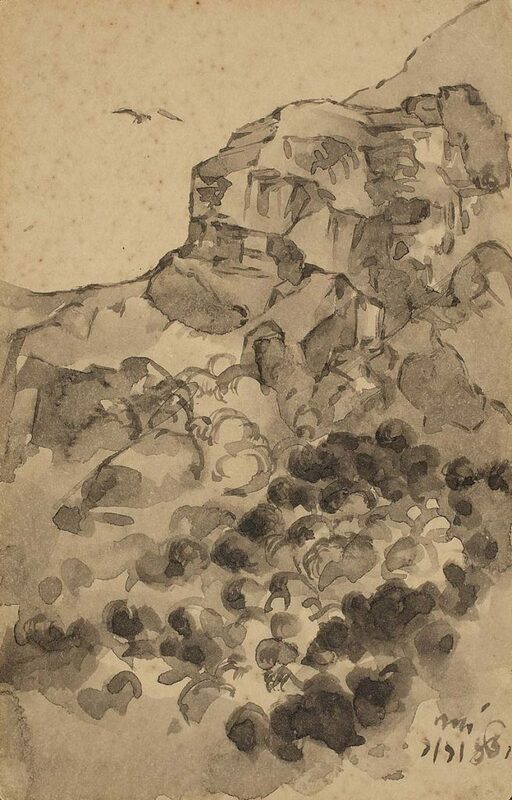 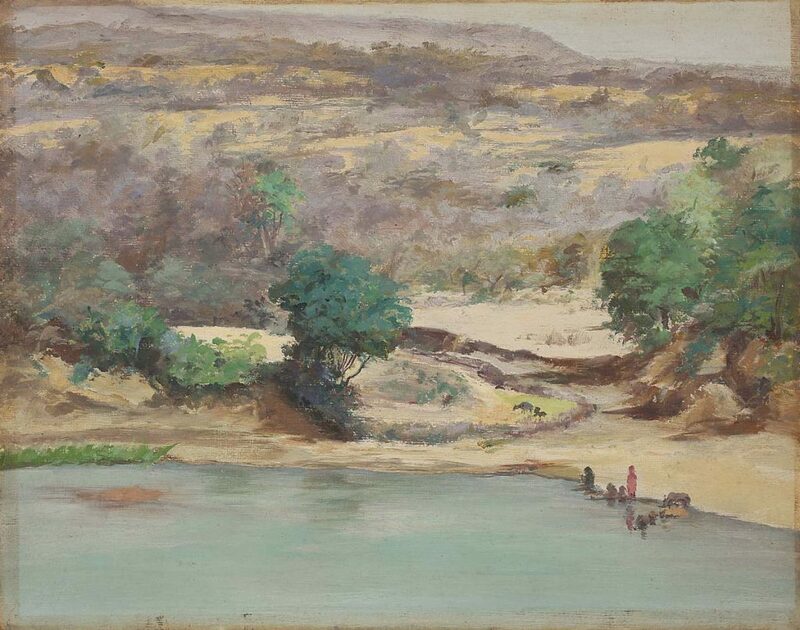 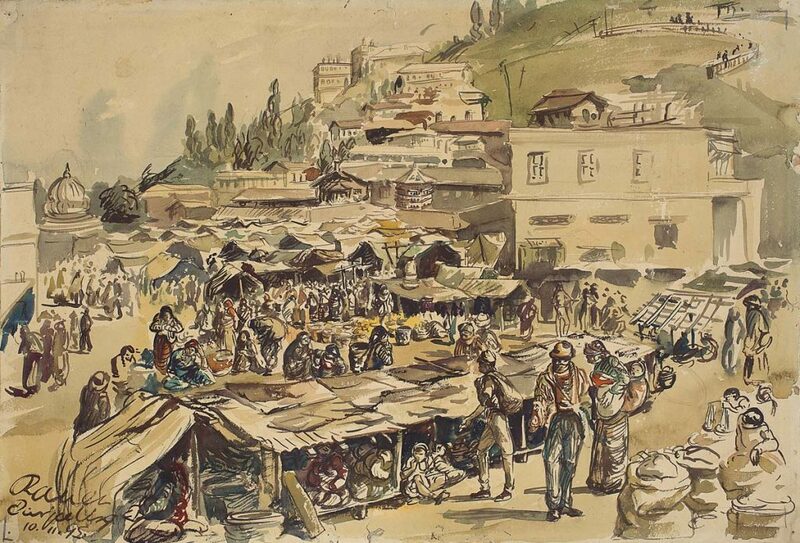 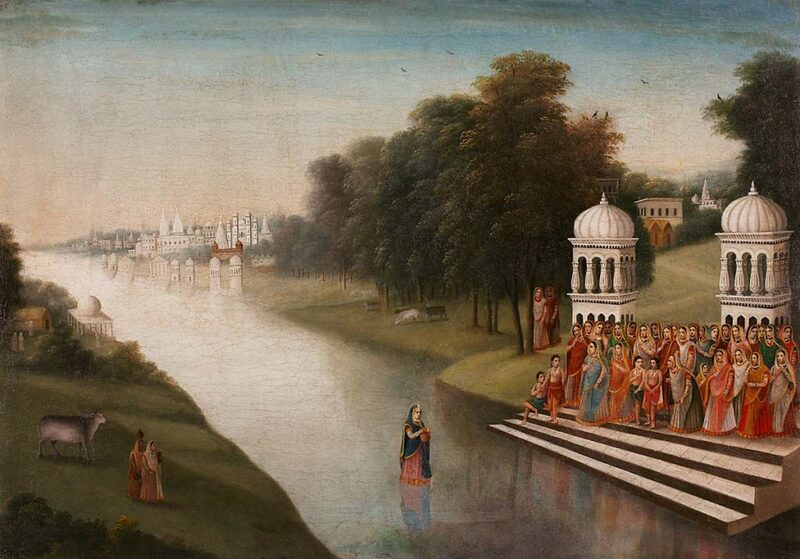 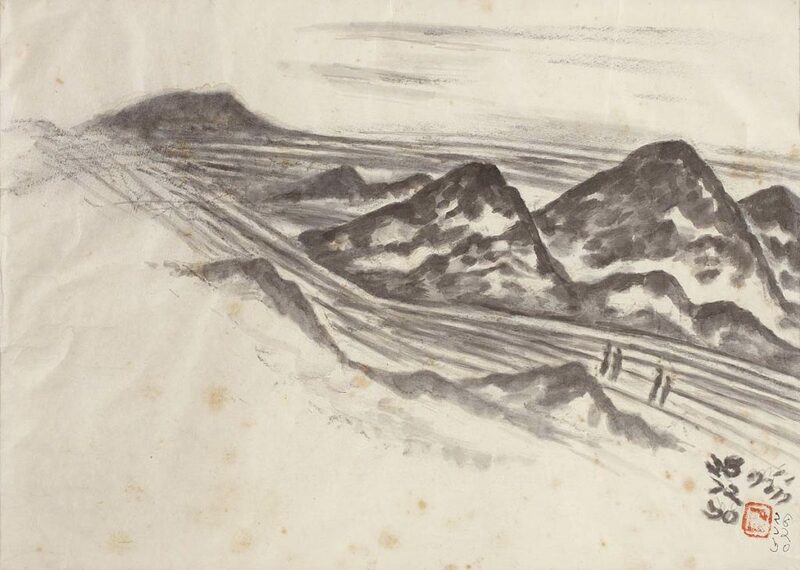 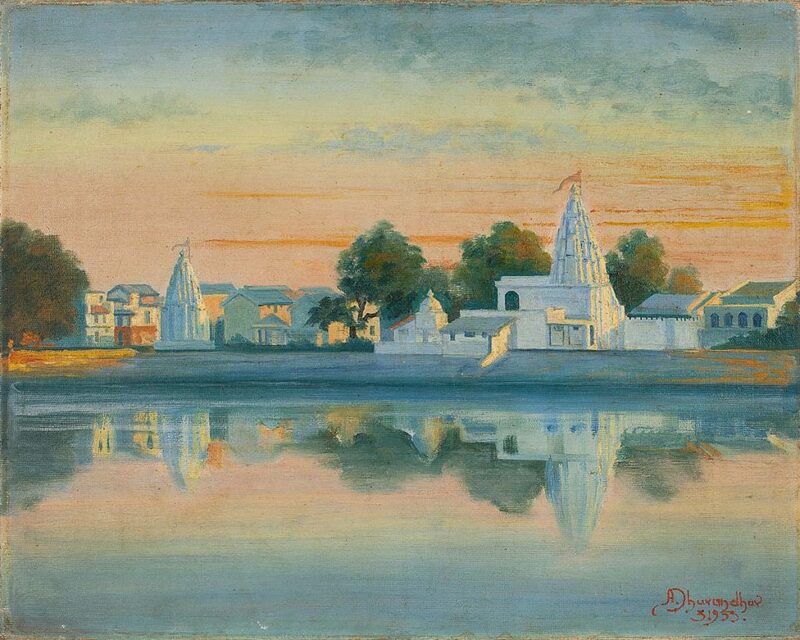 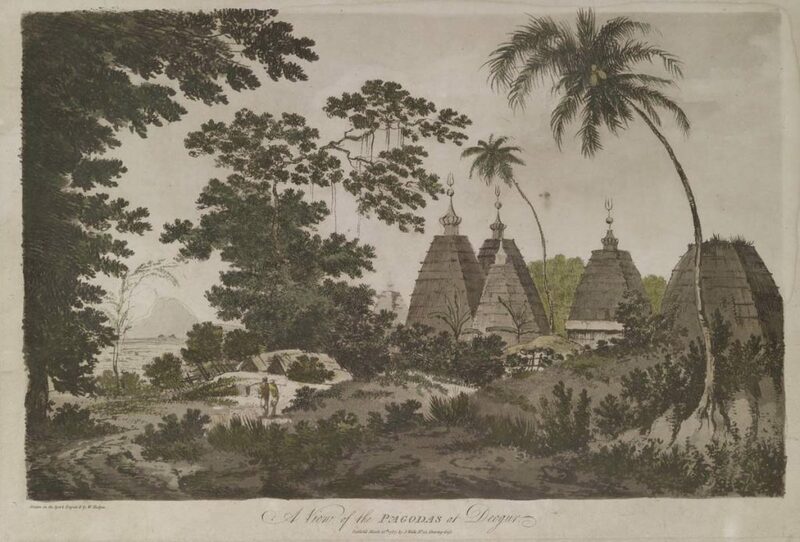 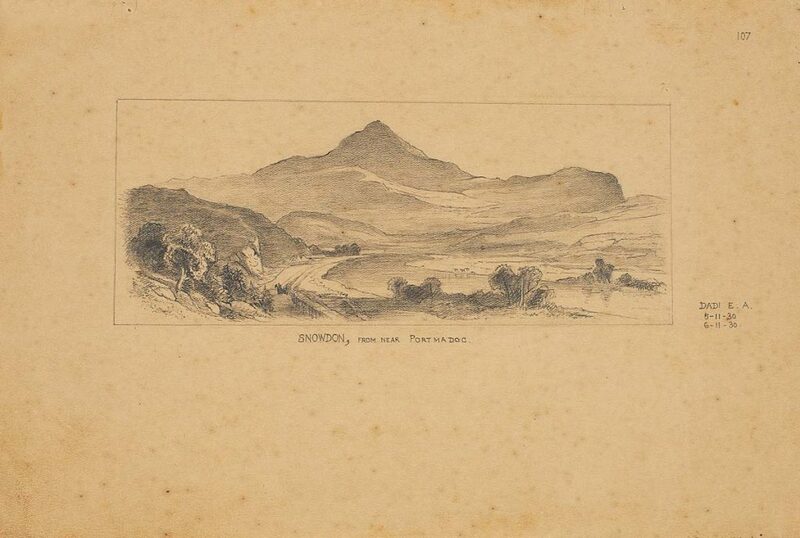 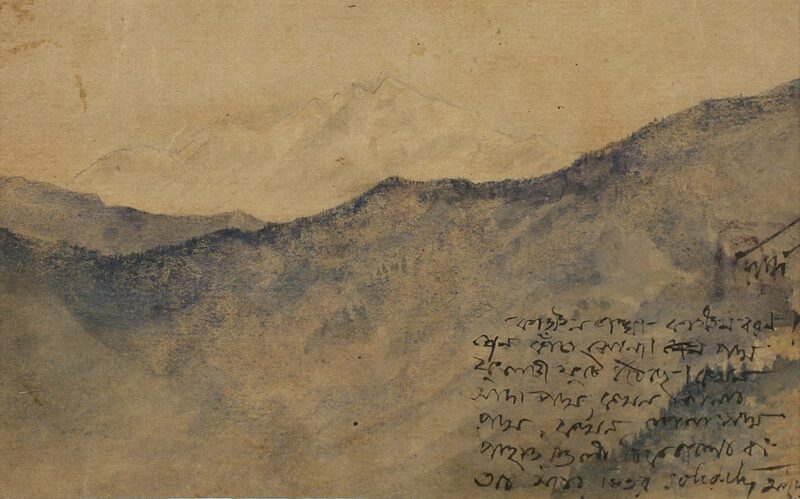 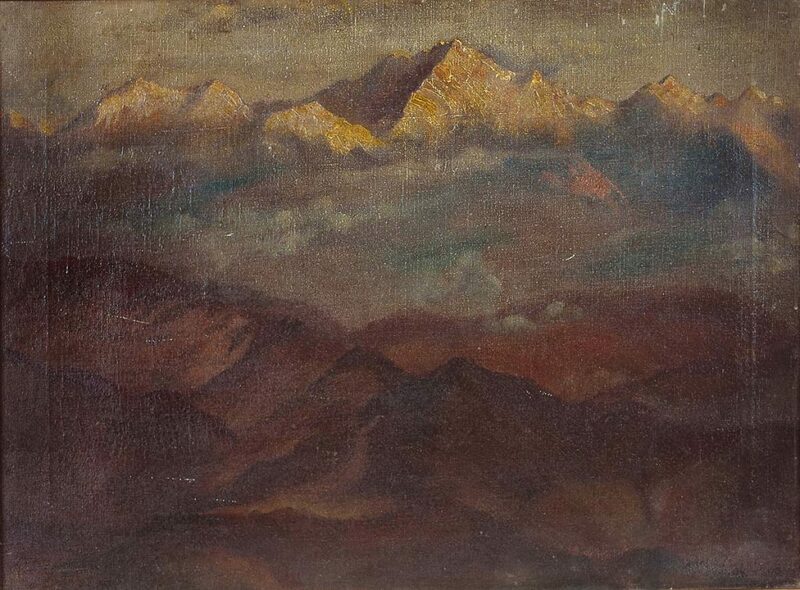 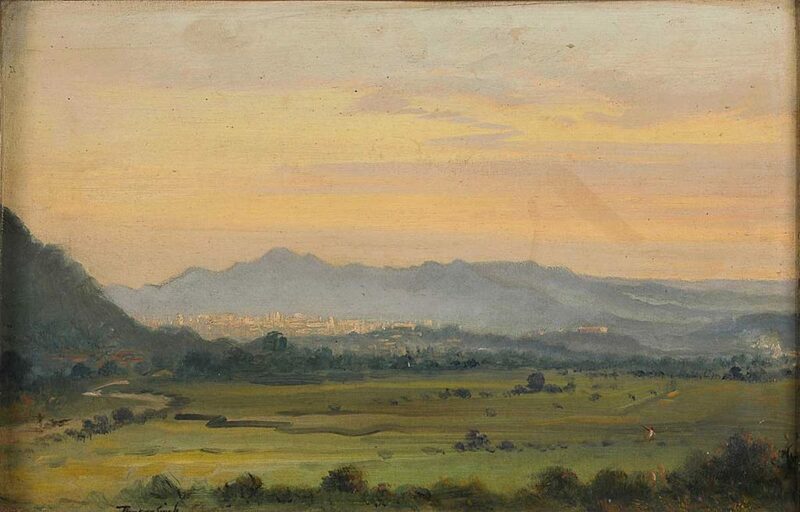 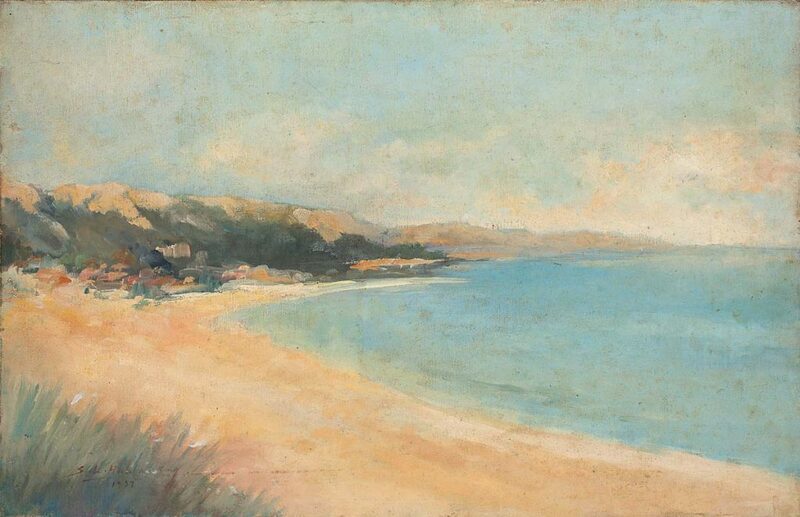 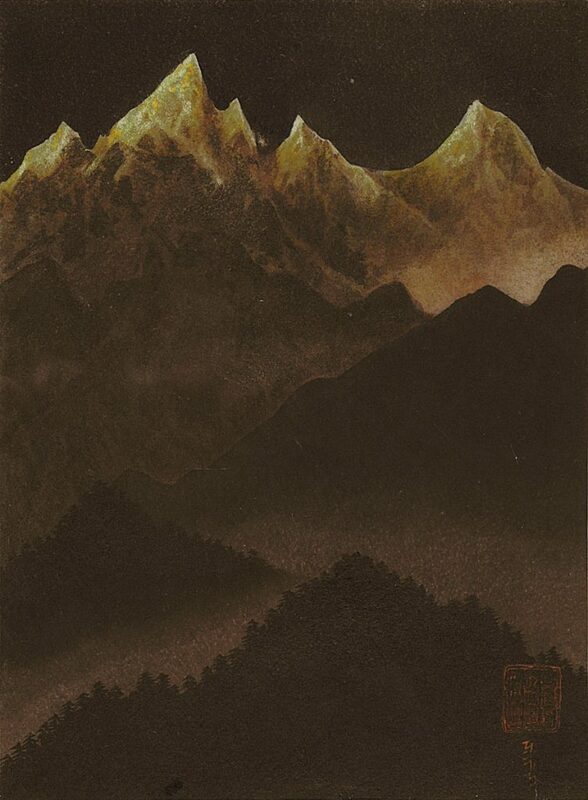 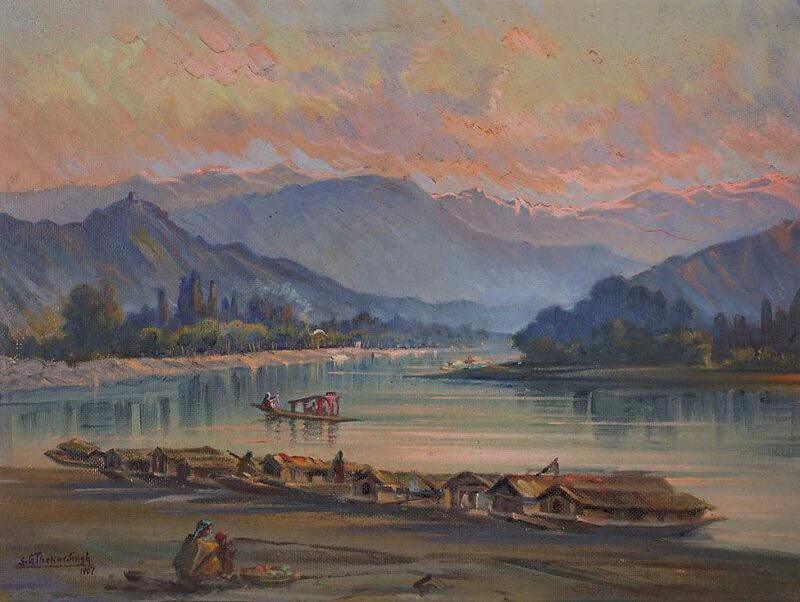 Landscape art arrived in India through travelling European artists who brought the aesthetic of painting mountains, rivers and trees against the sky and a distant horizon – nature as a subject in itself – to Indian art, where it had traditionally only formed a backdrop in narrative-driven, figural paintings. 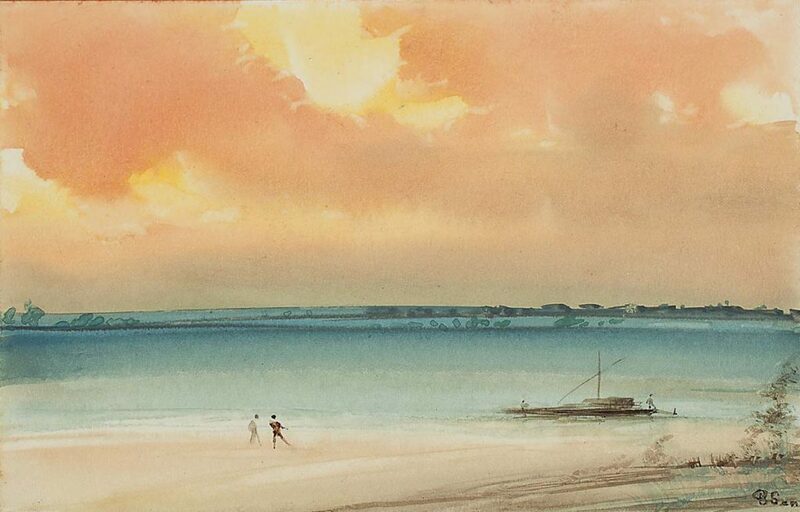 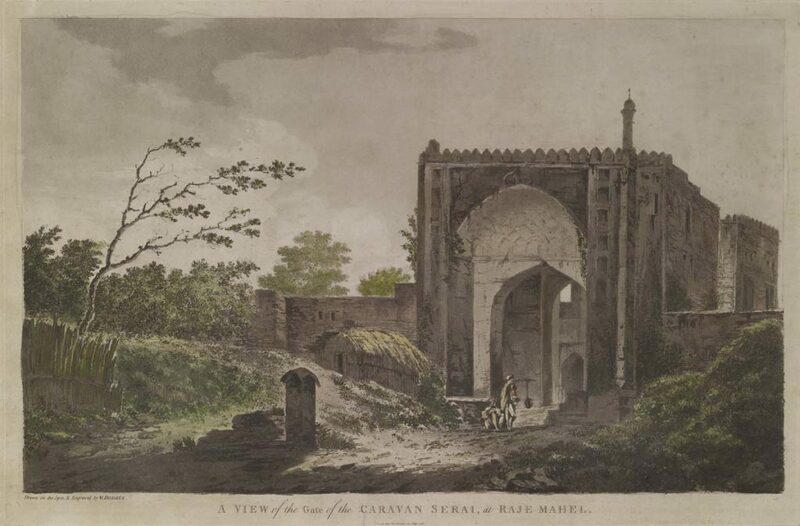 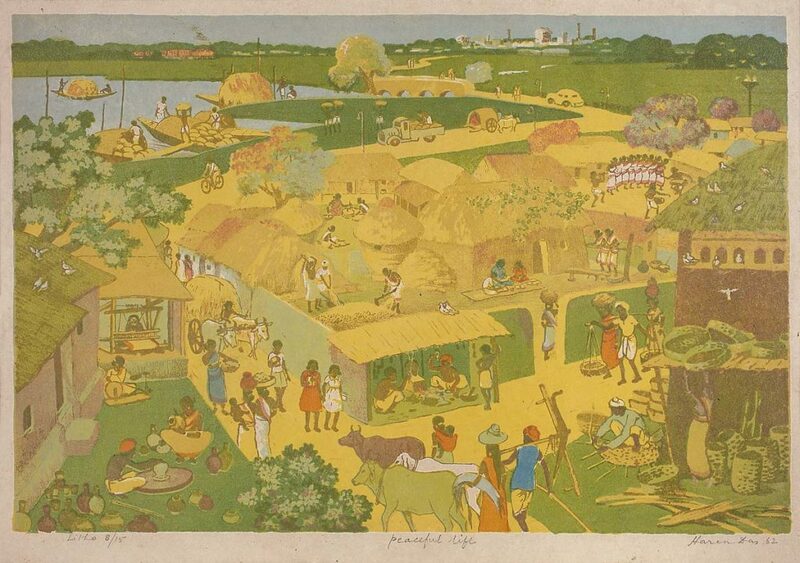 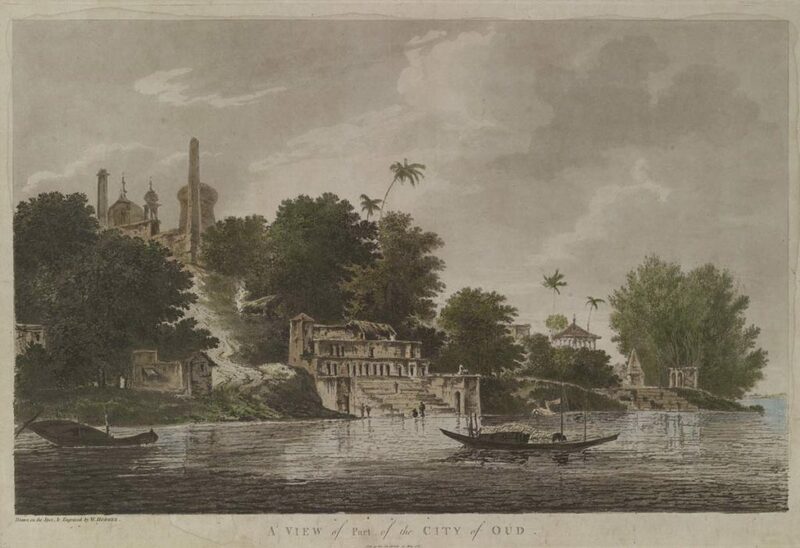 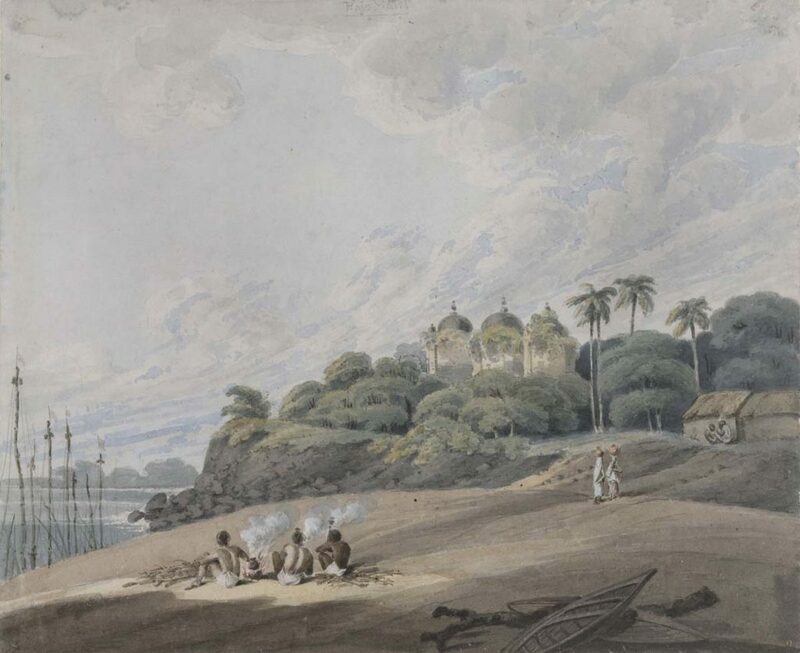 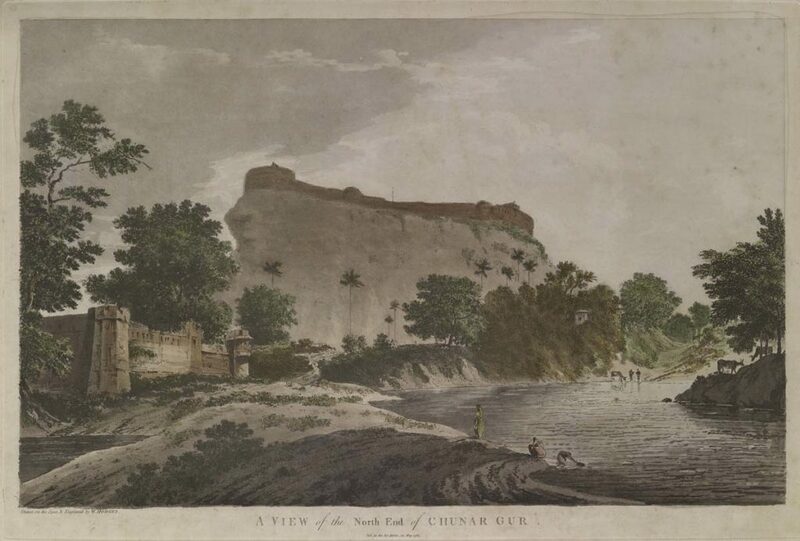 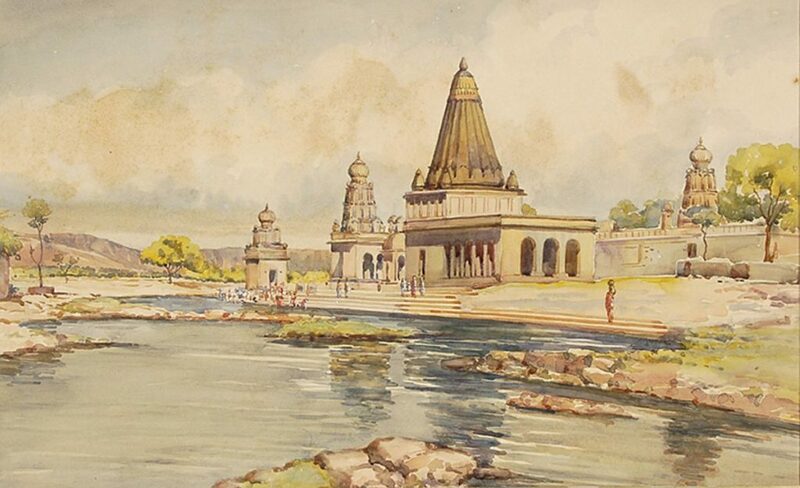 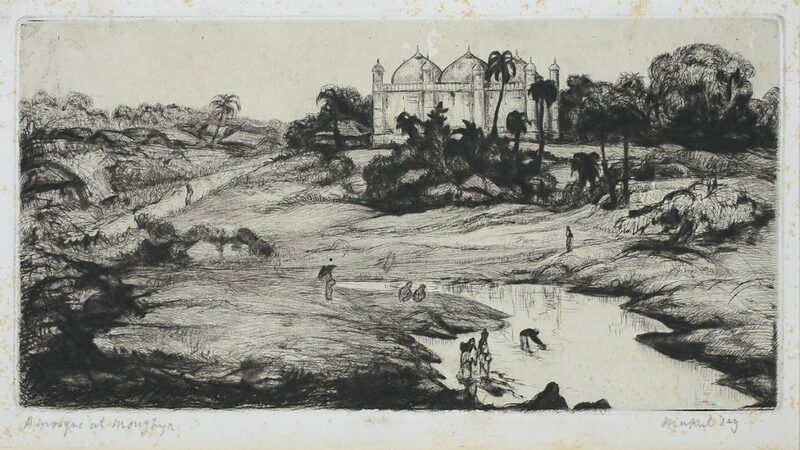 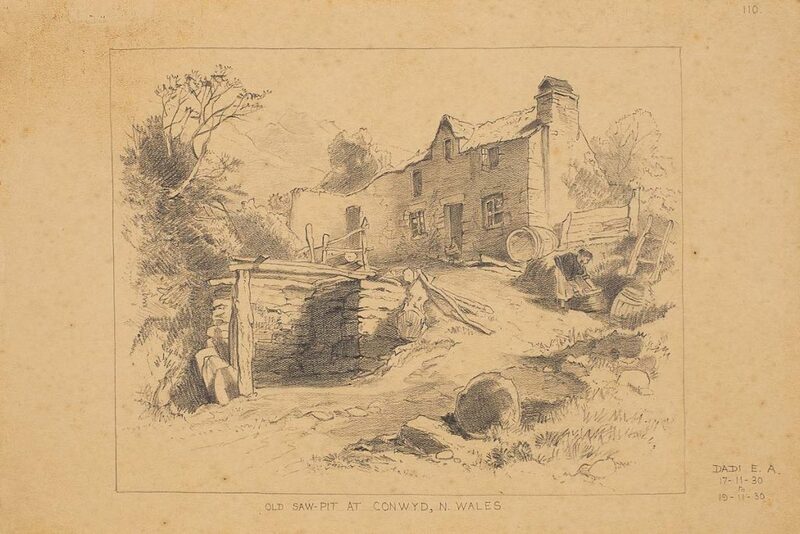 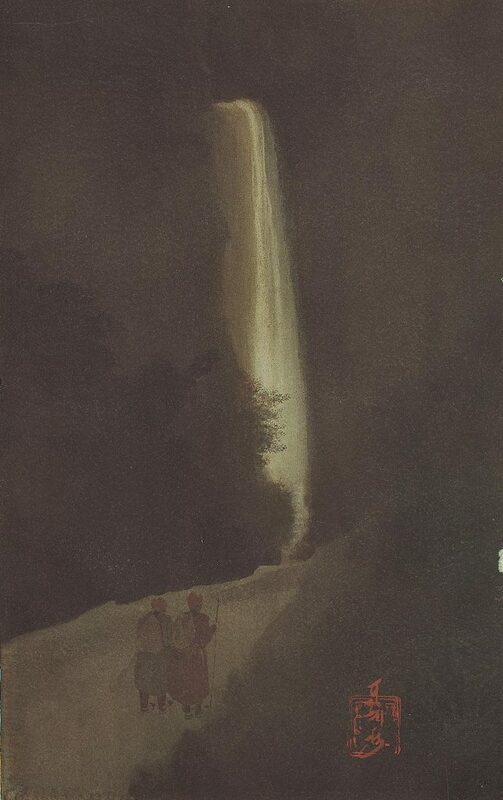 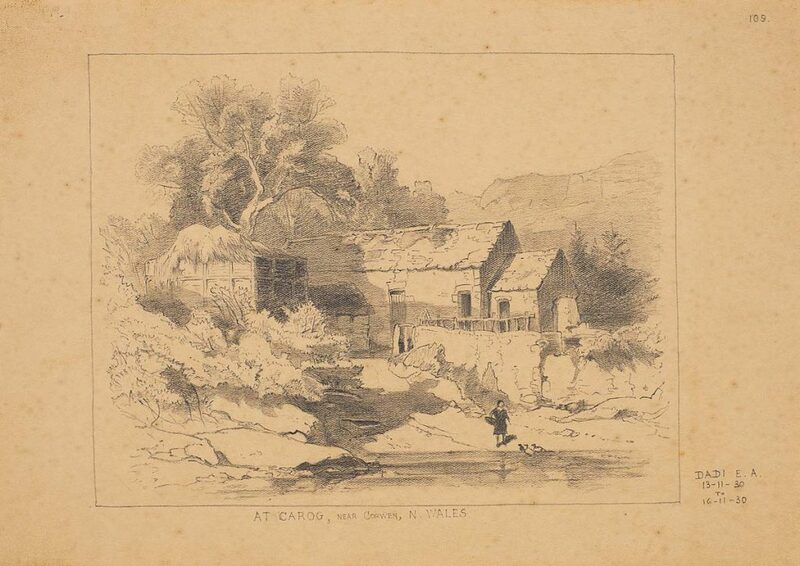 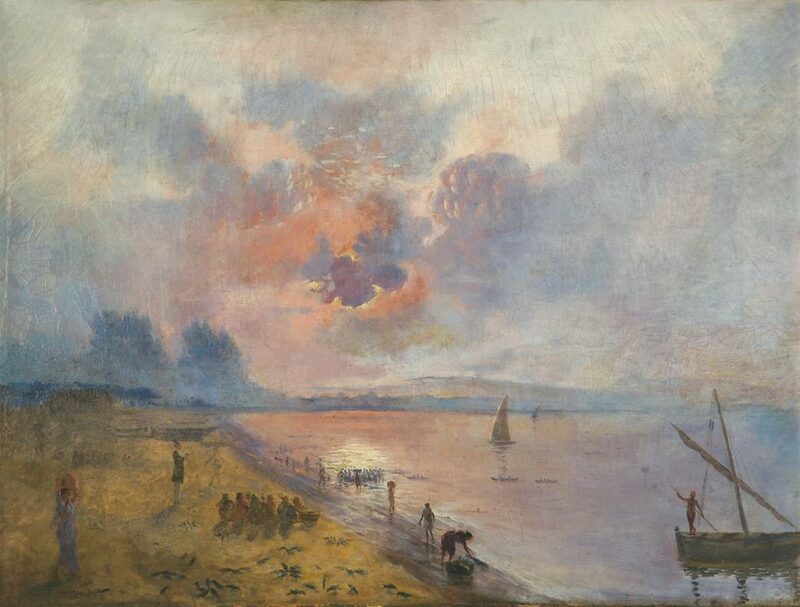 The genre remained popular throughout the nineteenth century with a great demand for landscapes of India both in Europe and among the newly anglicised elite in India. 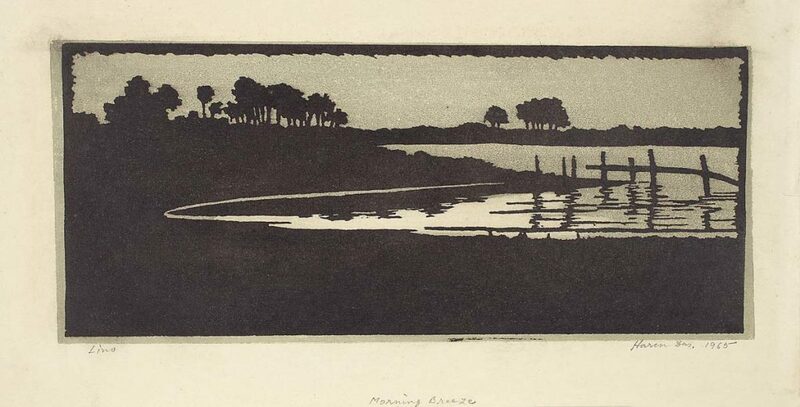 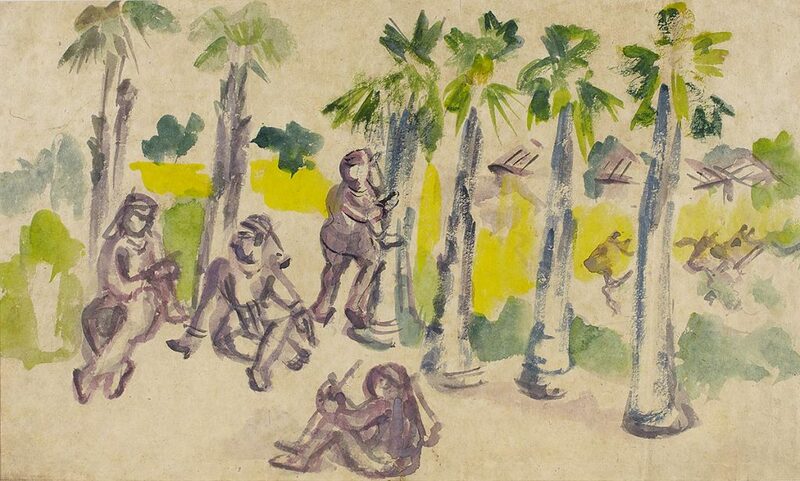 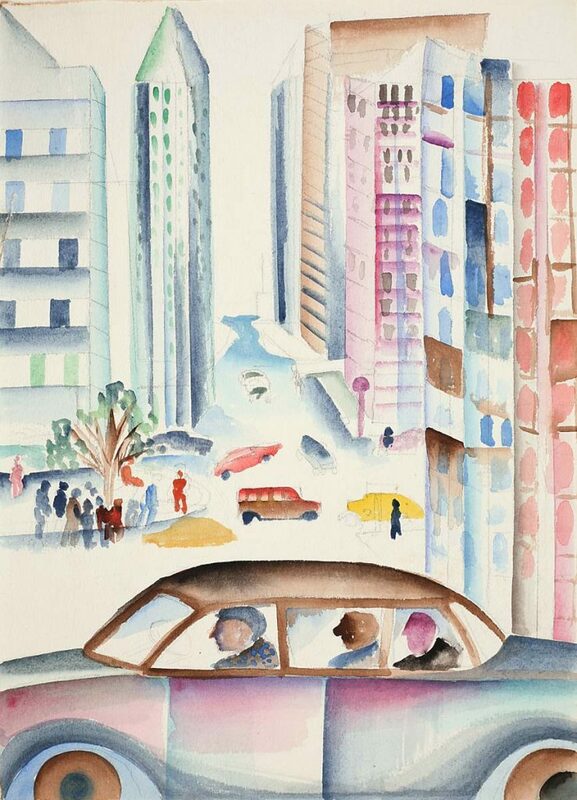 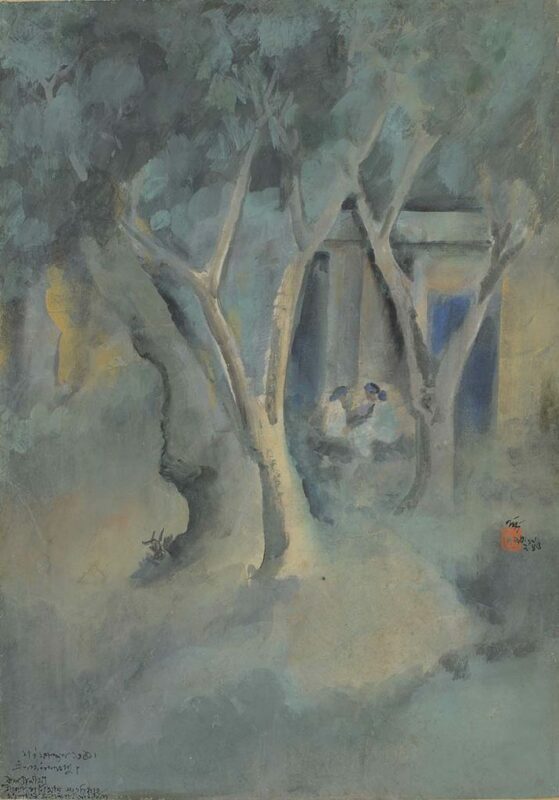 Its popularity began to wane with the advent of modernism and a growing emphasis on the human figure, but several Indian artists, a significant name among them Gopal Ghose, continued to practice the form, now absorbing a wide range of new artistic trends and influences. 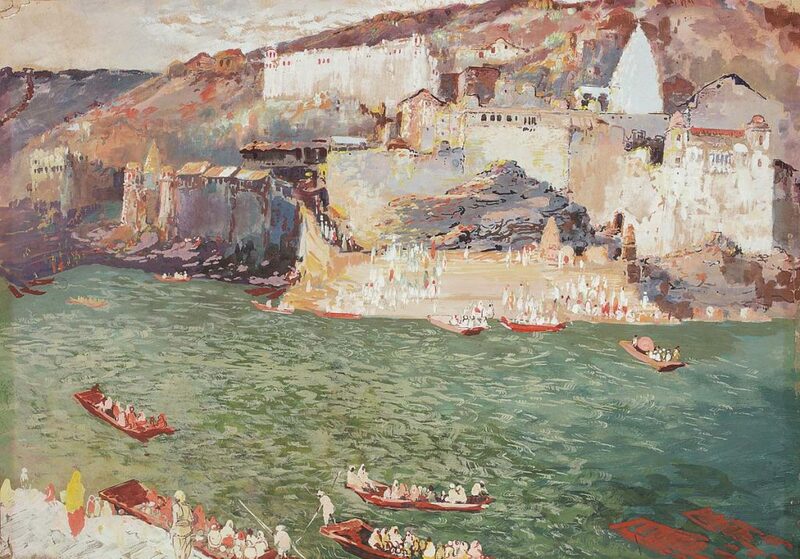 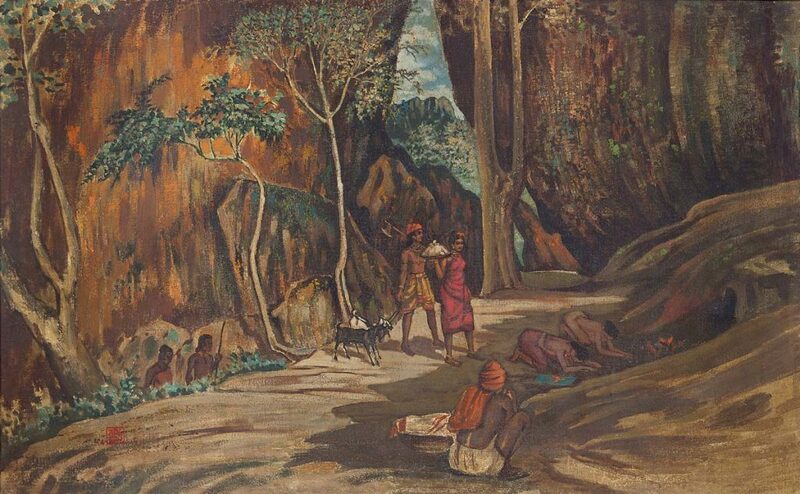 The exhibition brings together the work of the earliest European artist-travellers to India, such as Thomas Daniell, William Hodges, Edward Cheney and Robert Grindlay, academic realist oil landscapes by acknowledged masters of the form, J. P. Gangooly and Ravi Varma, as well as a strong representation of academic Indian art school-trained artists from the 1920s-60s who specialised in landscapes – such as S. L. Haldankar, M. K. Parandekar, L. N. Taskar, D. C. Joglekar and S. G. Thakur Singh – and Bengal School’s Far East-inspired innovations seen in the works of Abanindranath Tagore, Nandalal Bose, Prosanto Roy, Benode Behari Mukherjee and Indra Dugar. 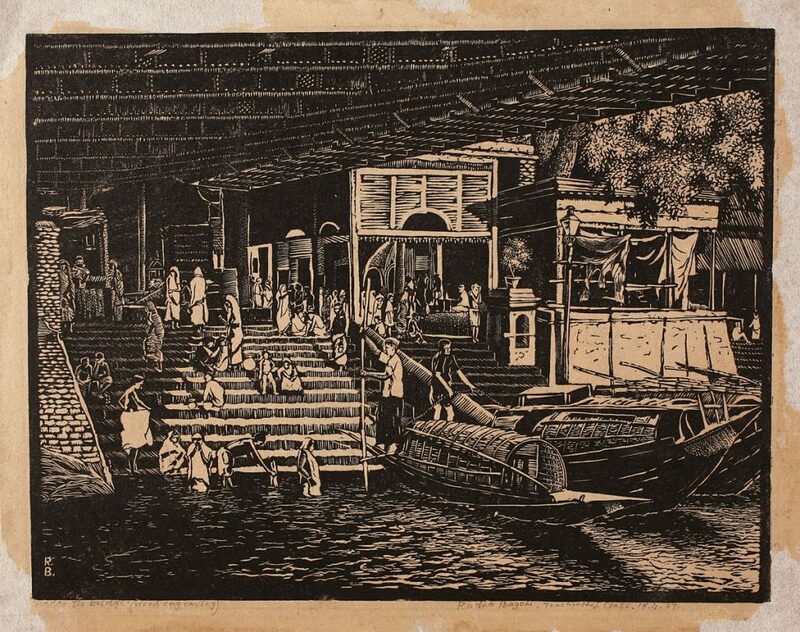 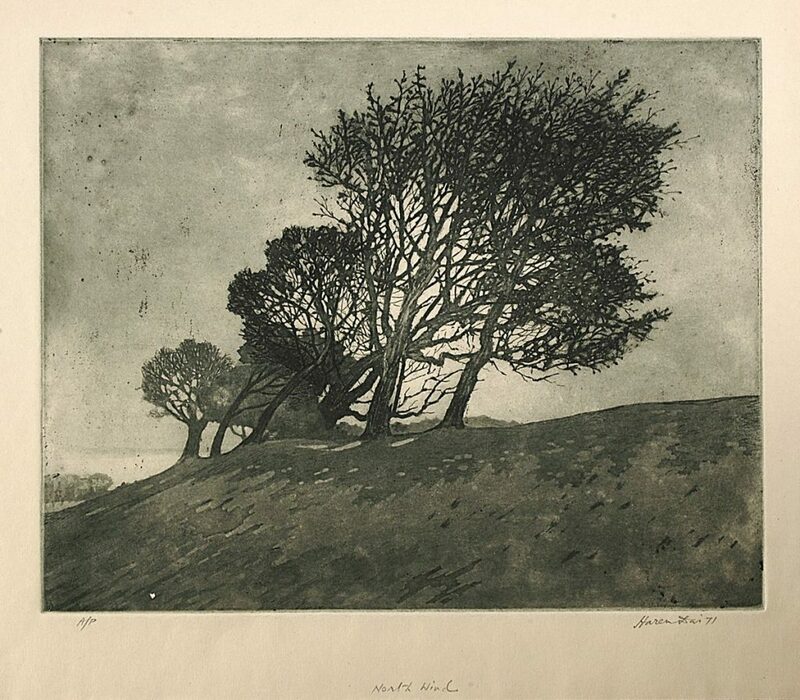 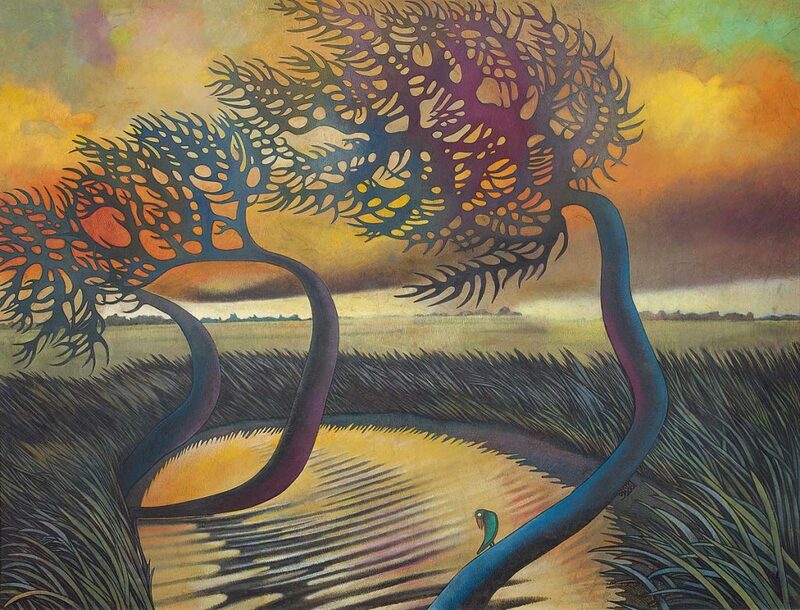 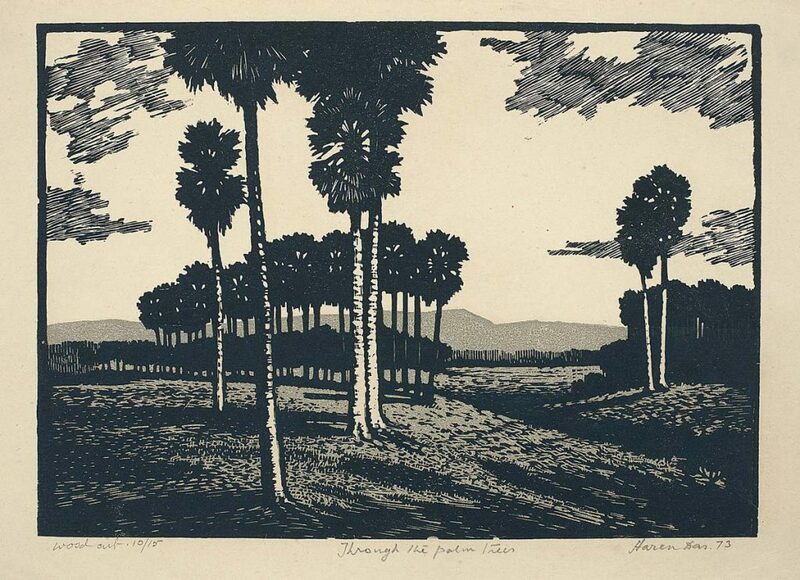 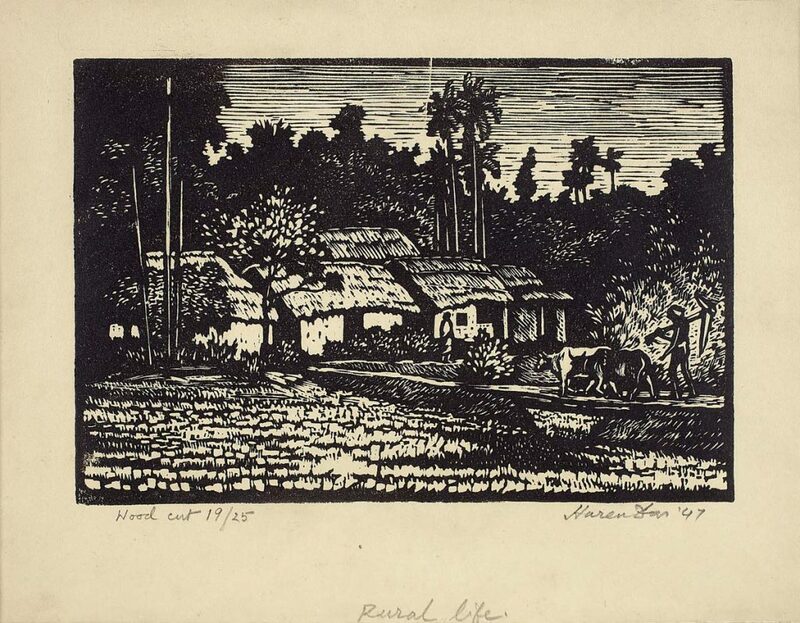 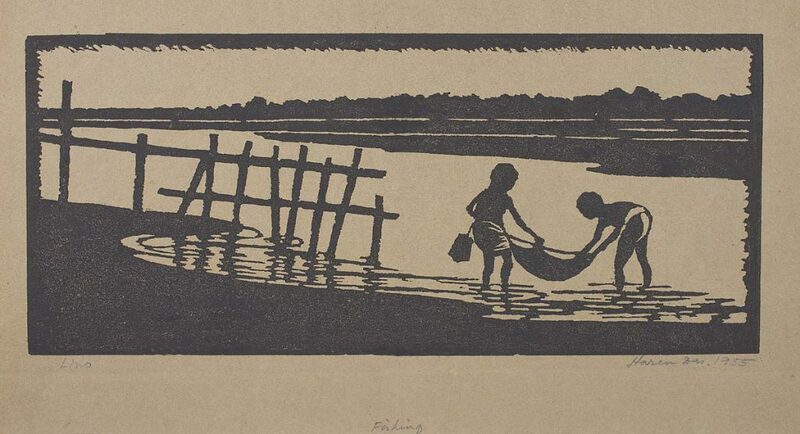 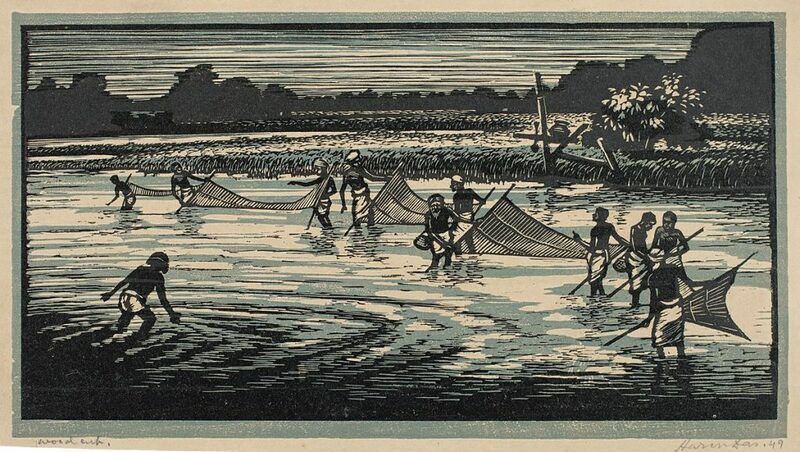 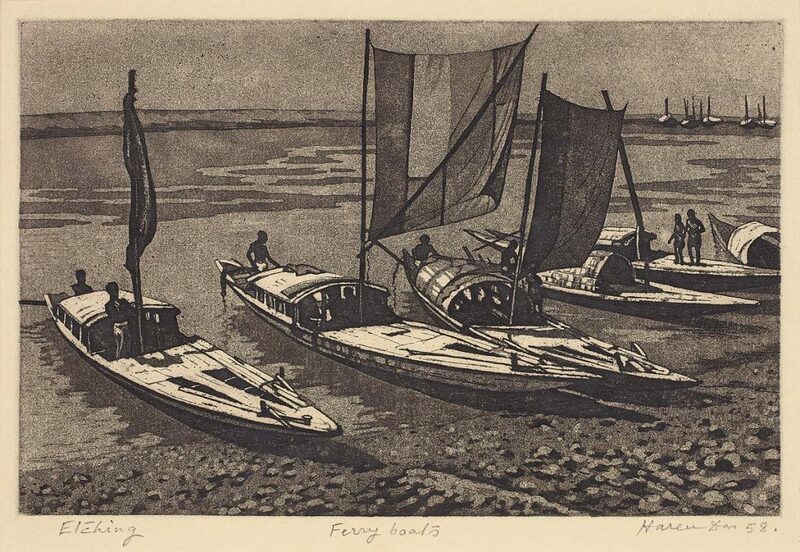 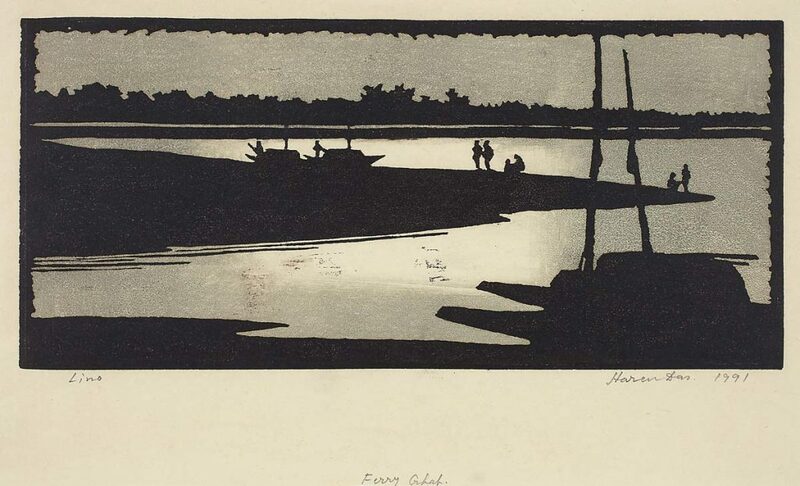 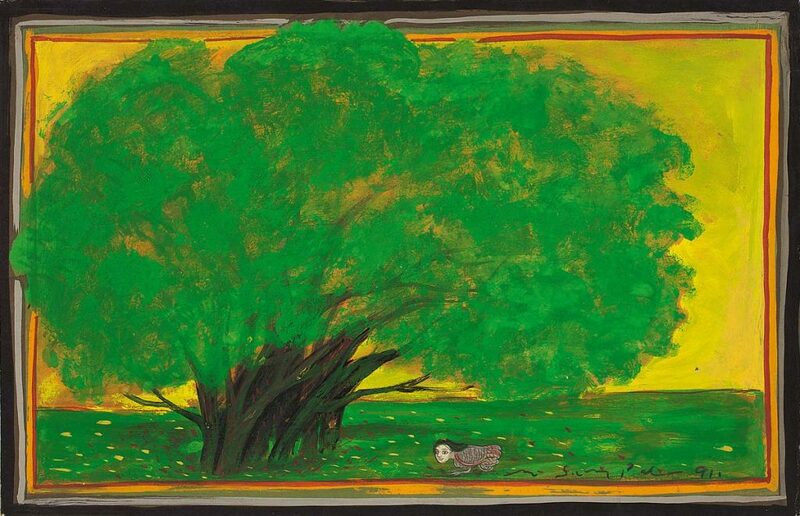 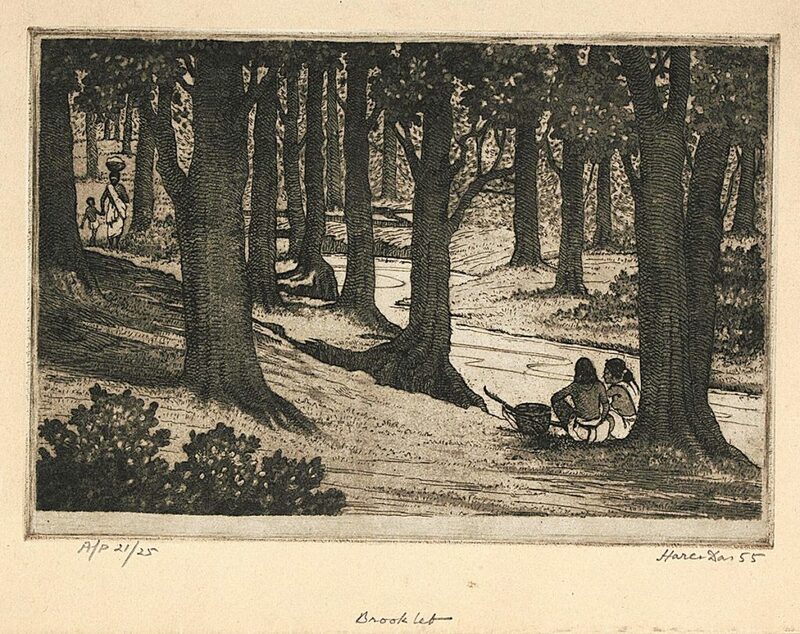 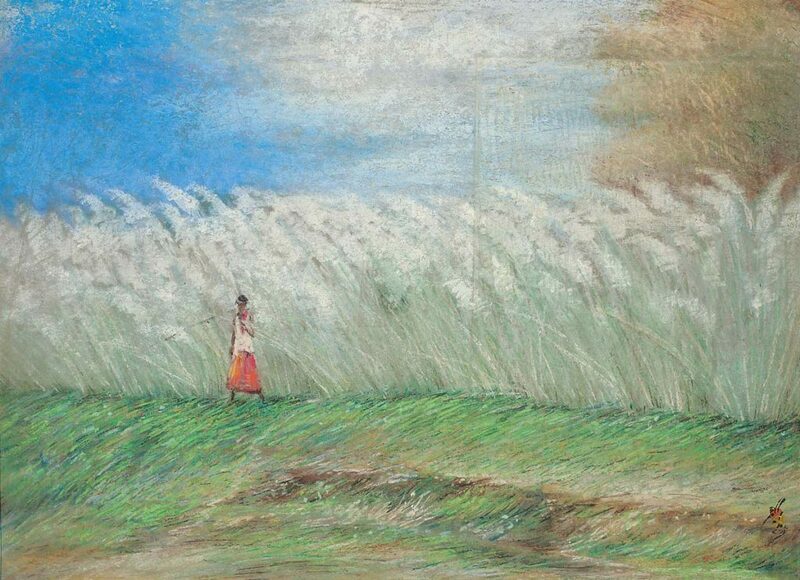 Master printmaker Haren Das, known for his serene, bucolic landscapes of rural Bengal, finds special and substantial representation. 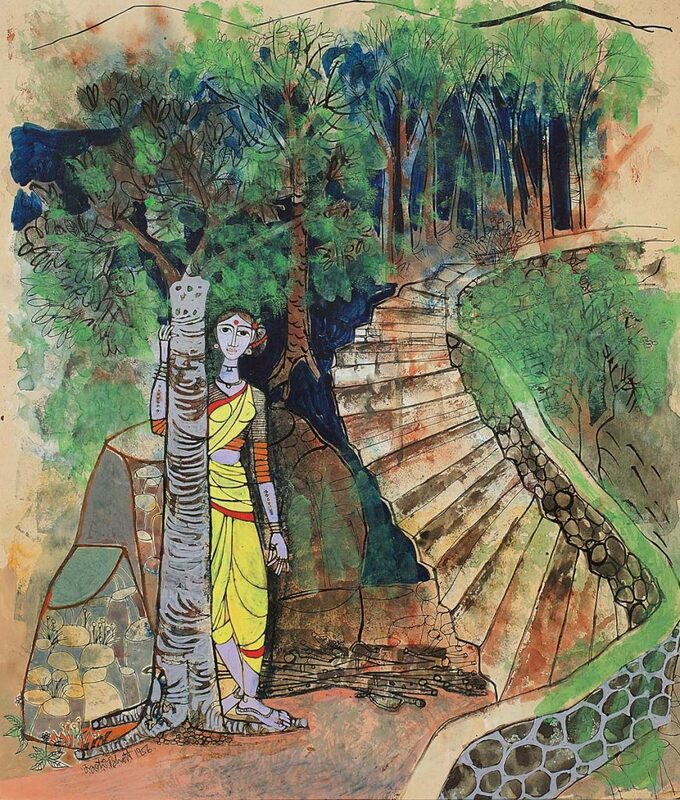 A highlight of the exhibition is the inclusion of two scrolls over eight-feet long, one each by artists Kripal Singh Shekhawat and Bishnupada Roychowdhury. 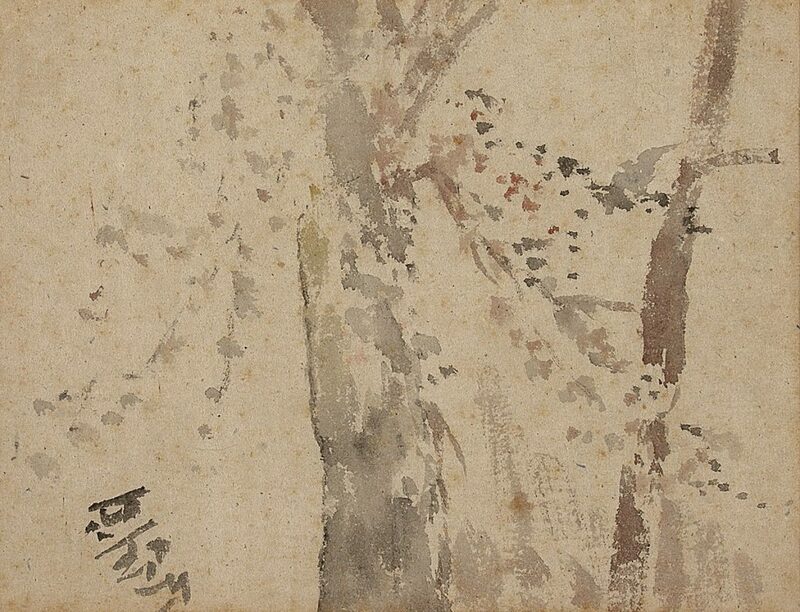 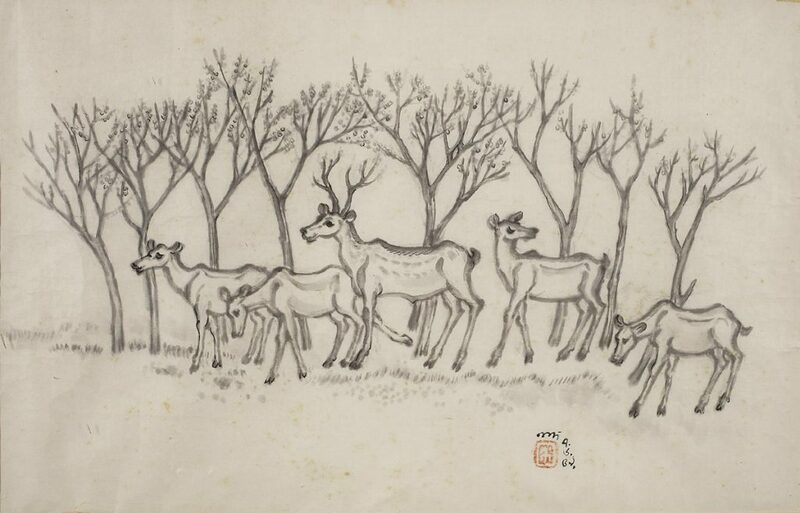 The scrolls depict long narratives featuring tiny figures and objects painted painstakingly over paper, reflecting the strong influence of Japanese art. 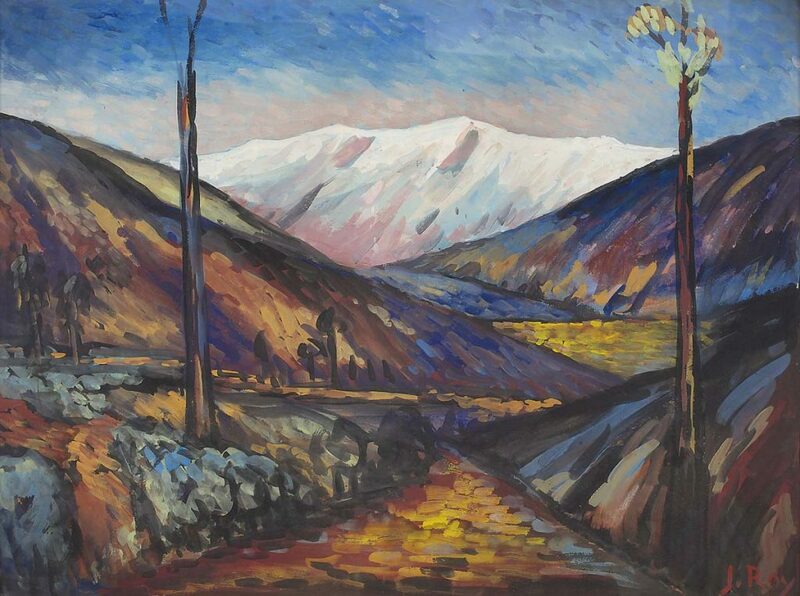 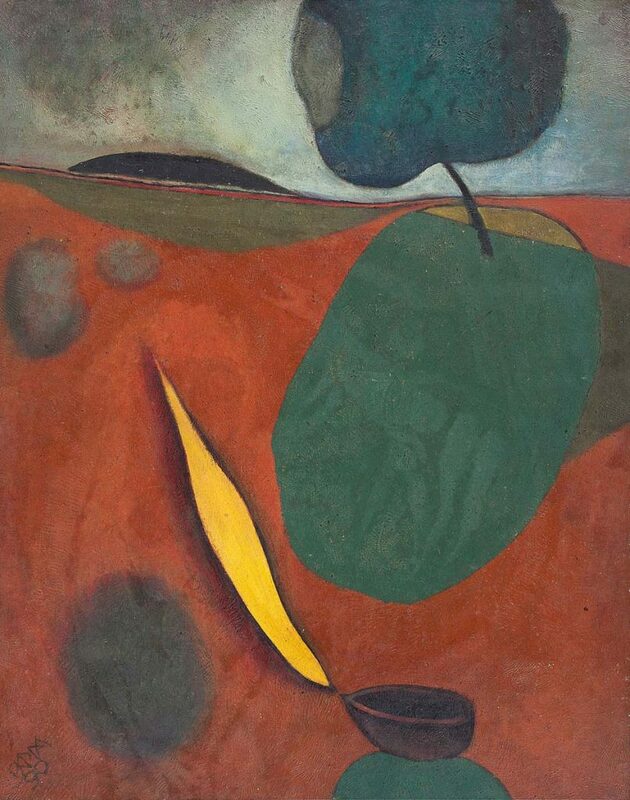 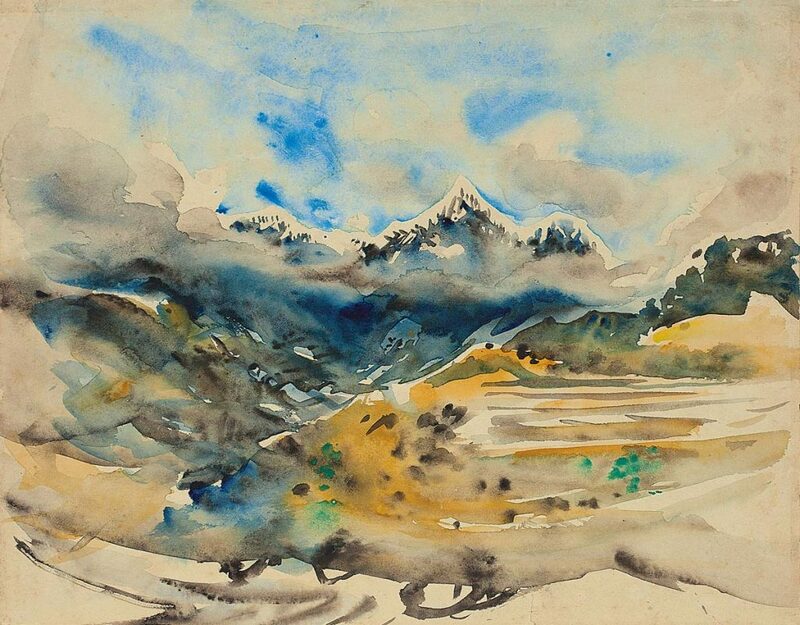 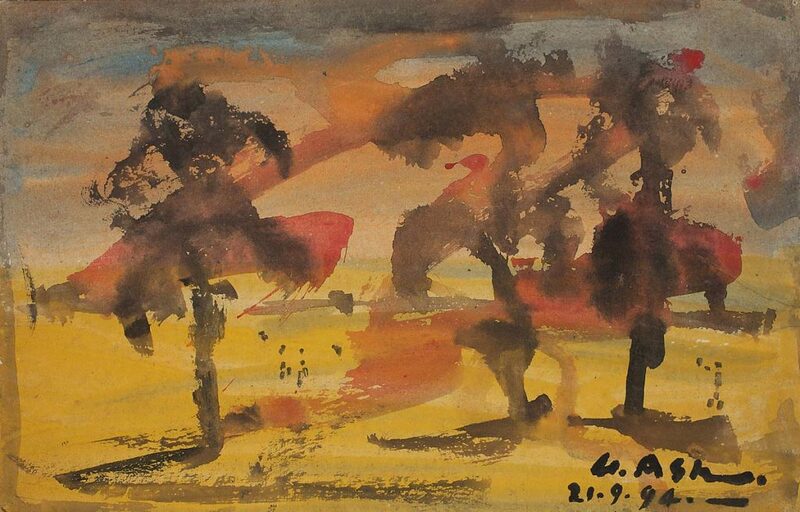 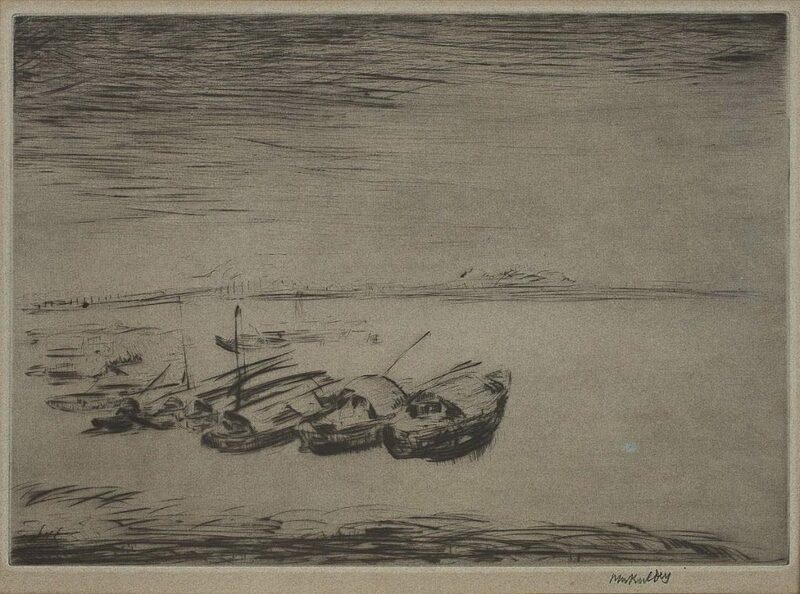 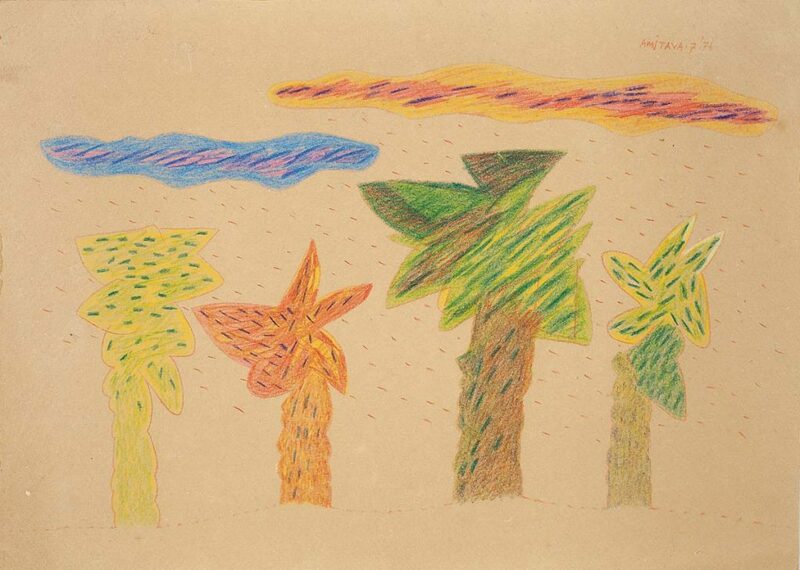 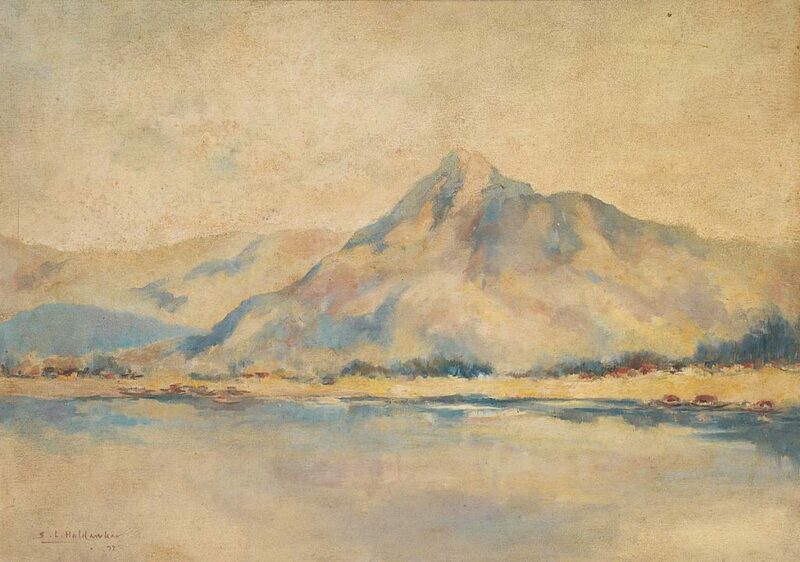 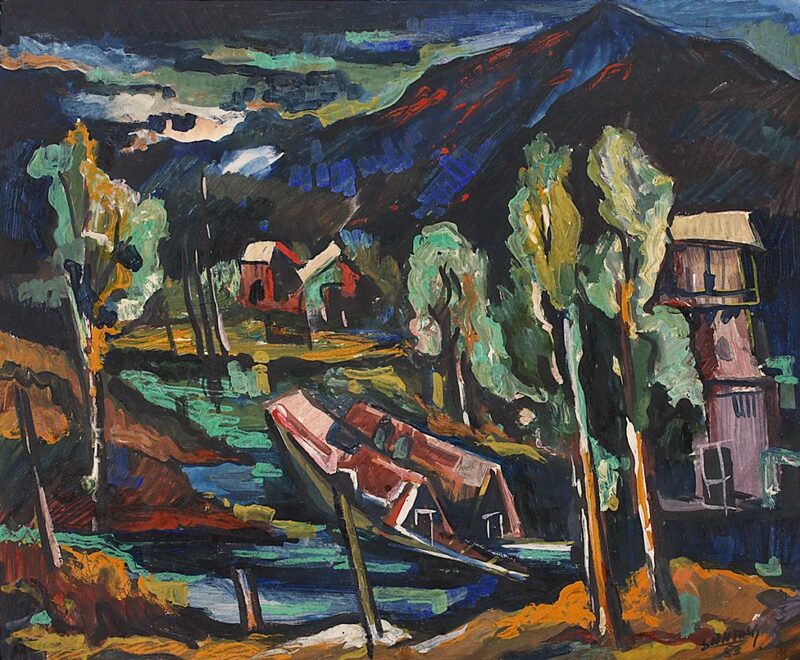 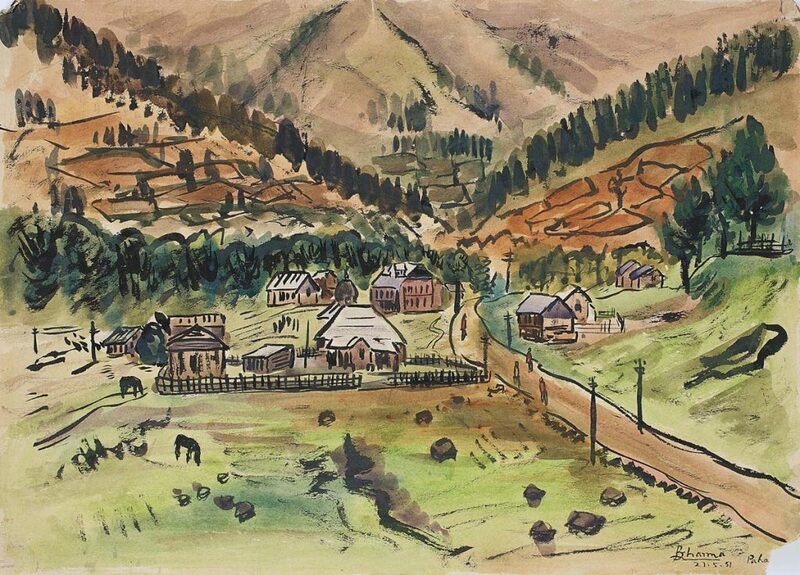 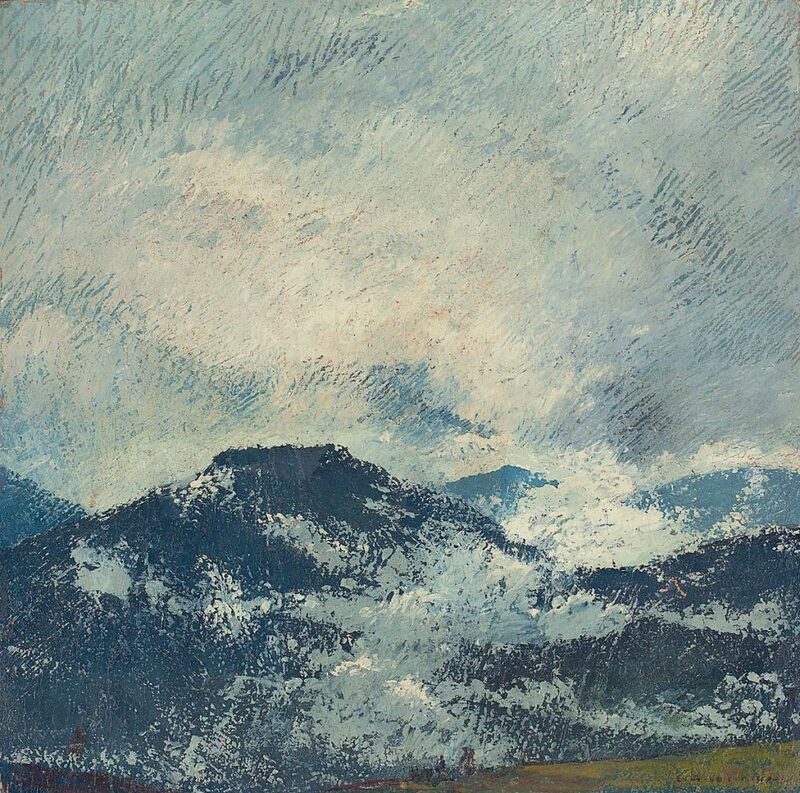 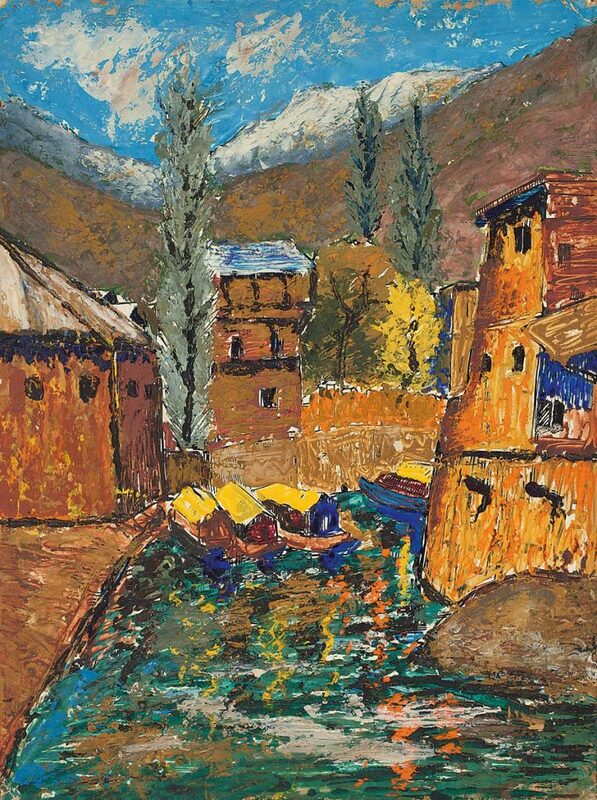 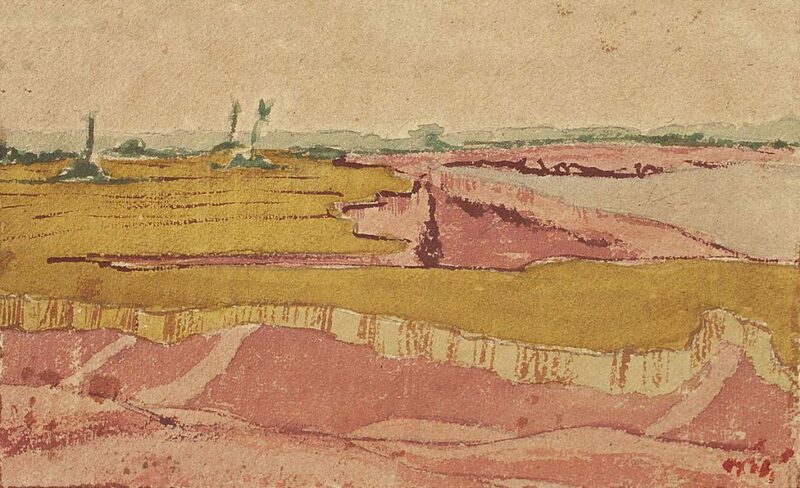 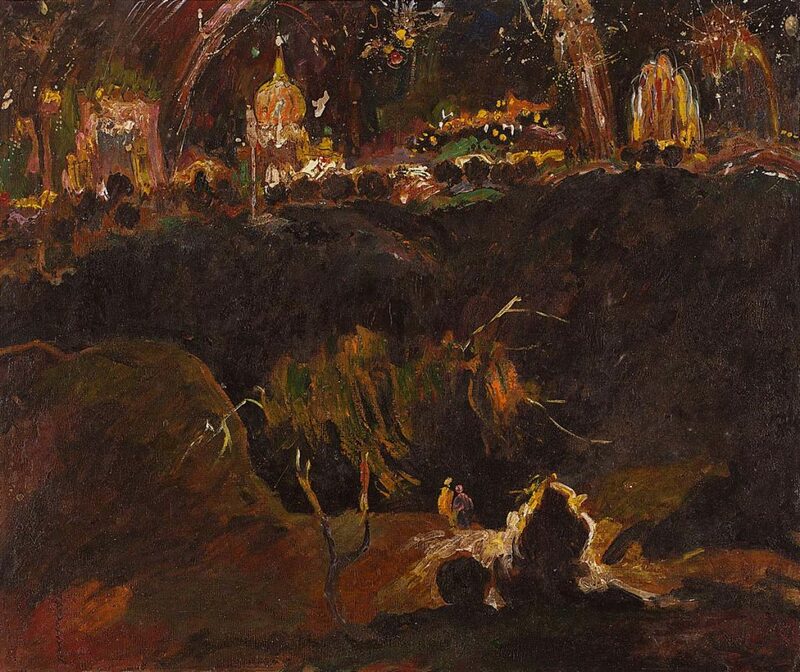 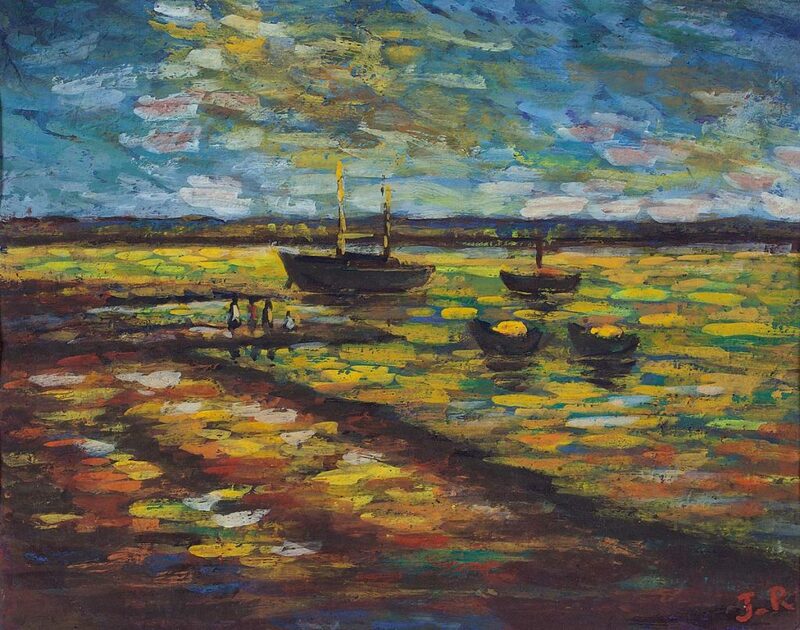 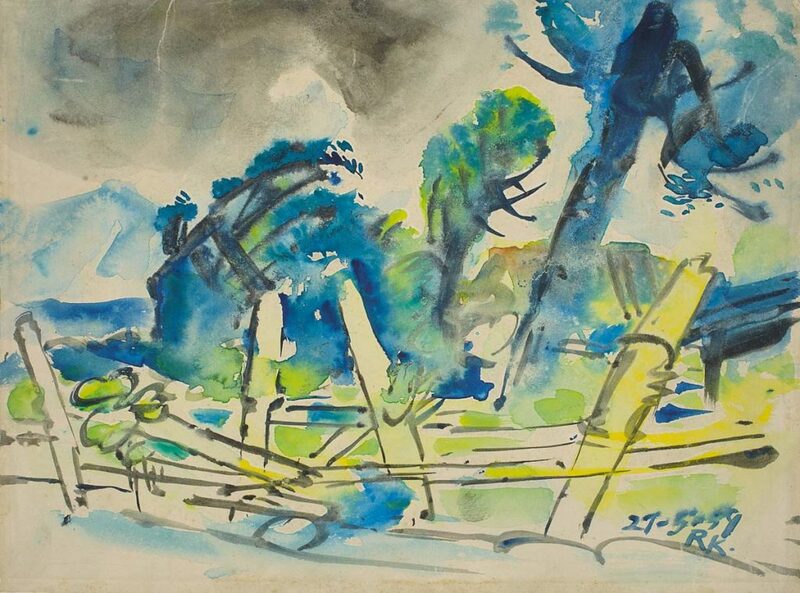 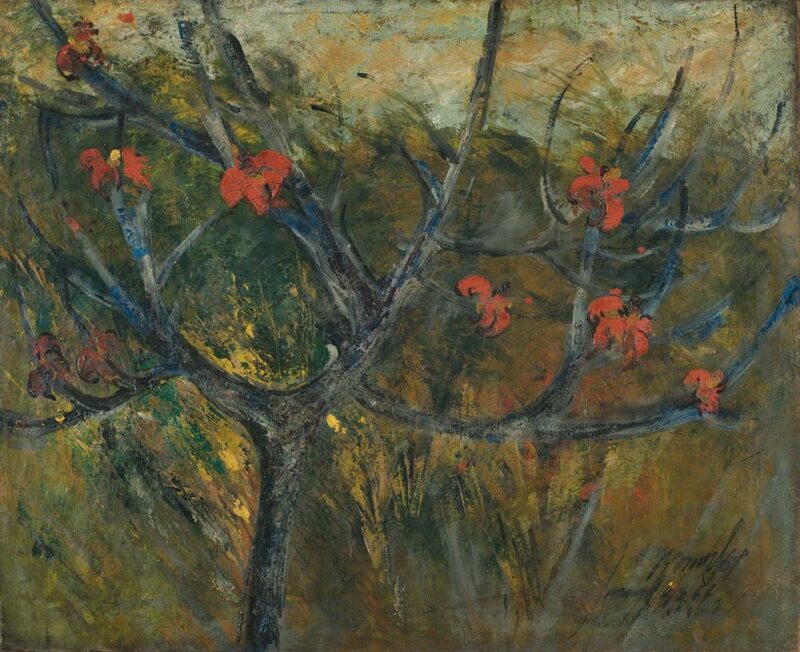 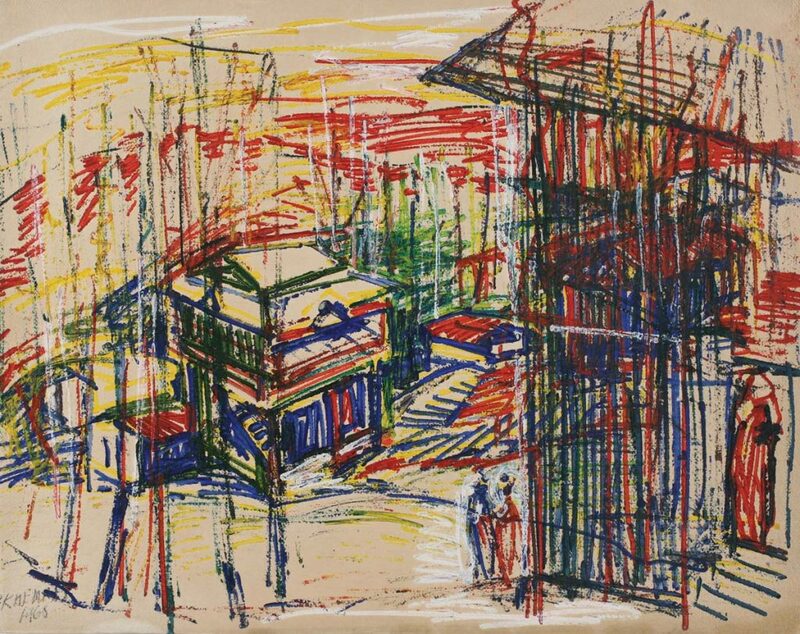 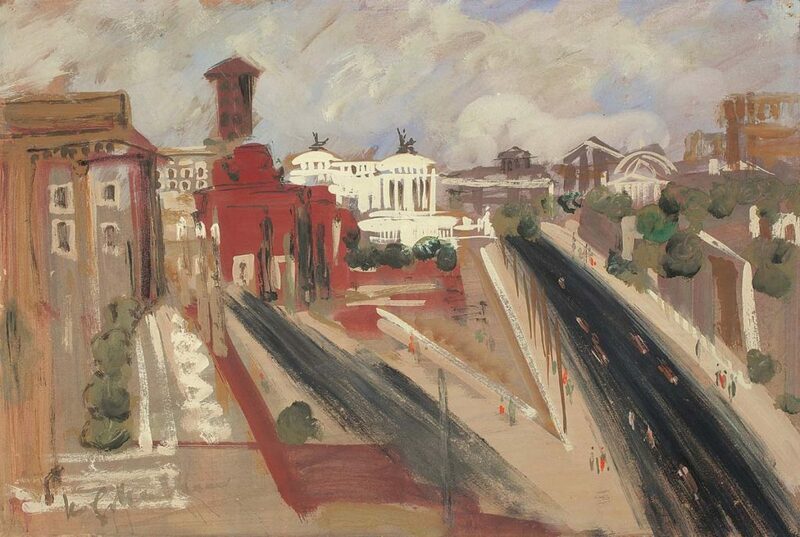 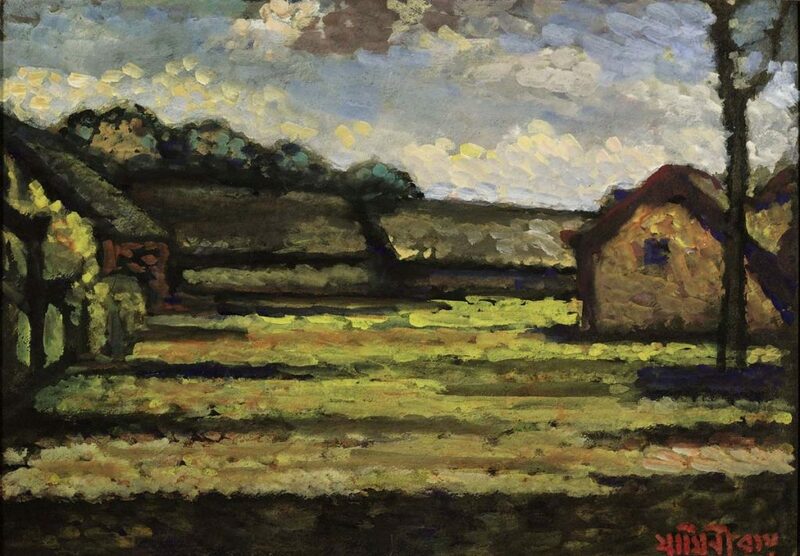 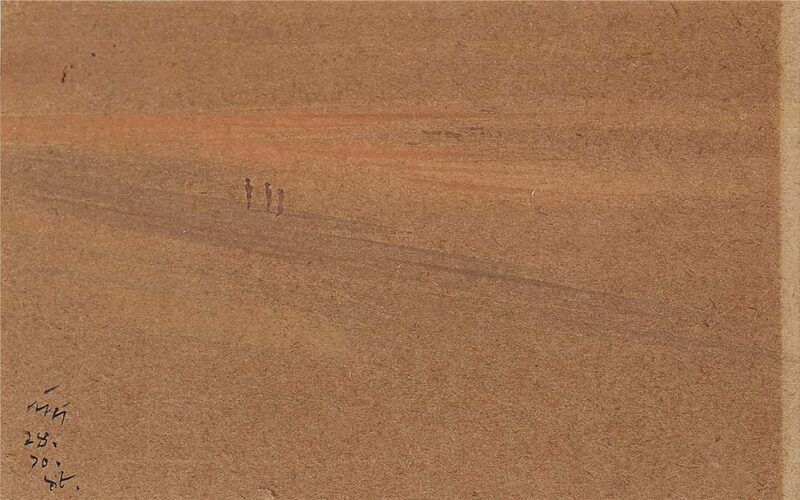 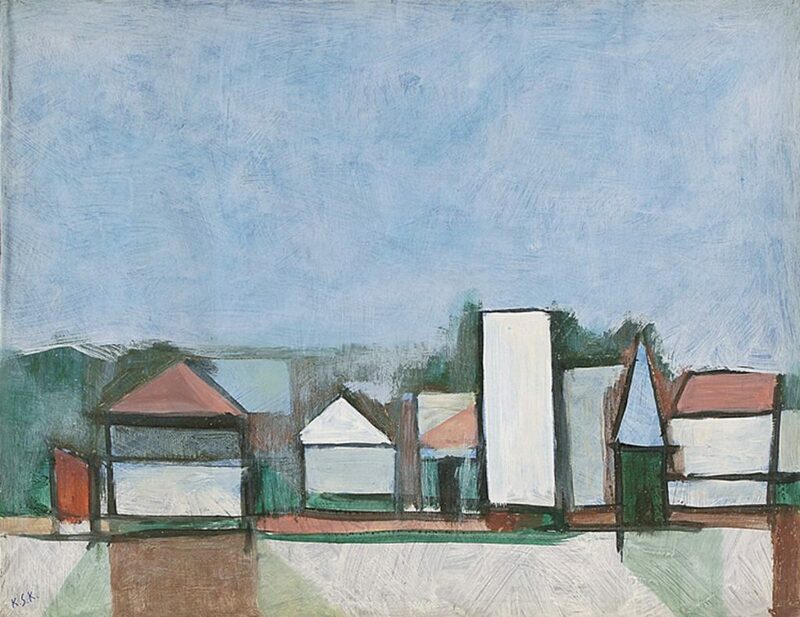 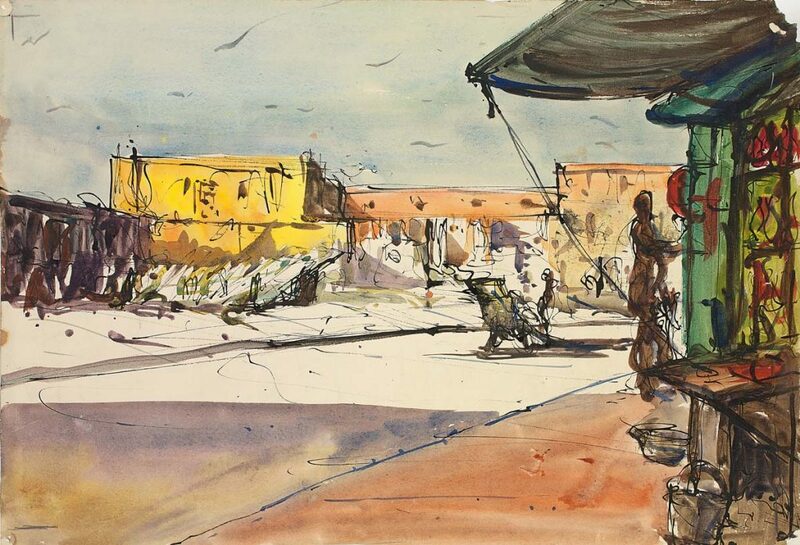 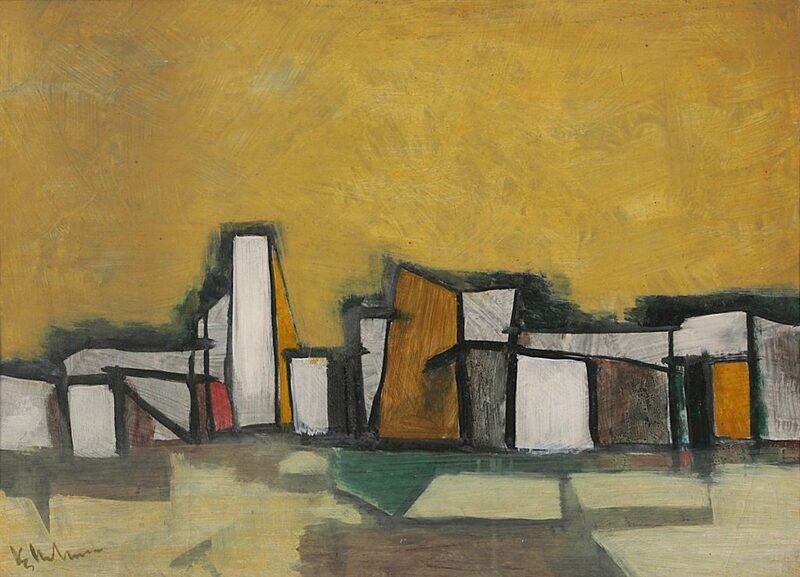 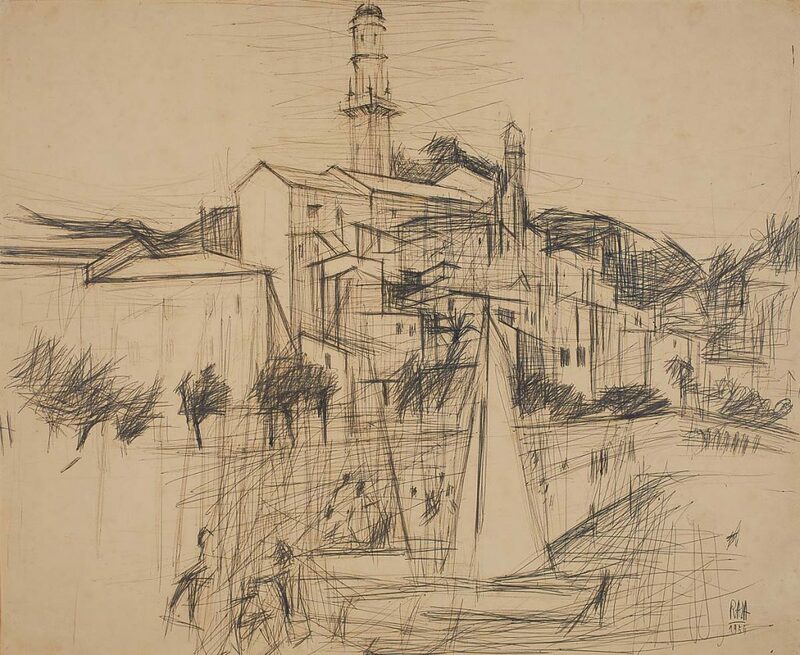 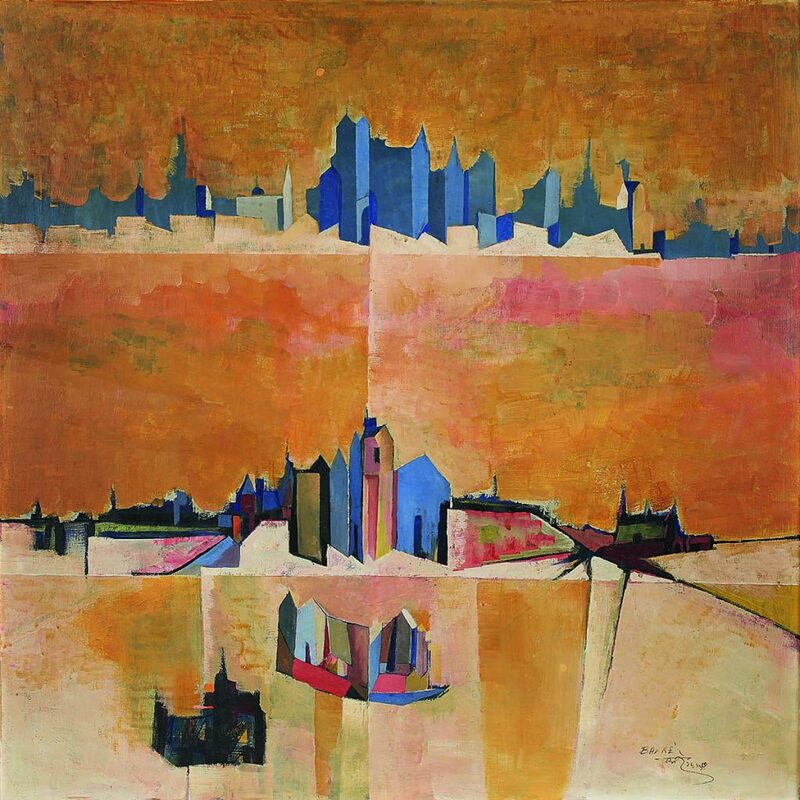 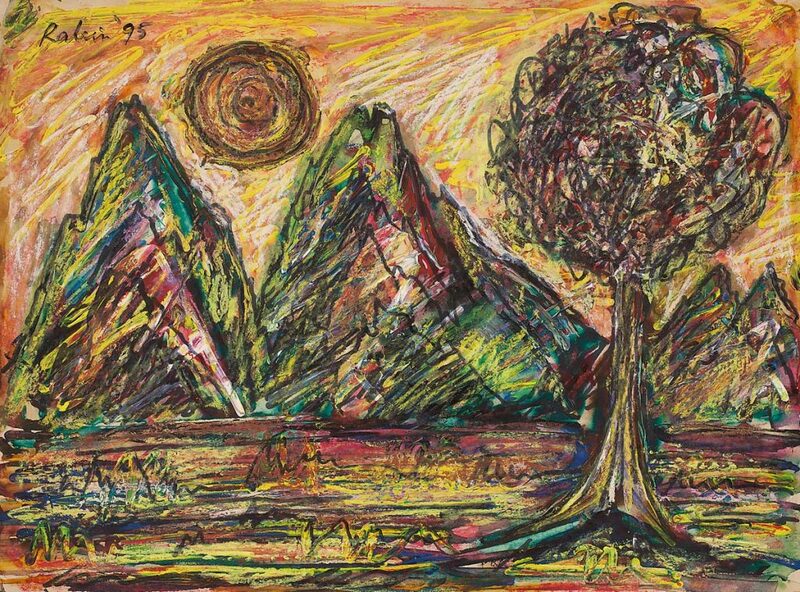 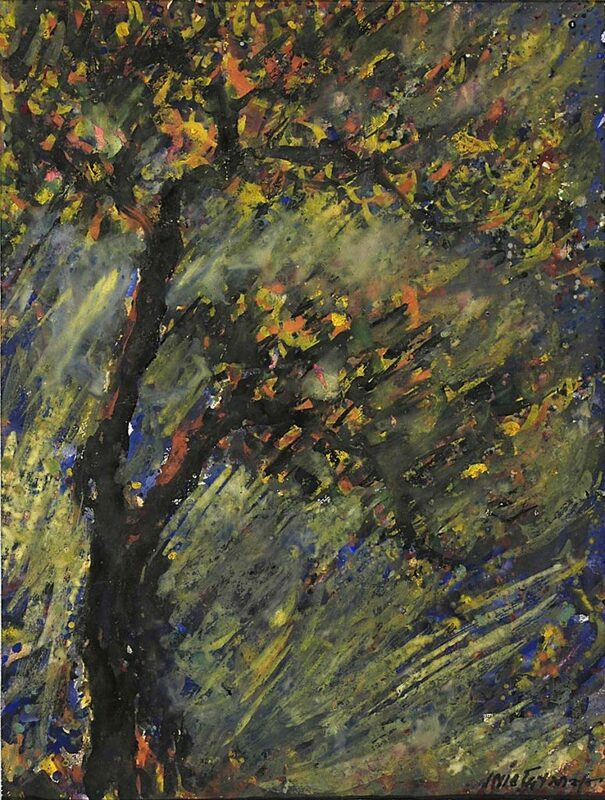 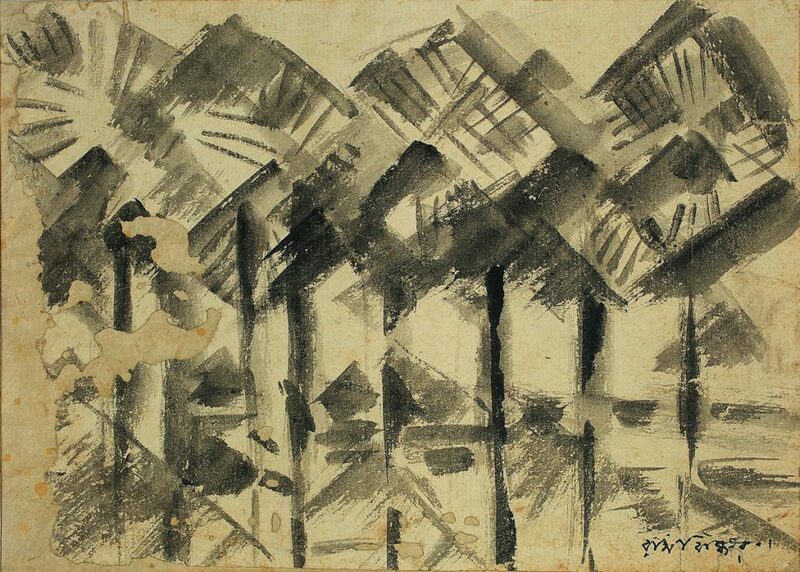 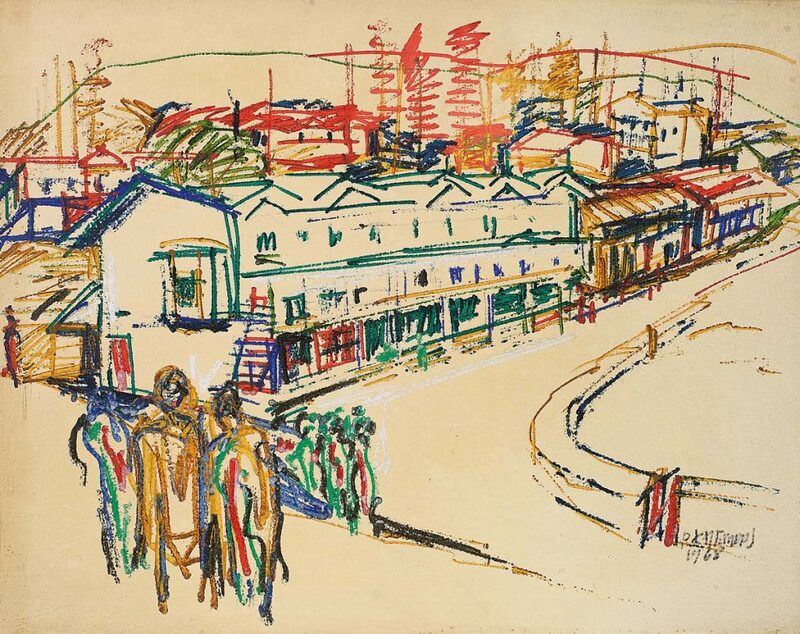 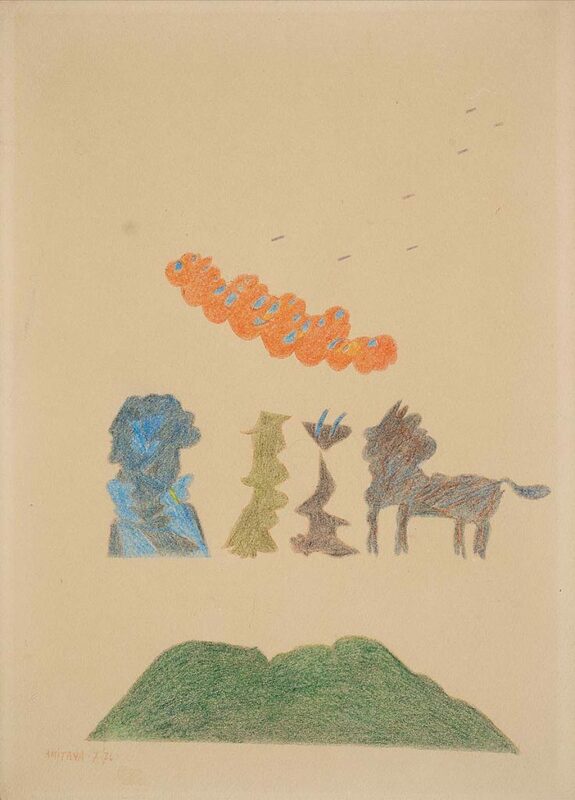 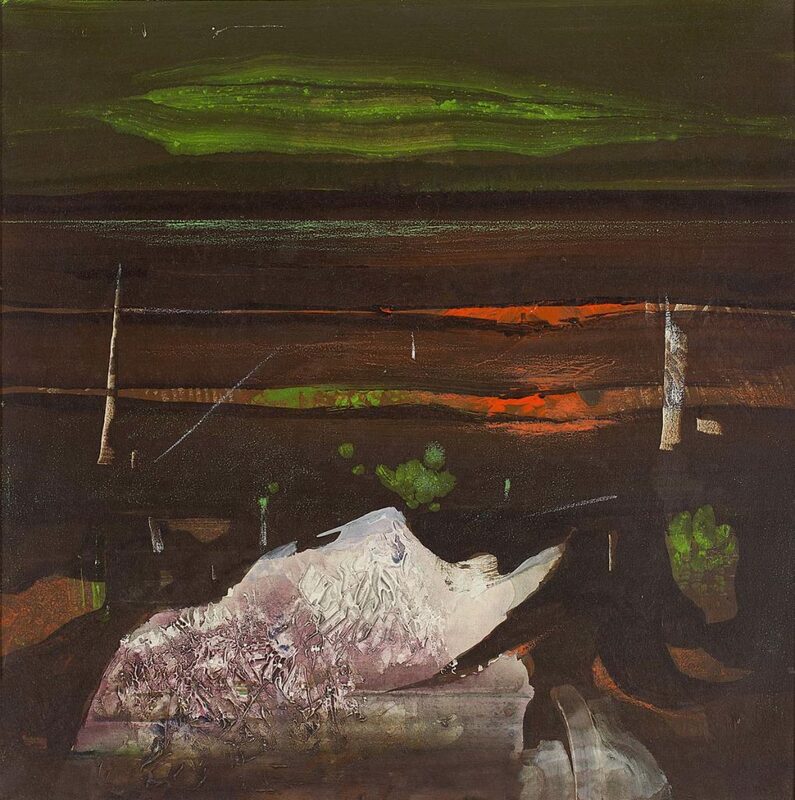 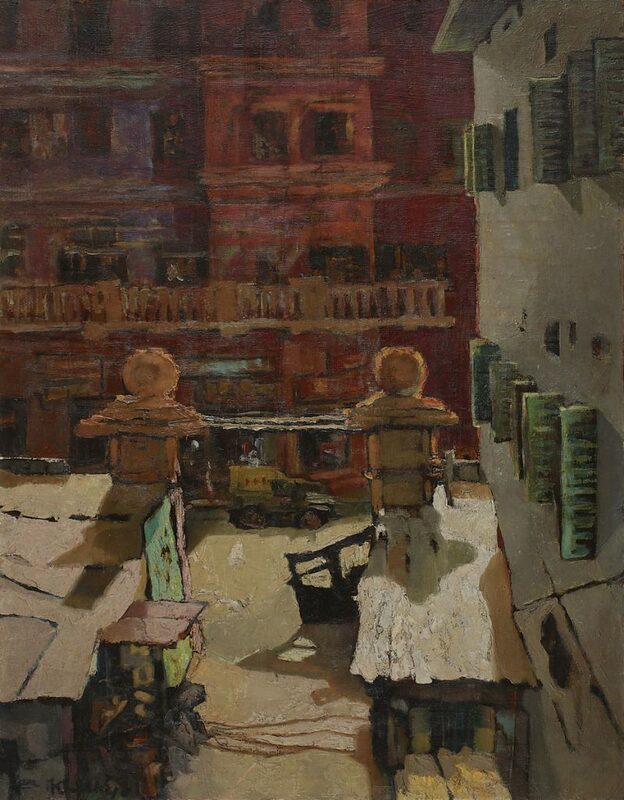 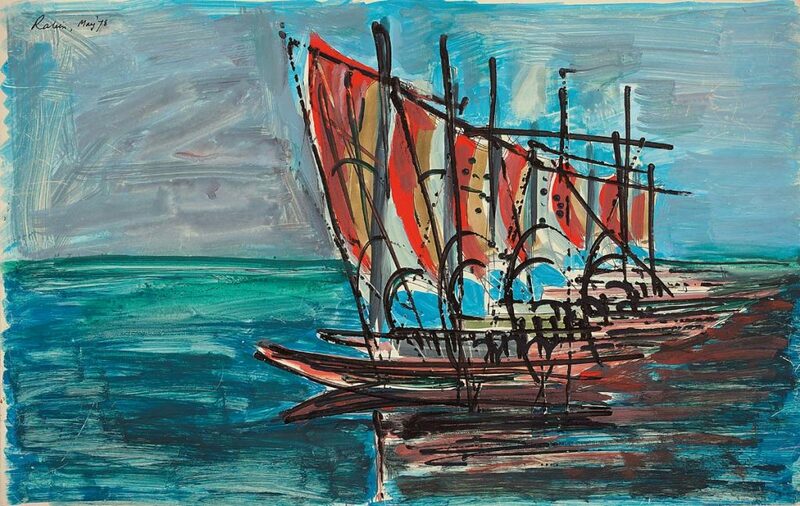 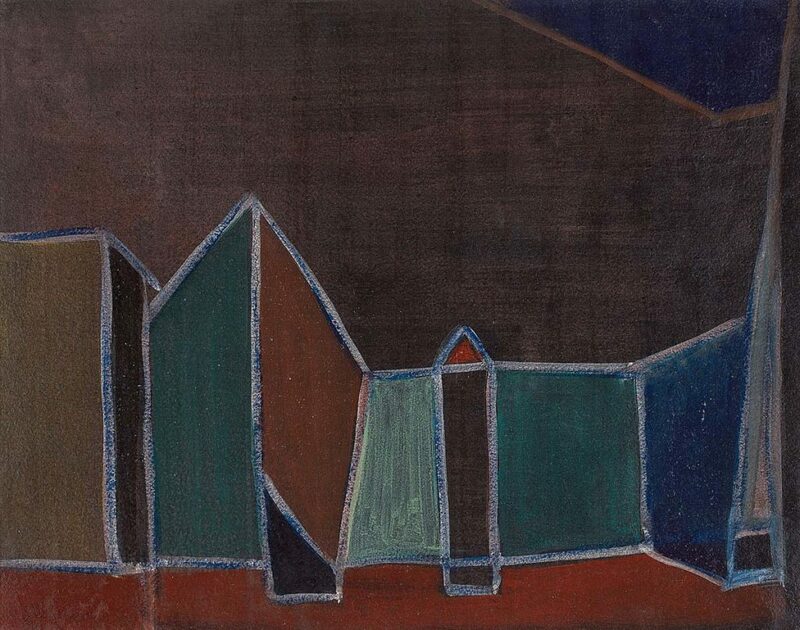 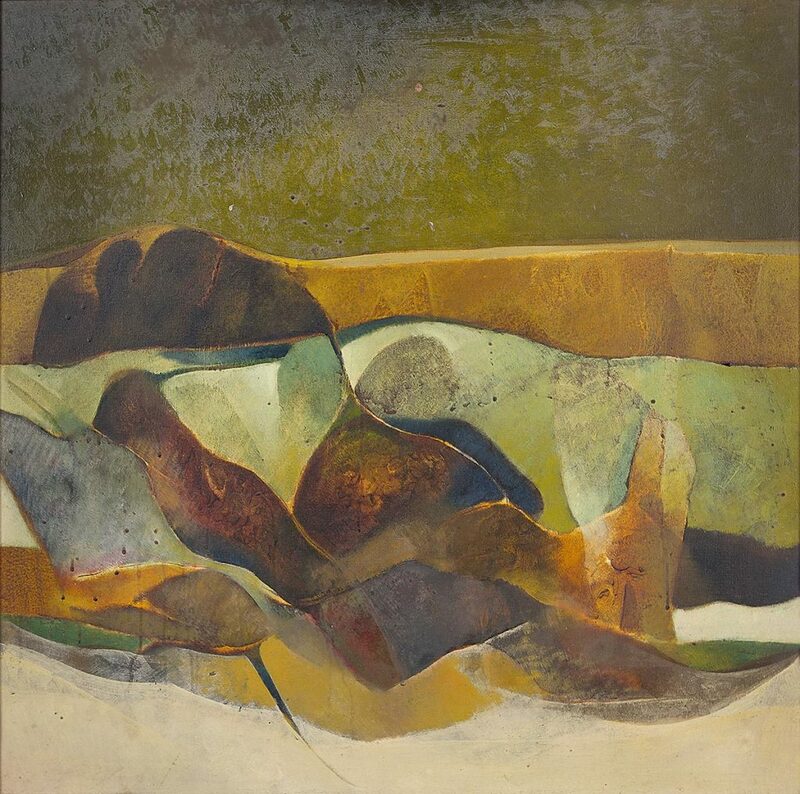 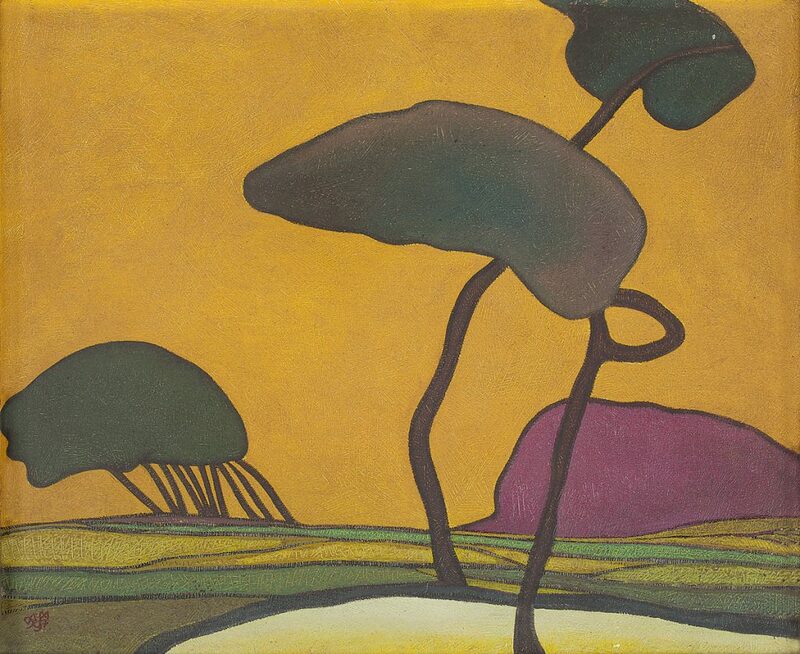 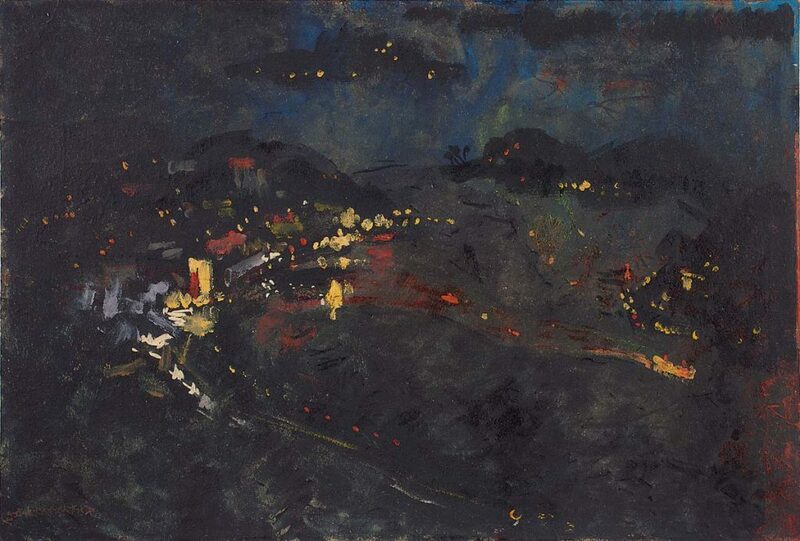 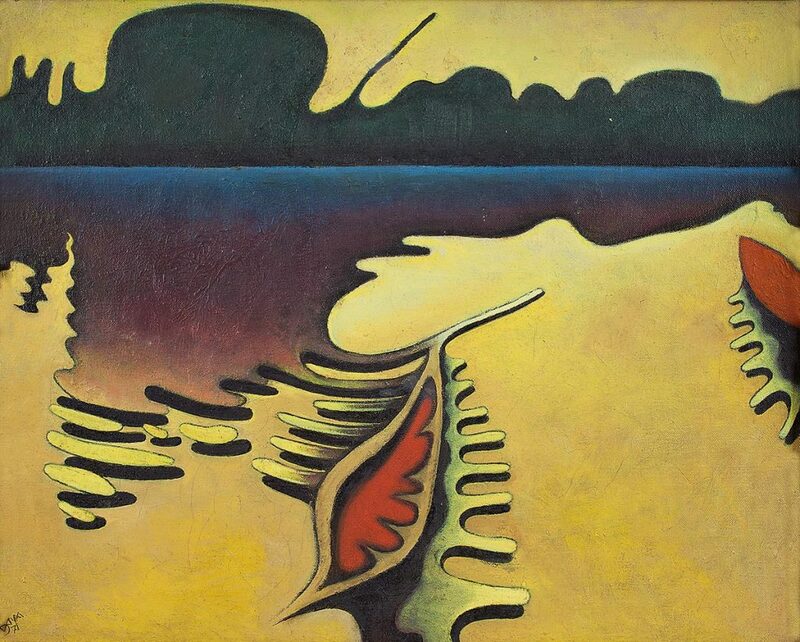 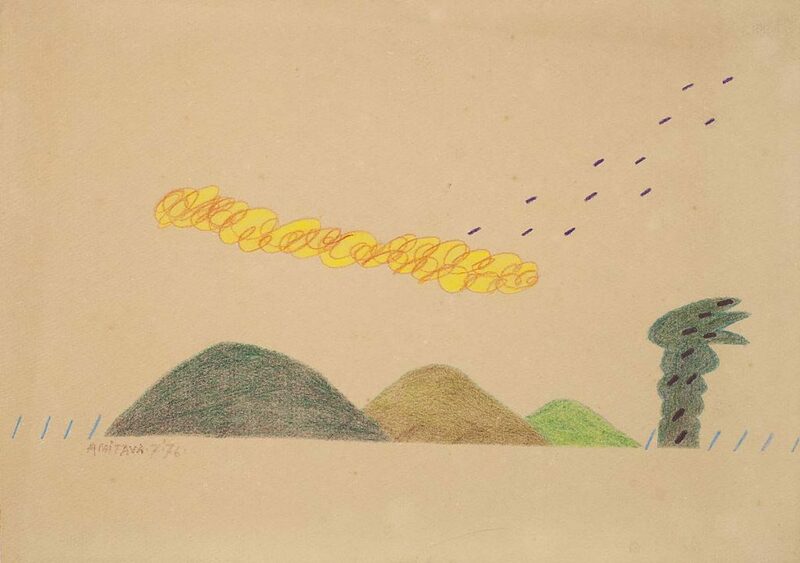 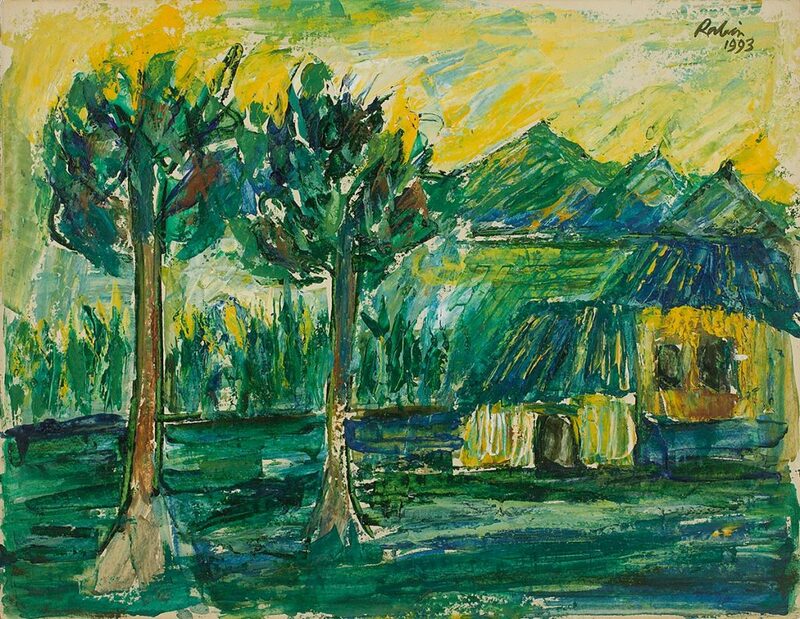 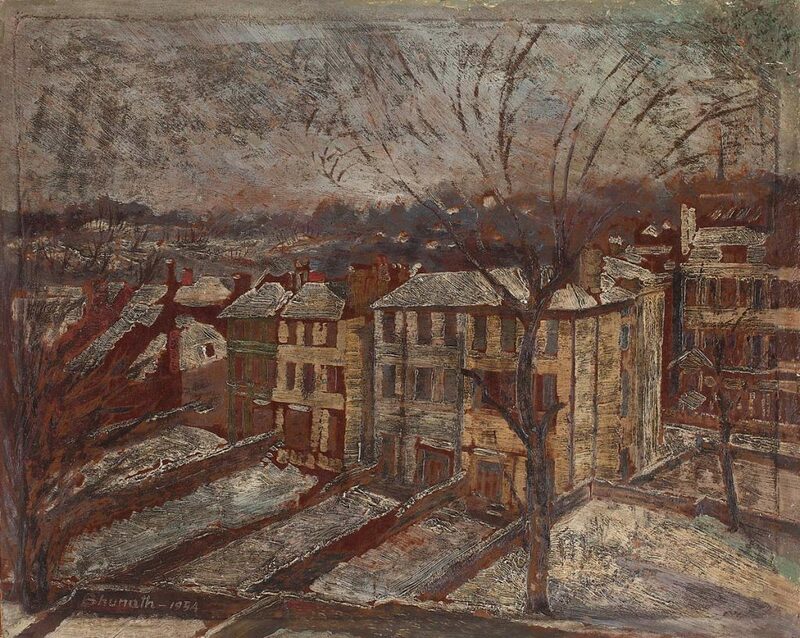 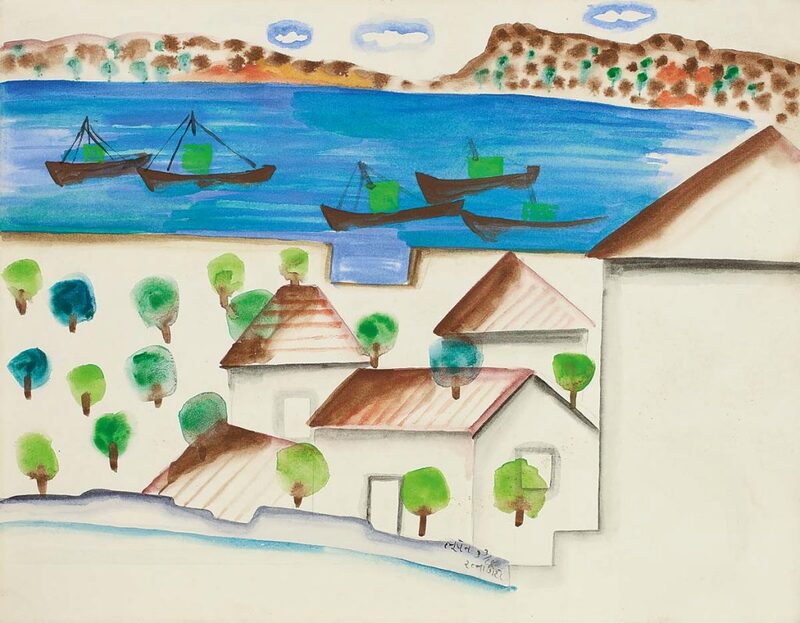 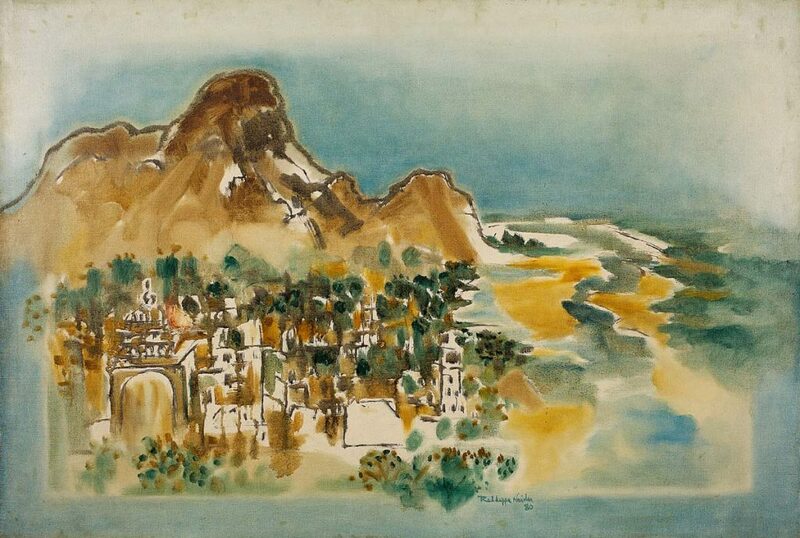 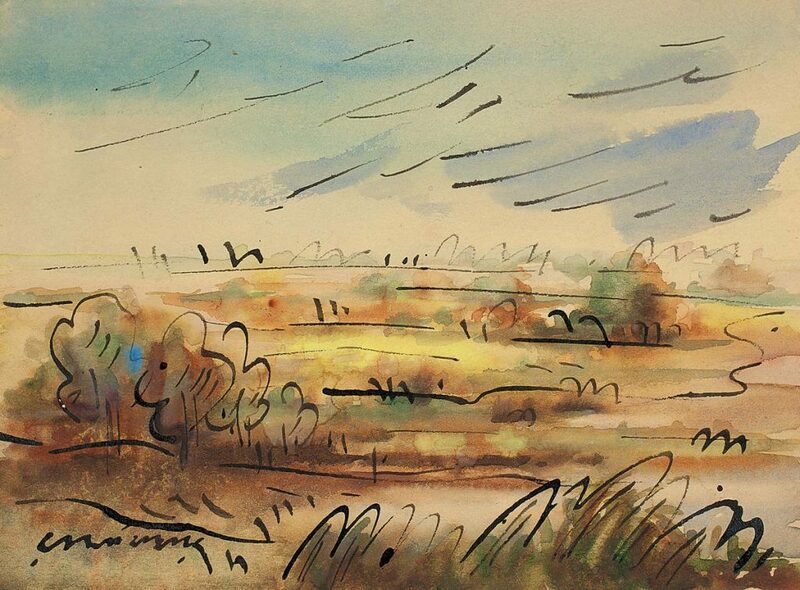 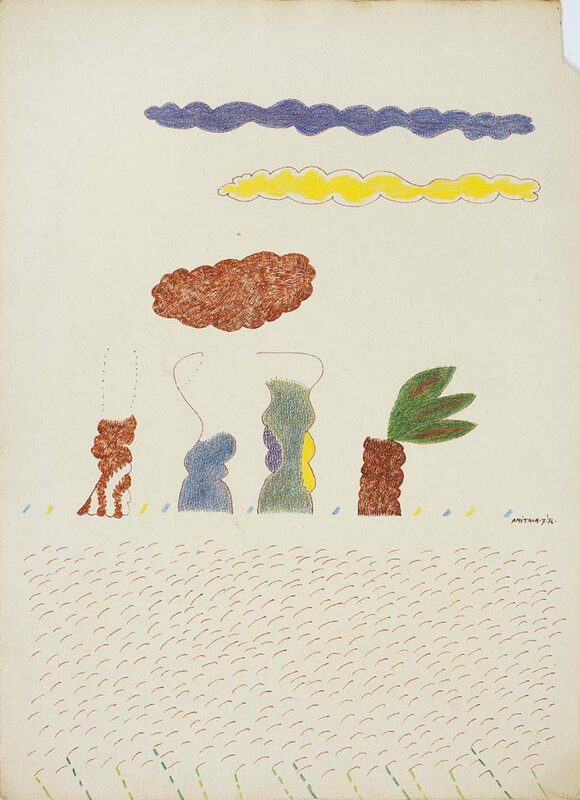 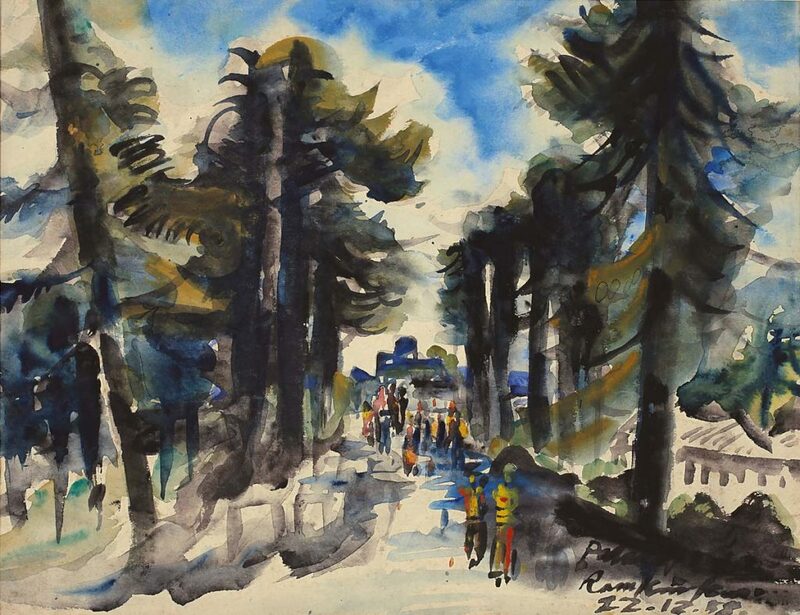 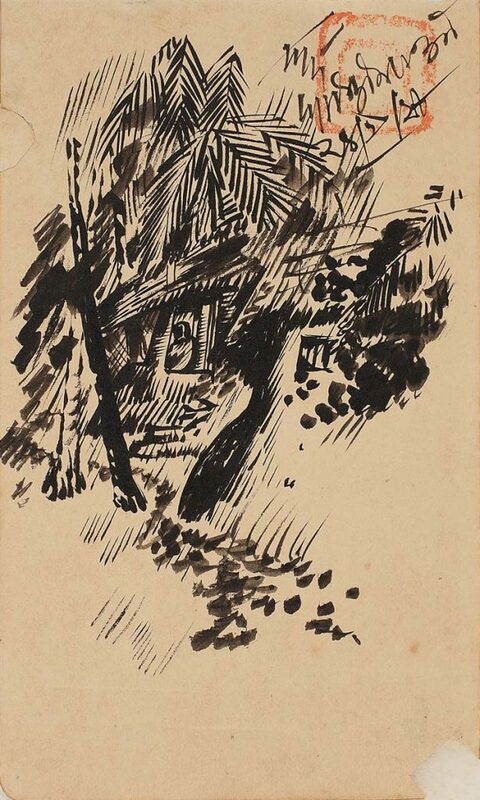 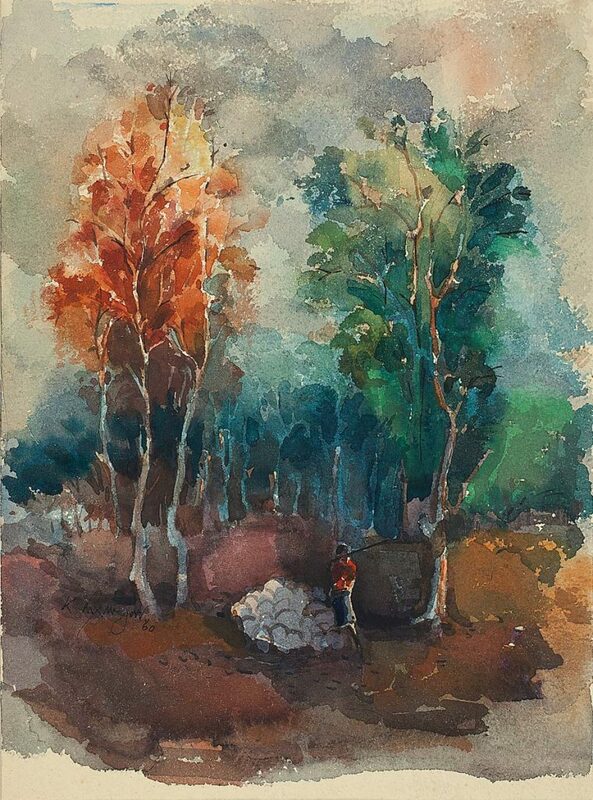 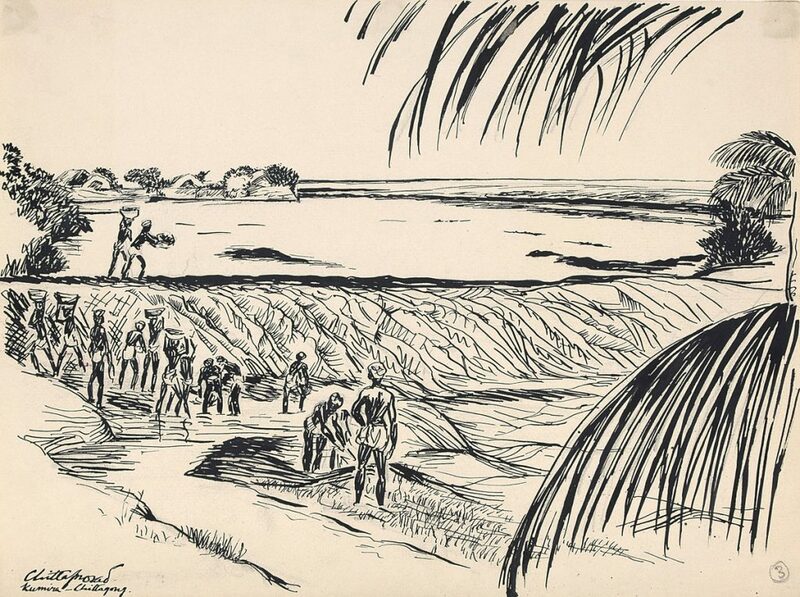 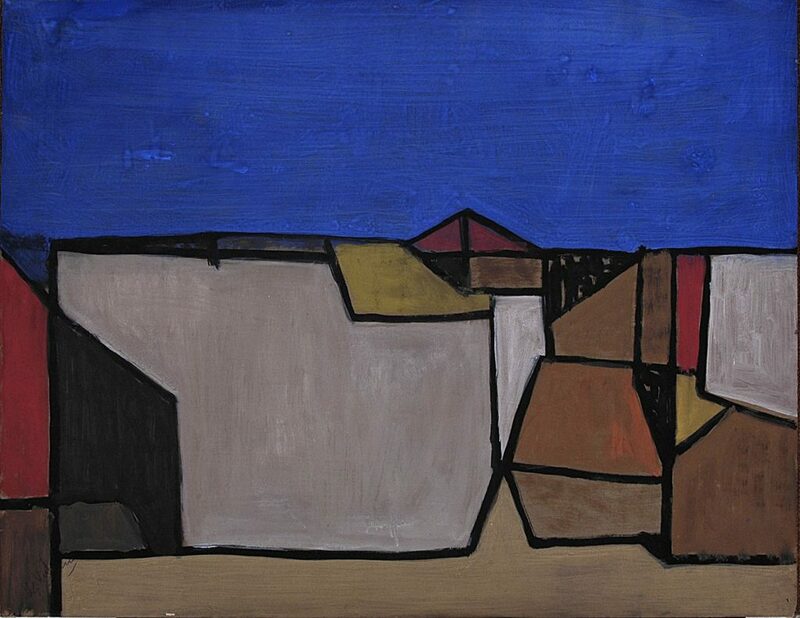 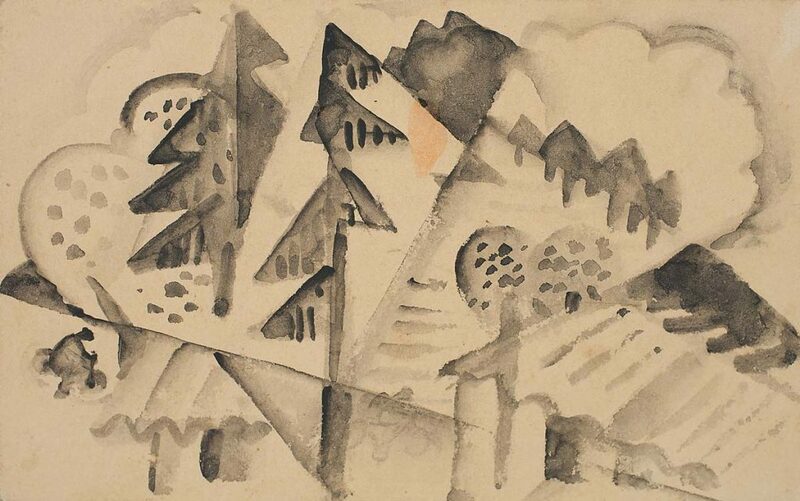 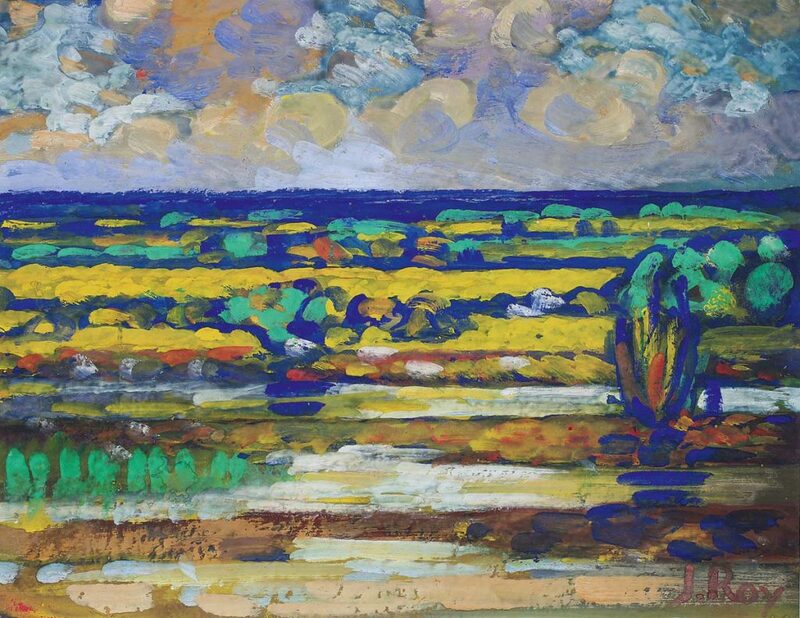 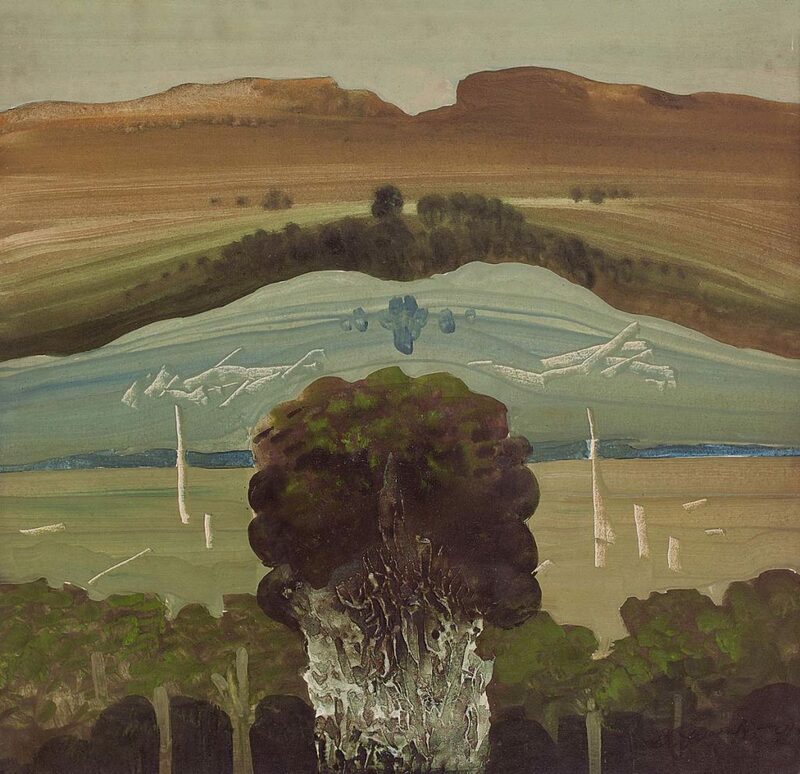 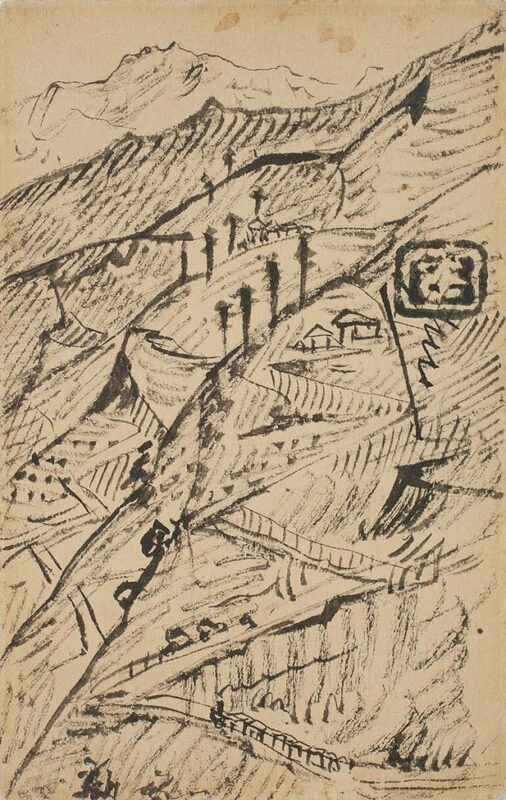 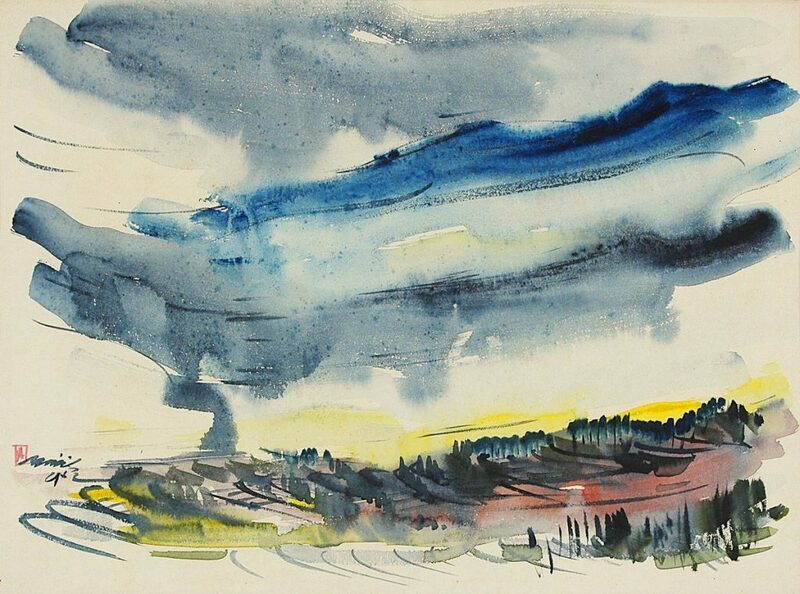 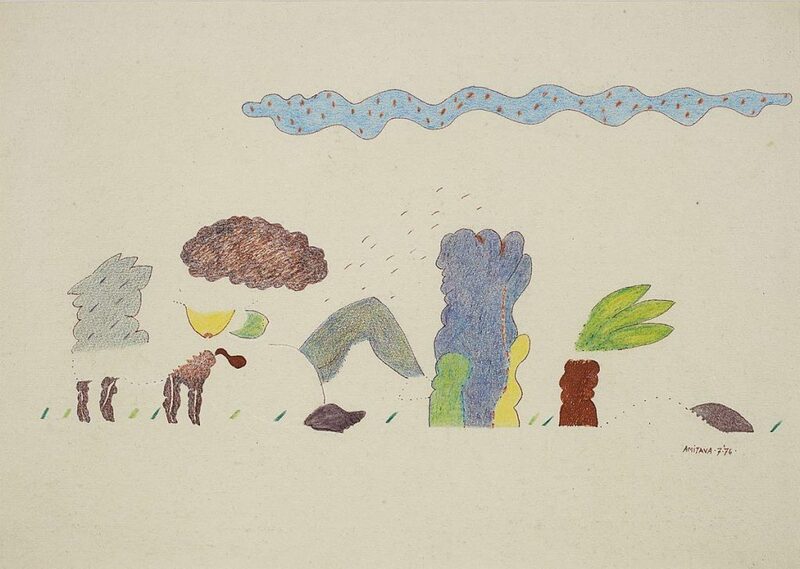 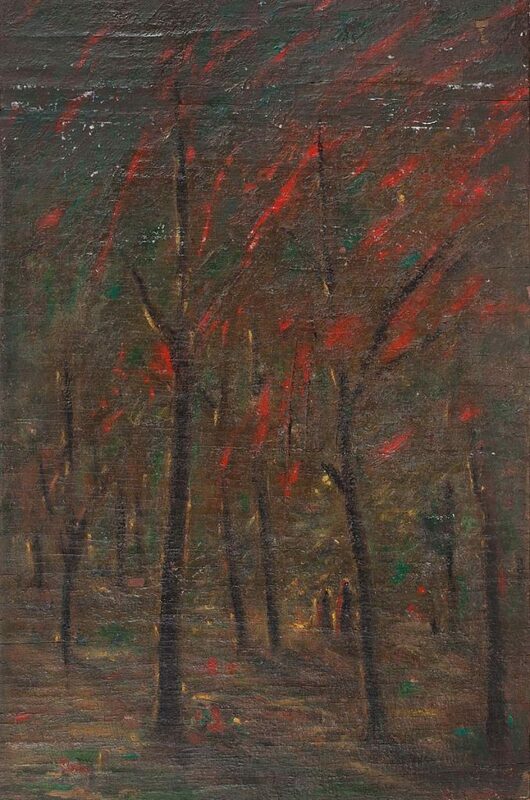 Post-independent Indian art and modernism is represented by the abiding landscapist Gopal Ghose, experiments in abstraction by F. N. Souza, K. S. Kulkarni, S. H. Raza, S. K. Bakre, Ganesh Haloi, Akbar Padamsee, Ram Kumar, and a rare find – two landscapes by M. F. Husain, an artist not known to have painted landscapes. 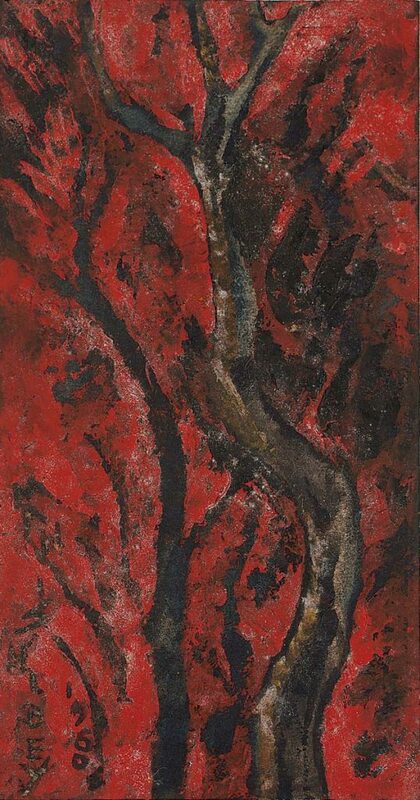 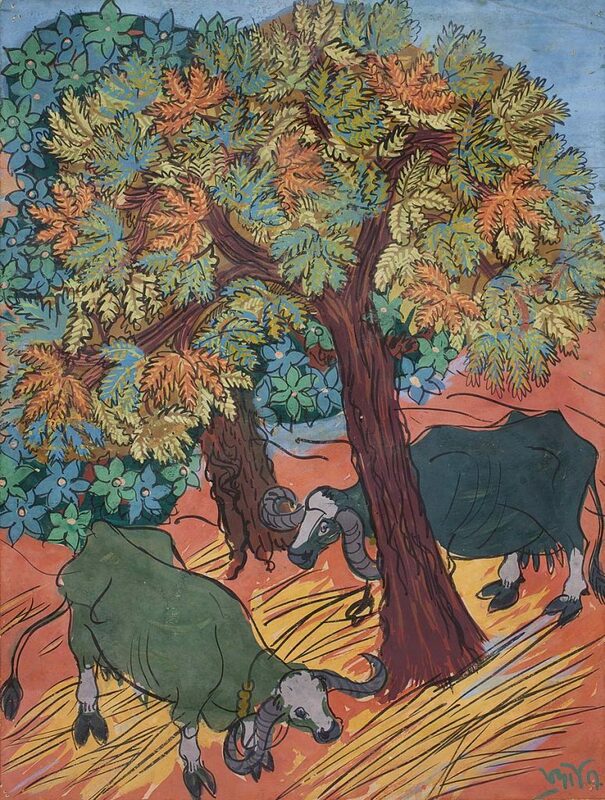 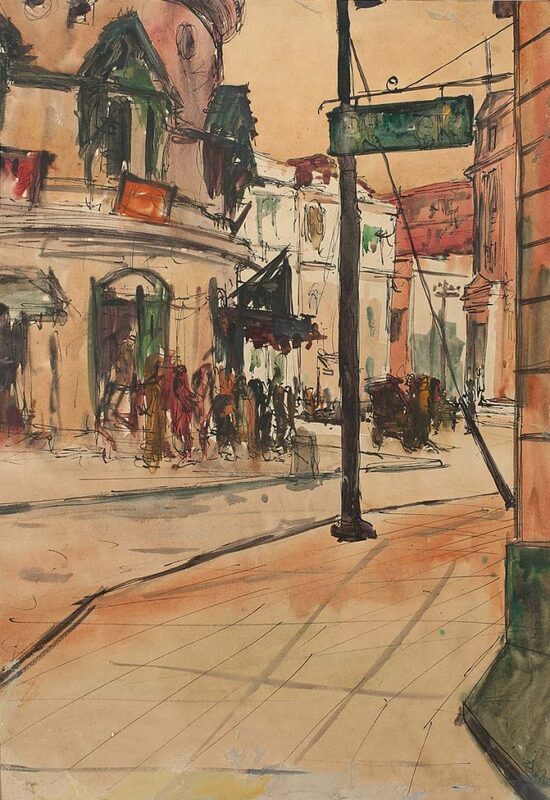 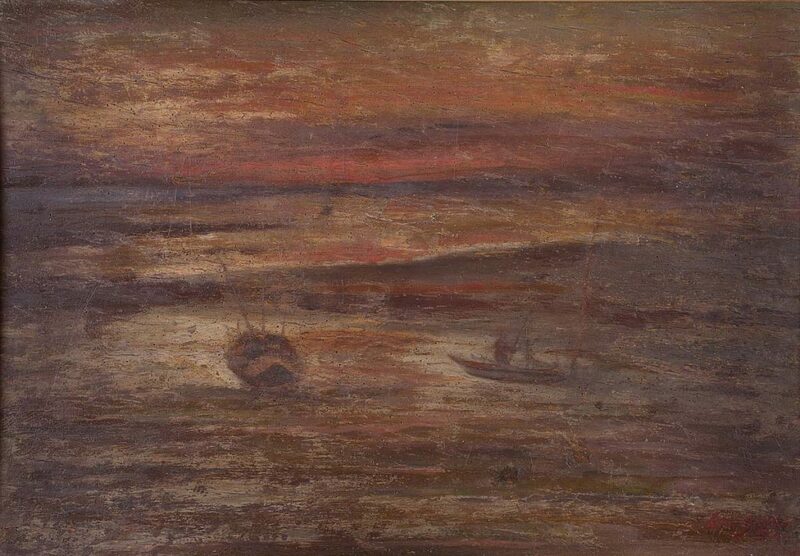 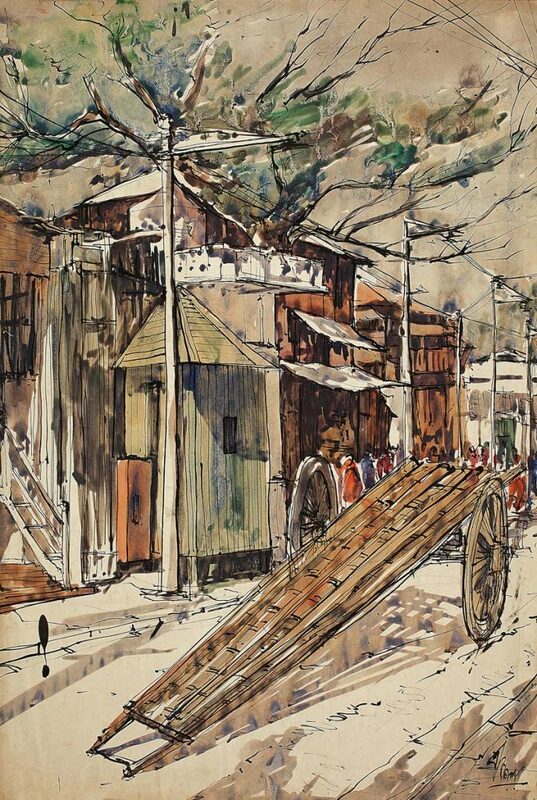 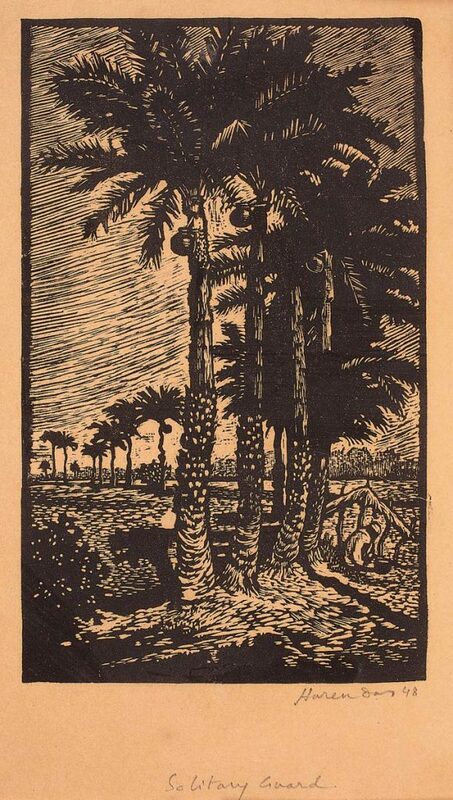 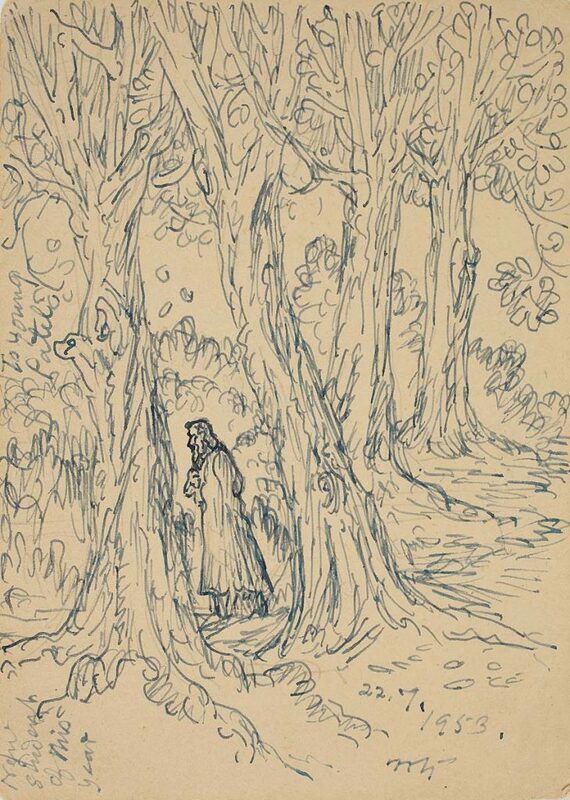 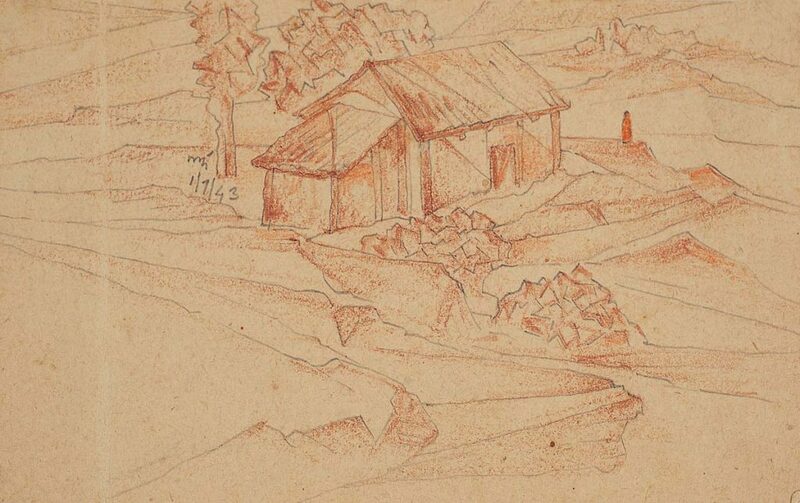 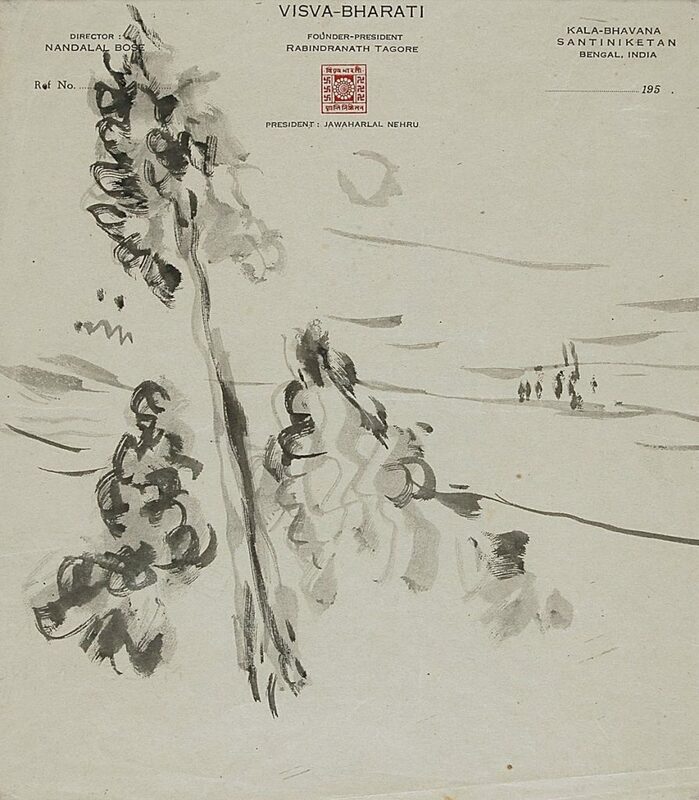 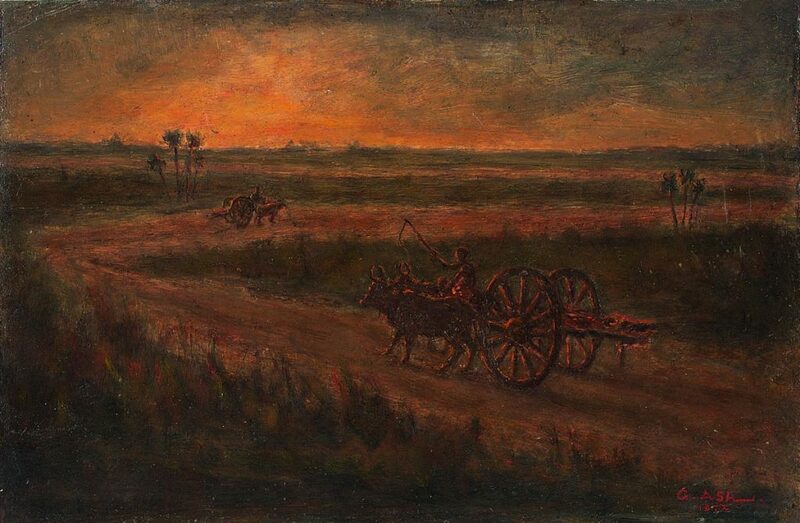 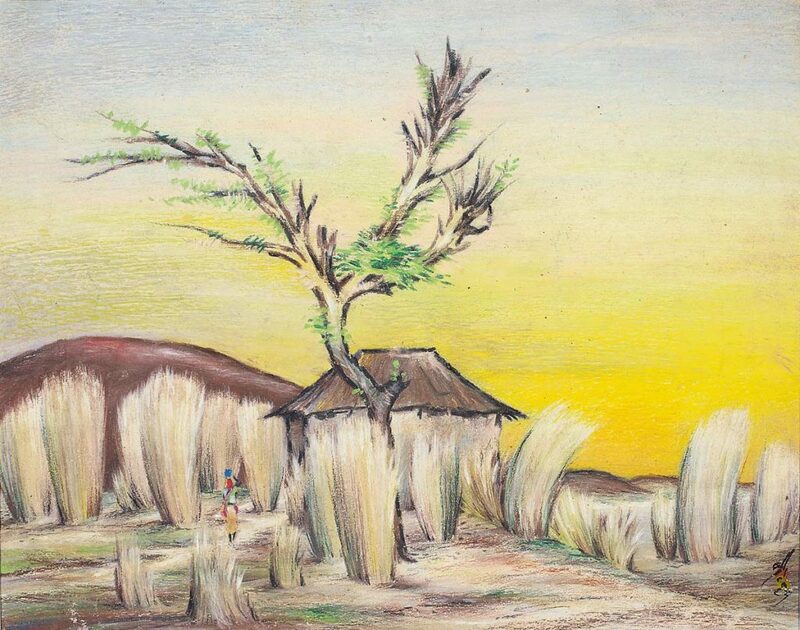 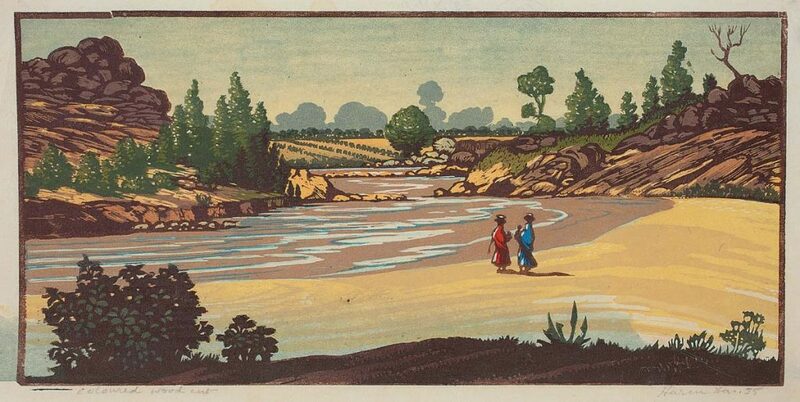 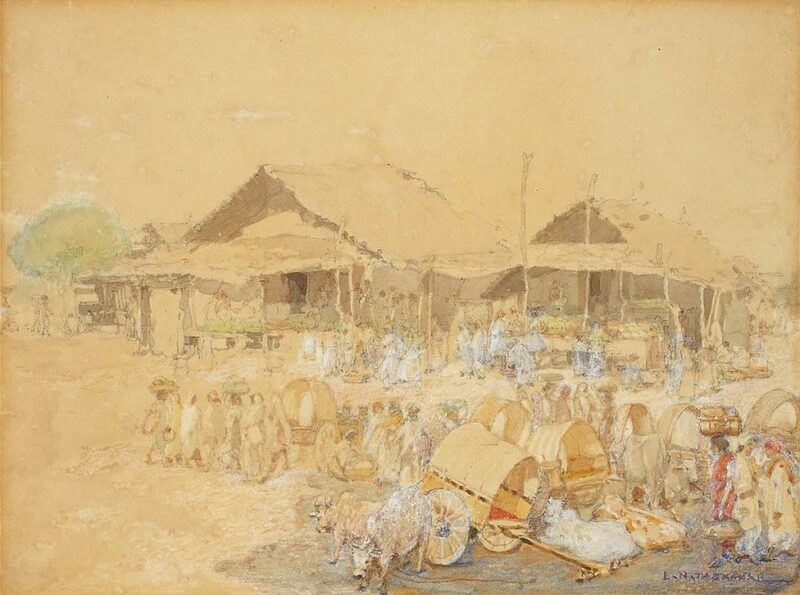 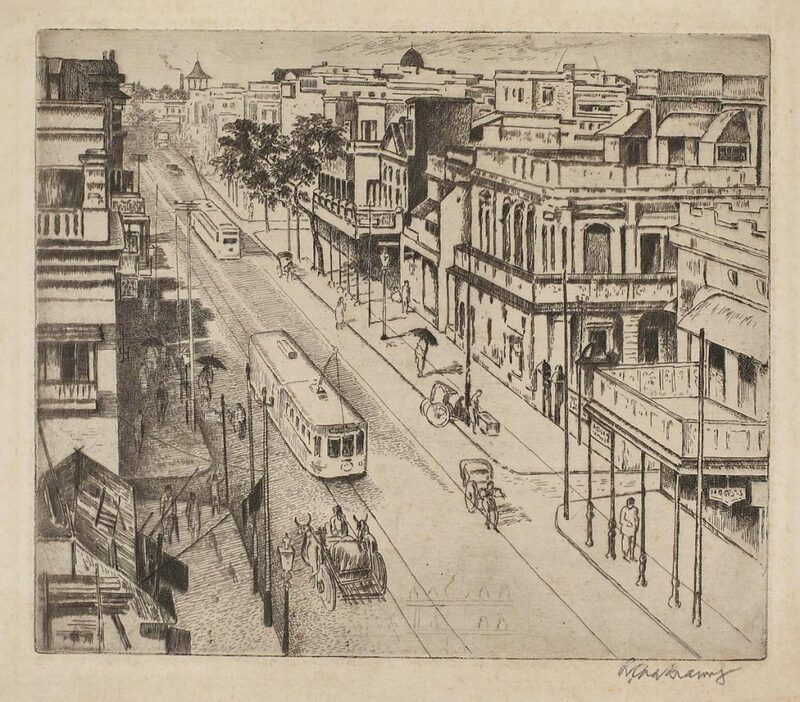 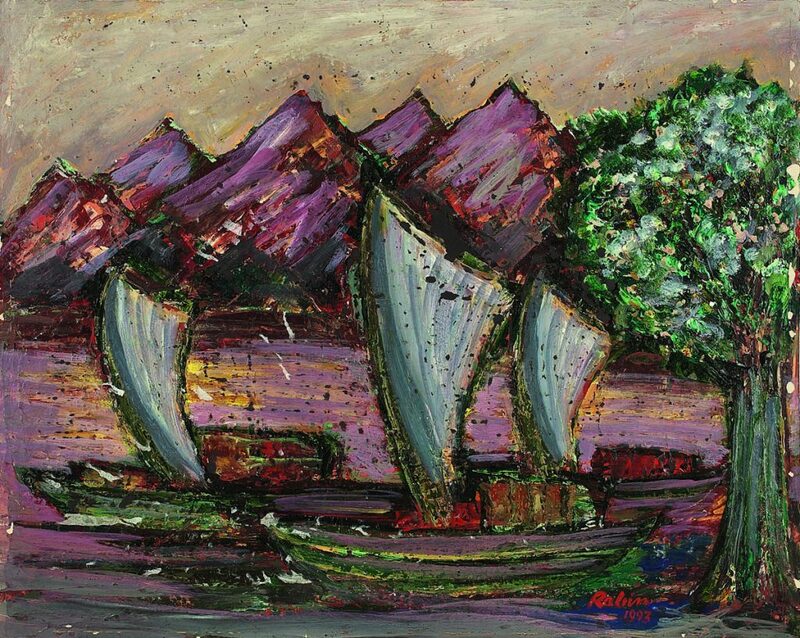 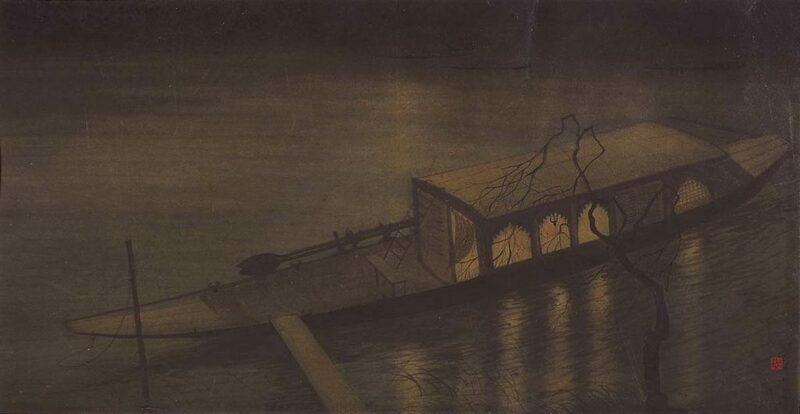 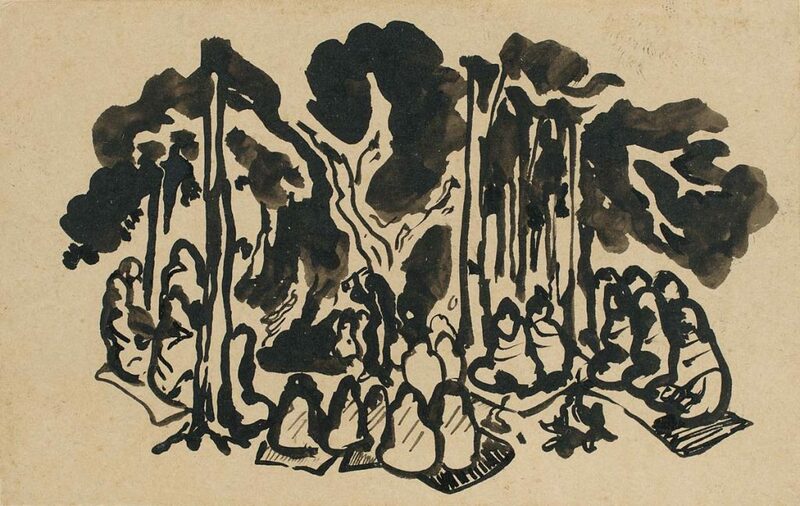 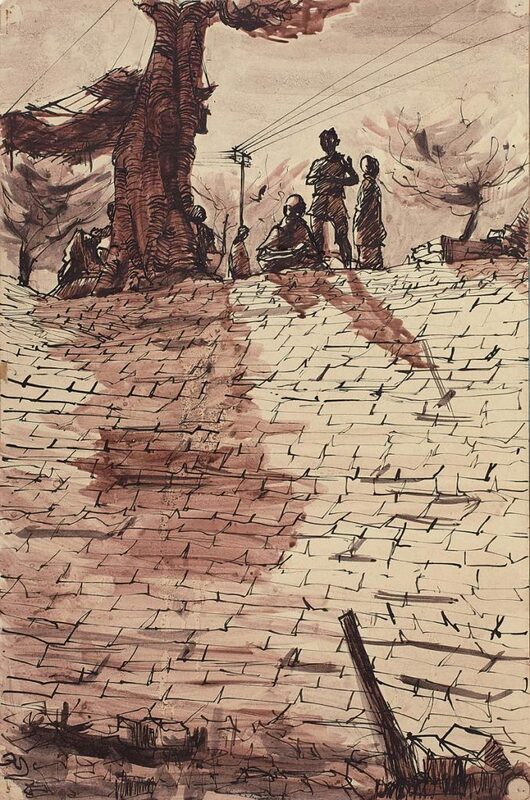 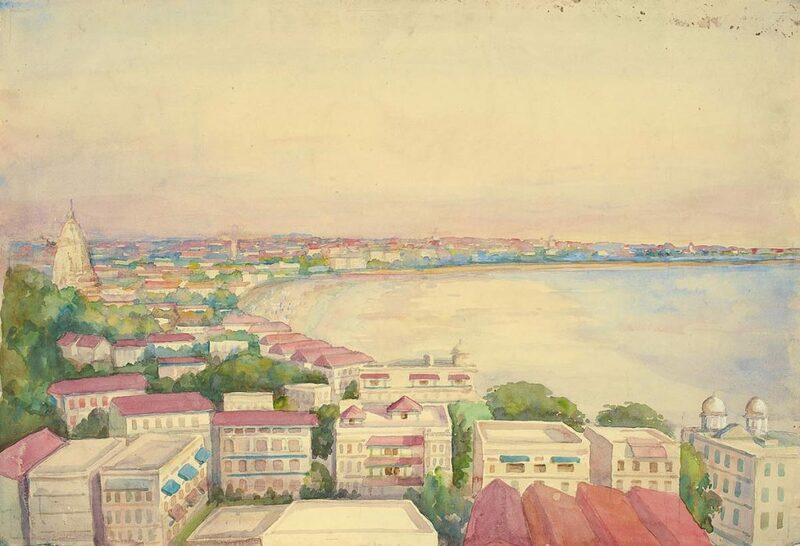 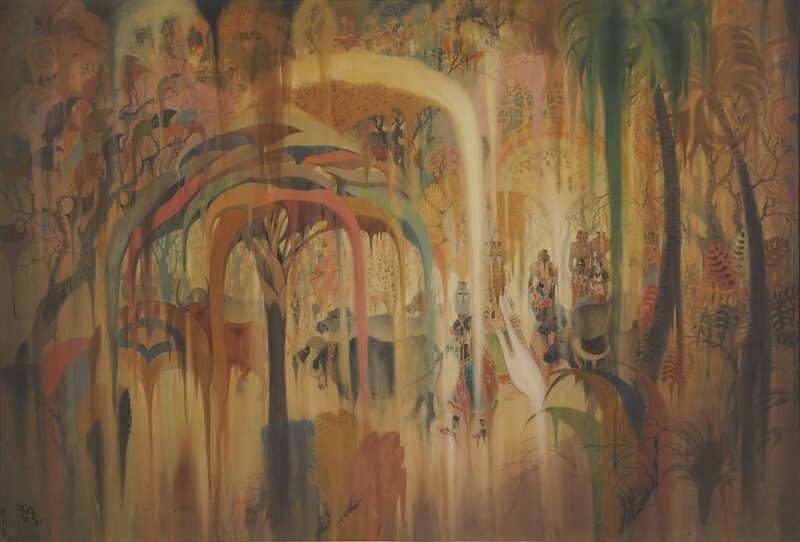 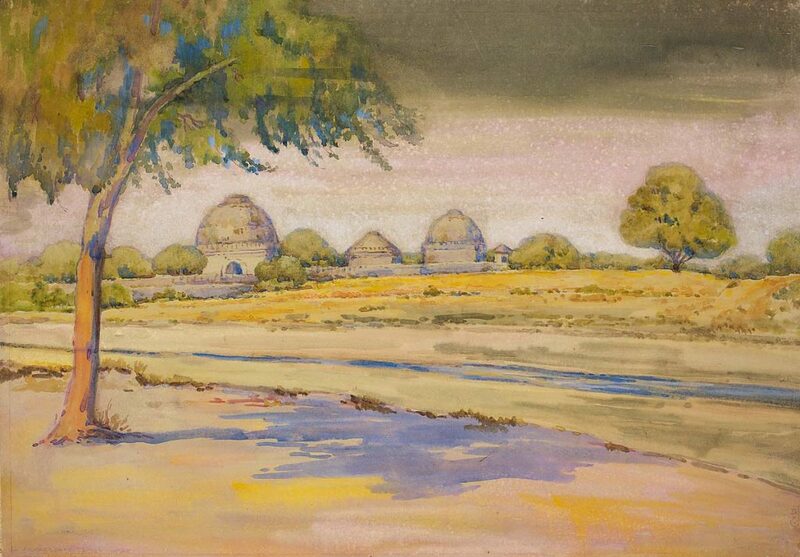 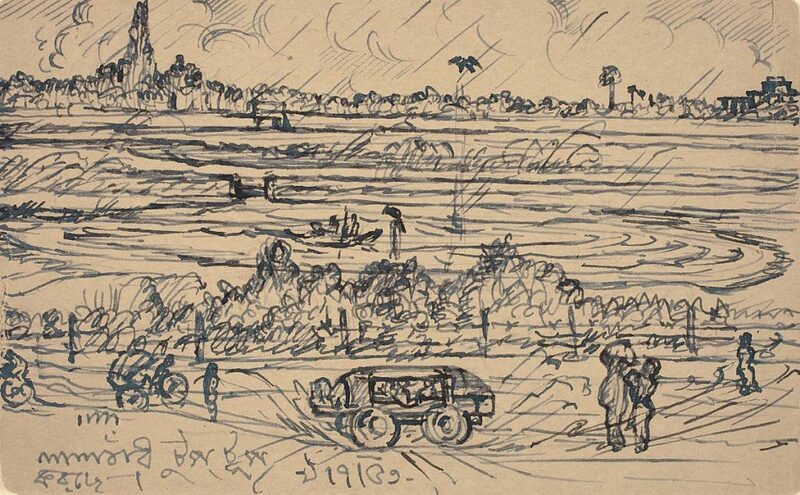 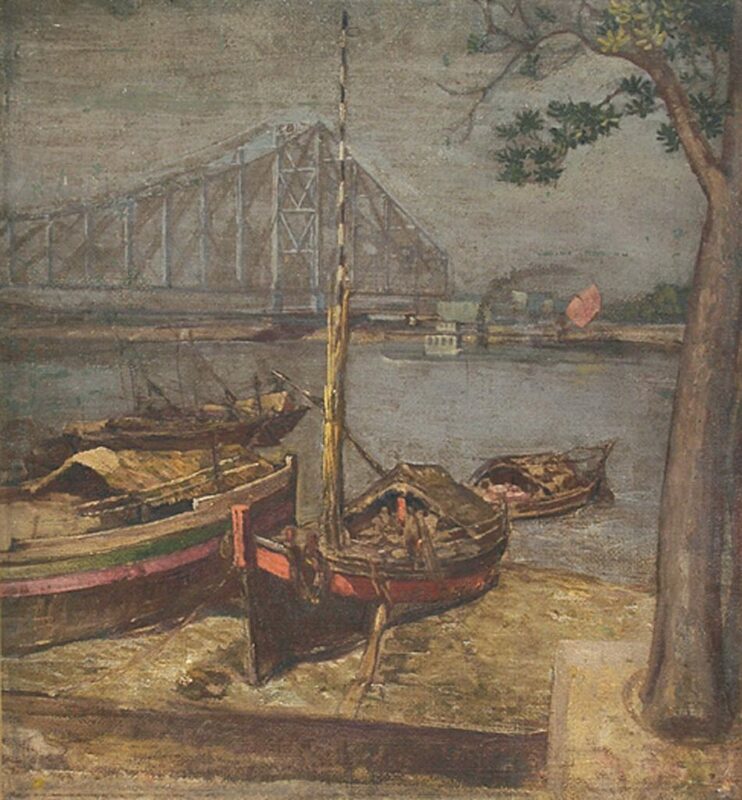 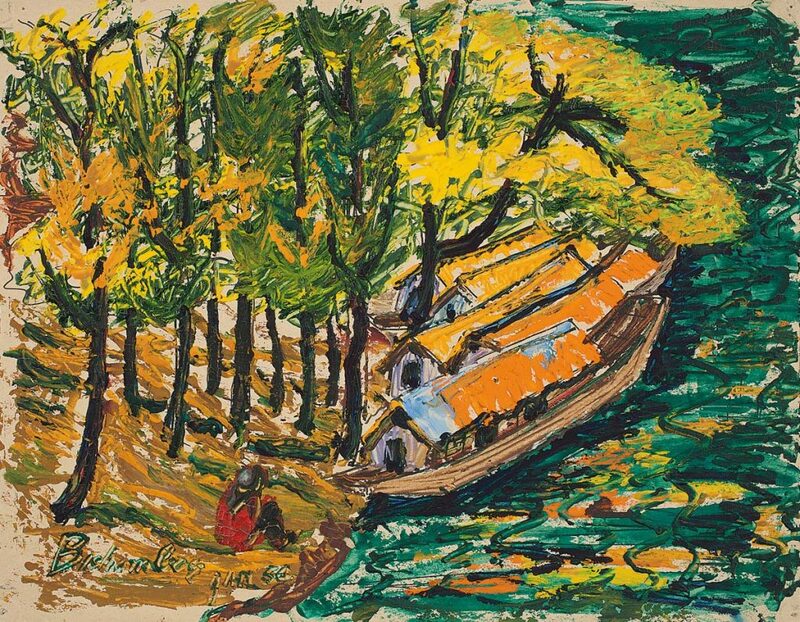 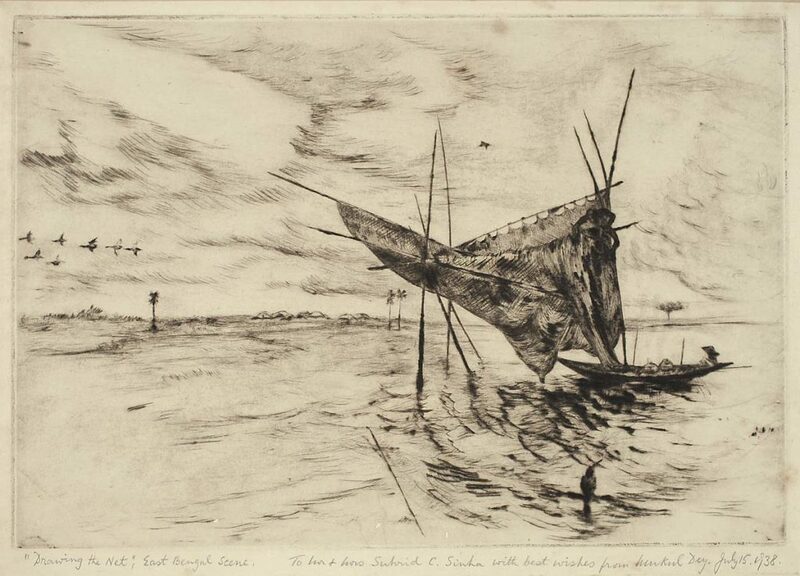 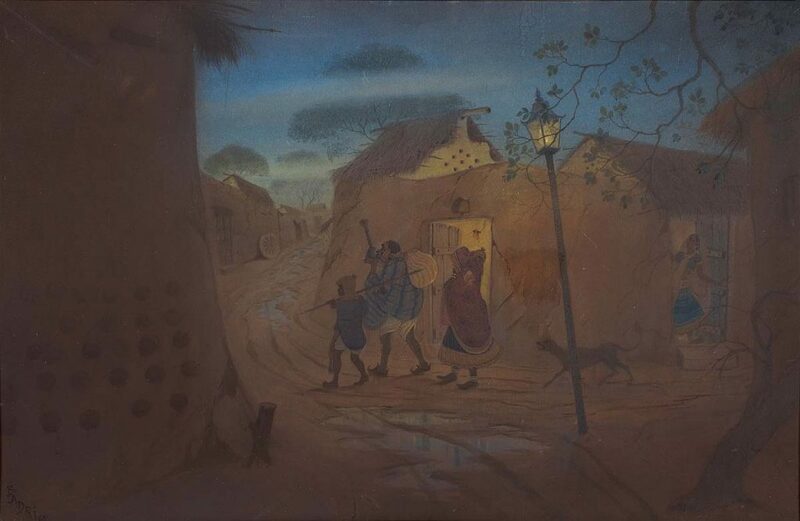 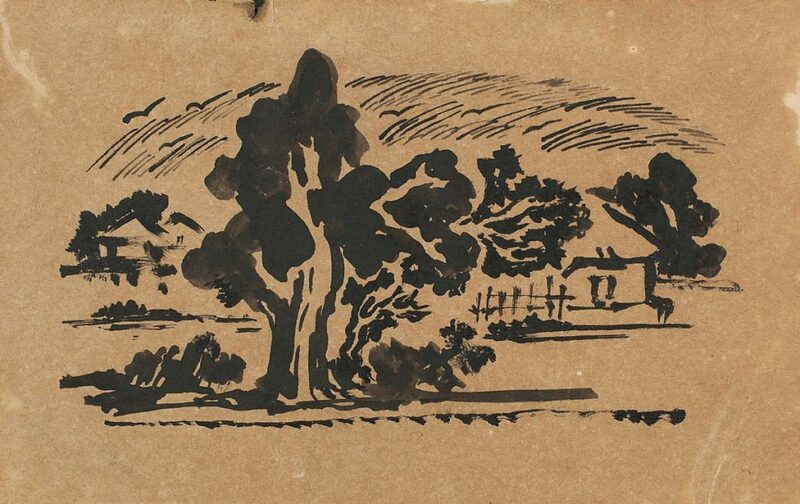 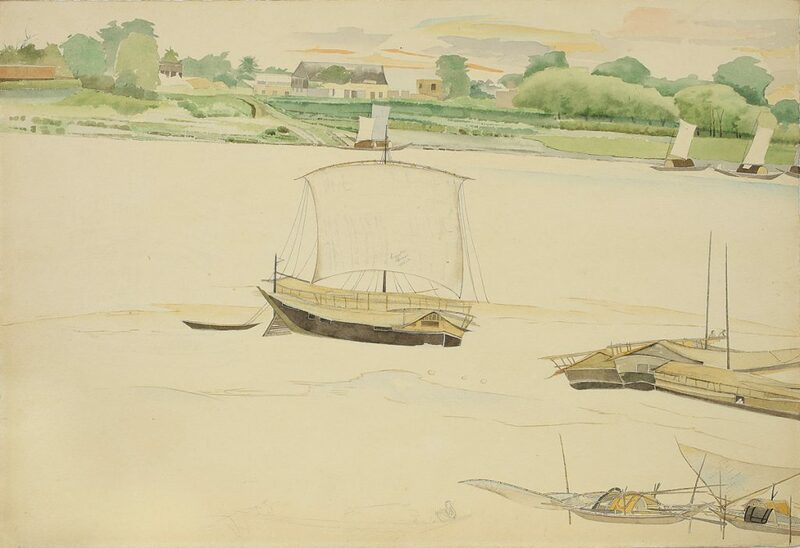 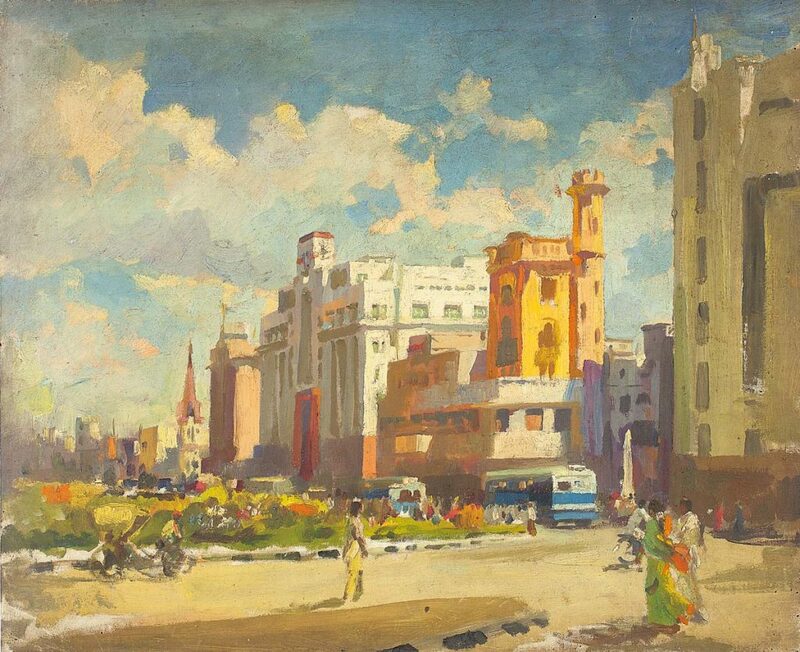 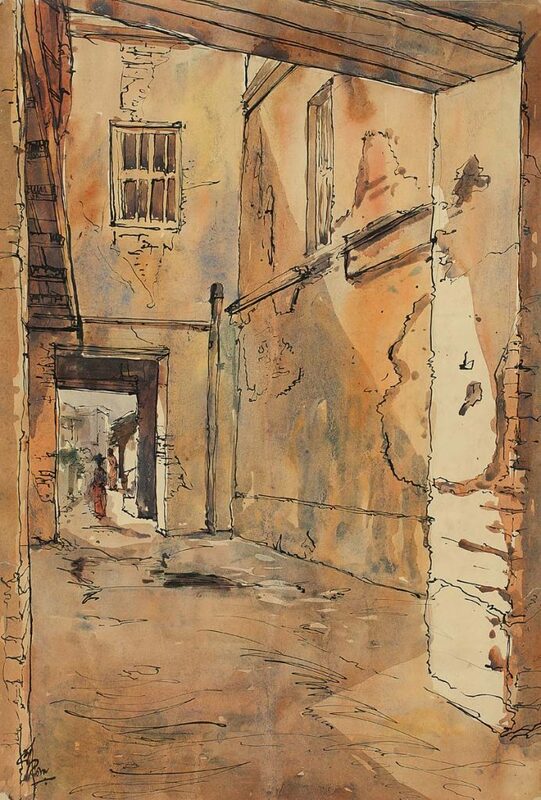 Other modernist Indian masters too find representation, many with their early works, artists such as Bikash Bhattacharjee and Sunil Das, early modernist landscapes and fantasyscapes of Avinash Chandra, those by Chittaprosad, Rabin Mondal and P. T. Reddy, and Himalayanscapes by Devyani and Kanwal Krishna, and the masterful Bireswar Sen.